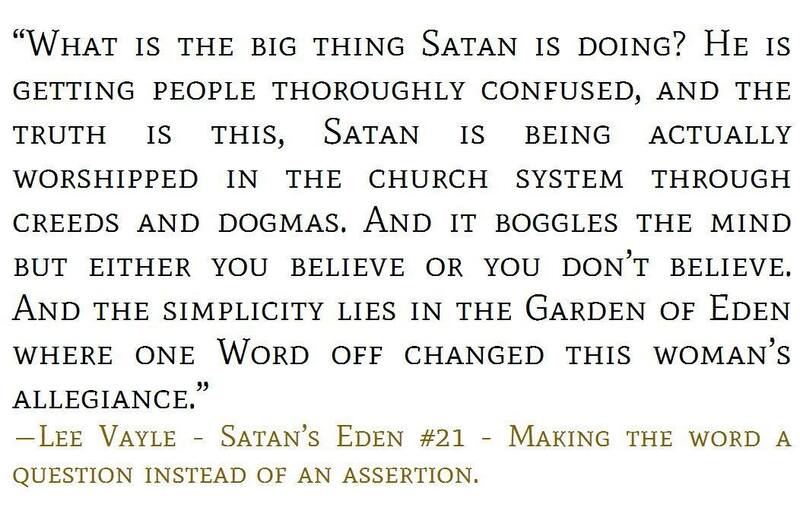 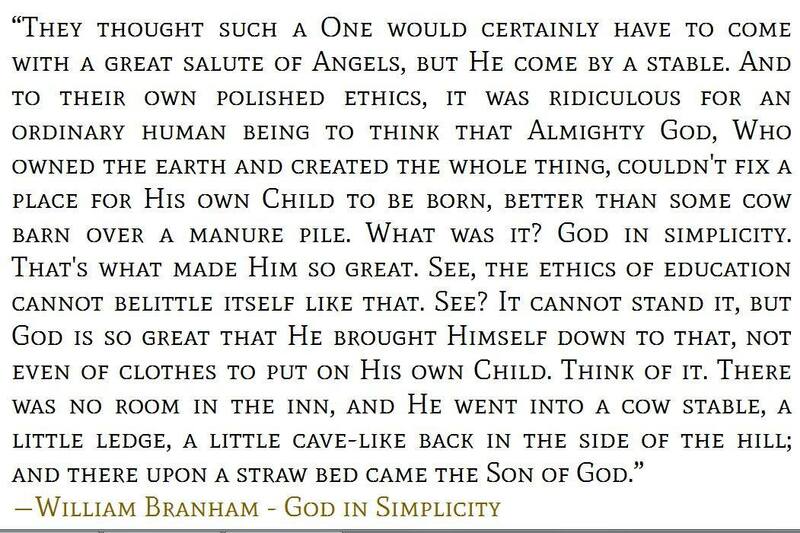 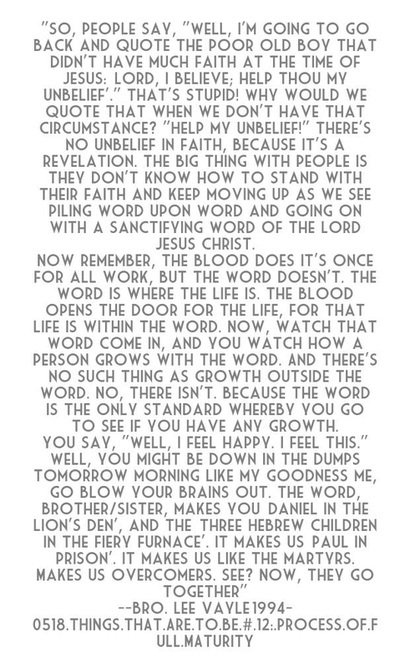 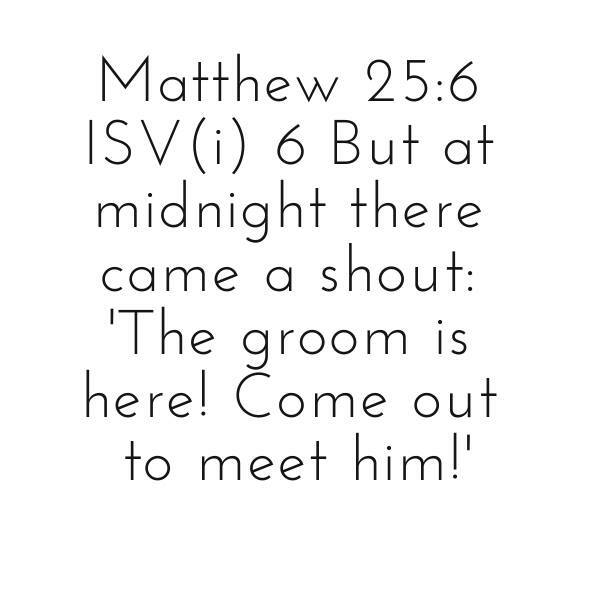 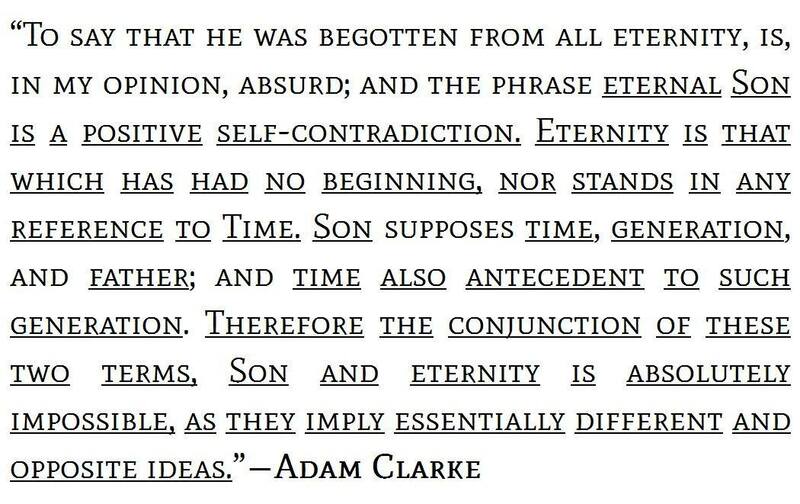 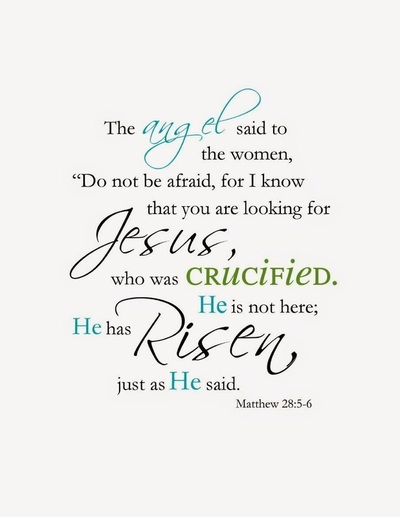 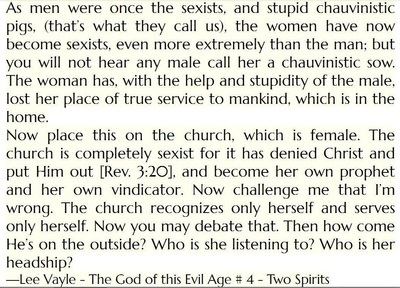 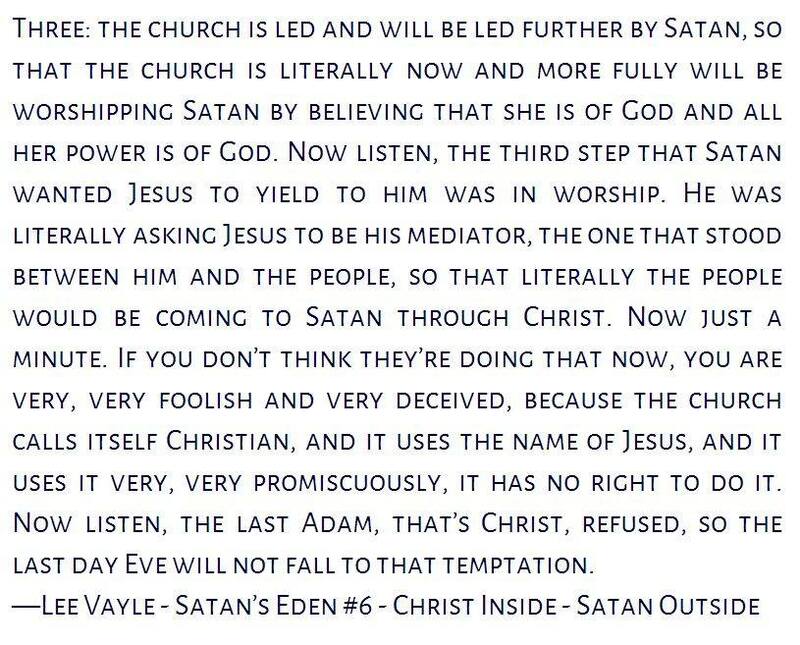 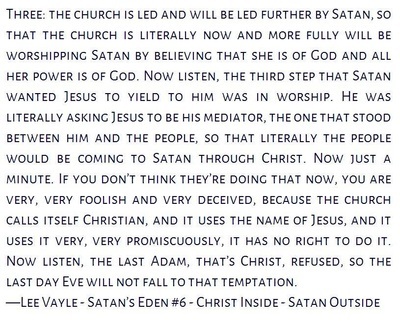 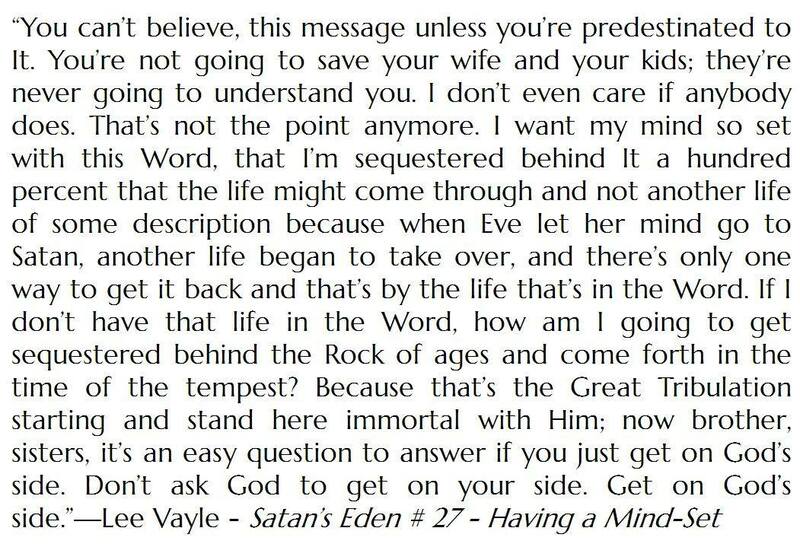 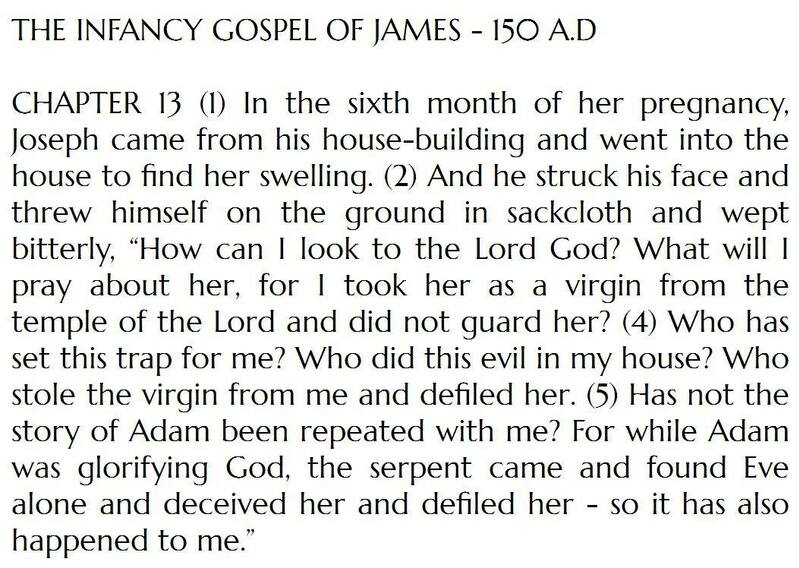 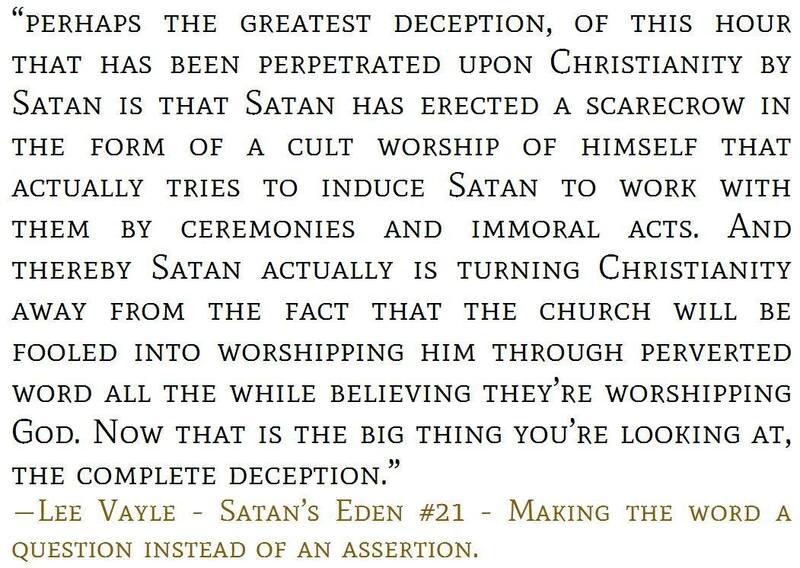 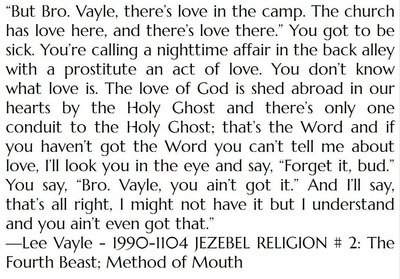 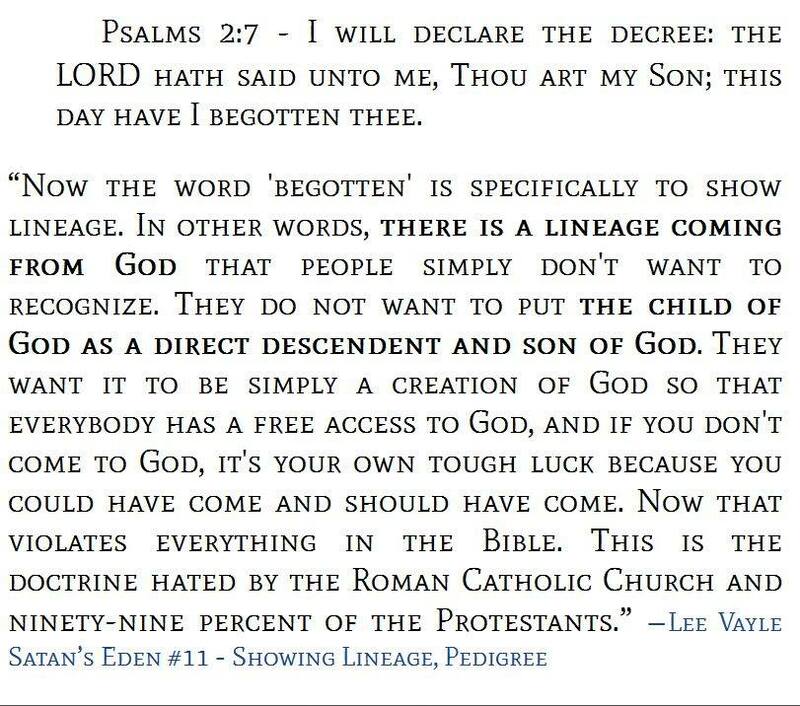 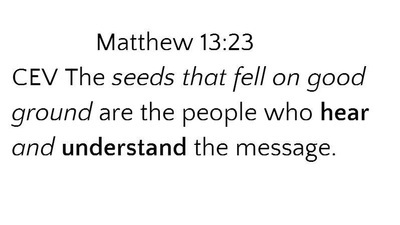 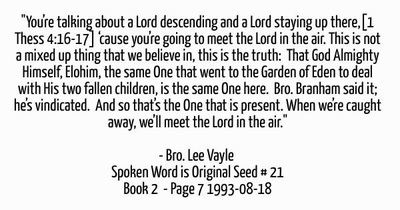 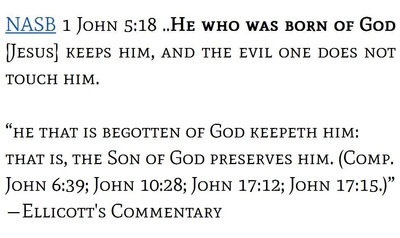 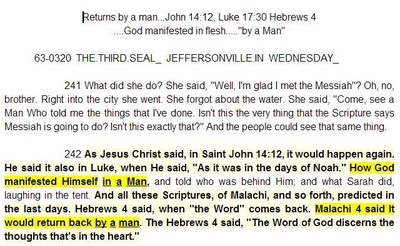 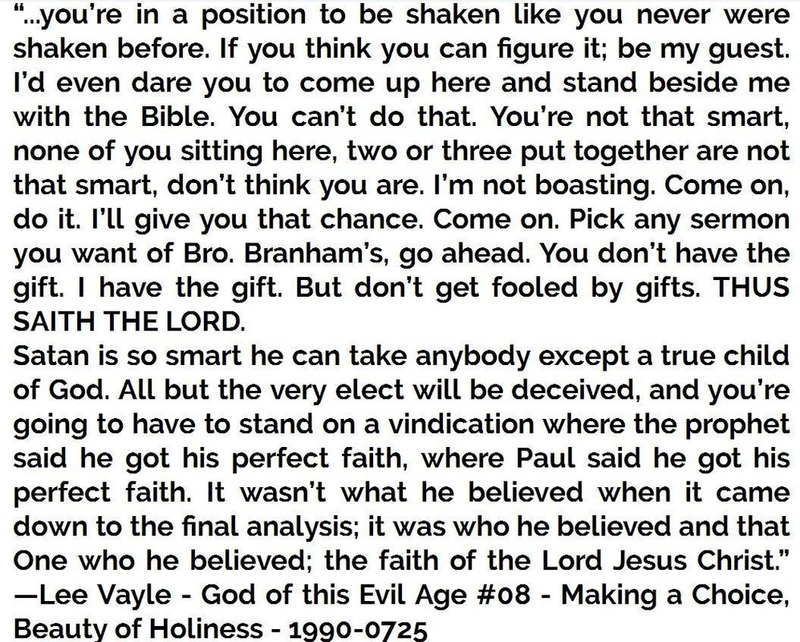 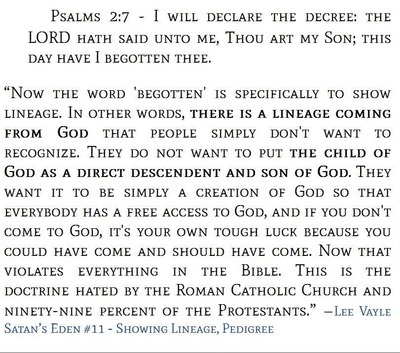 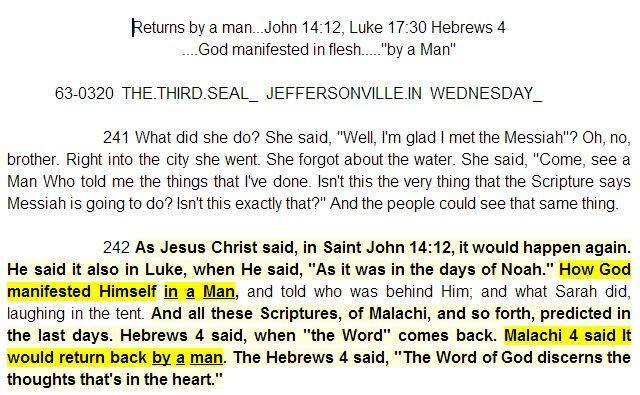 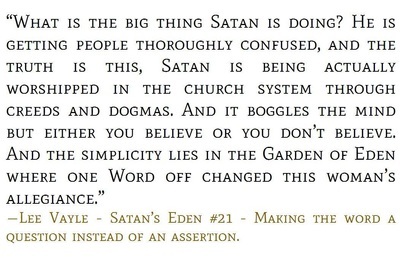 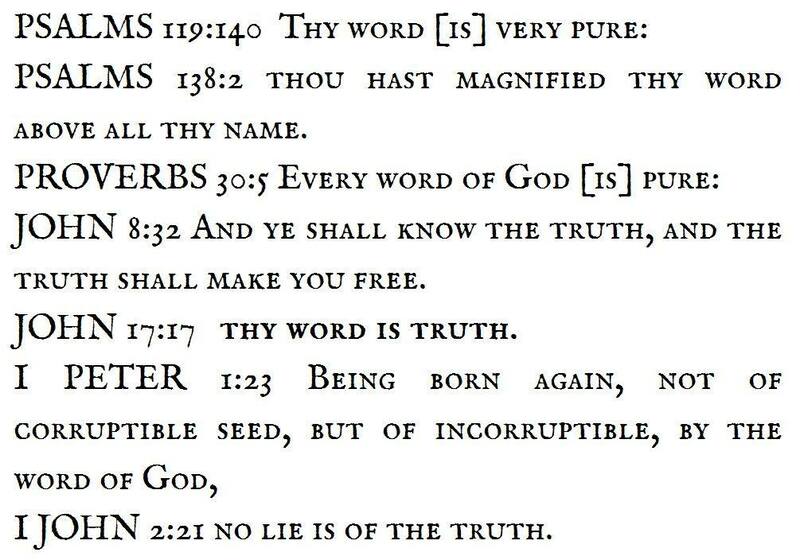 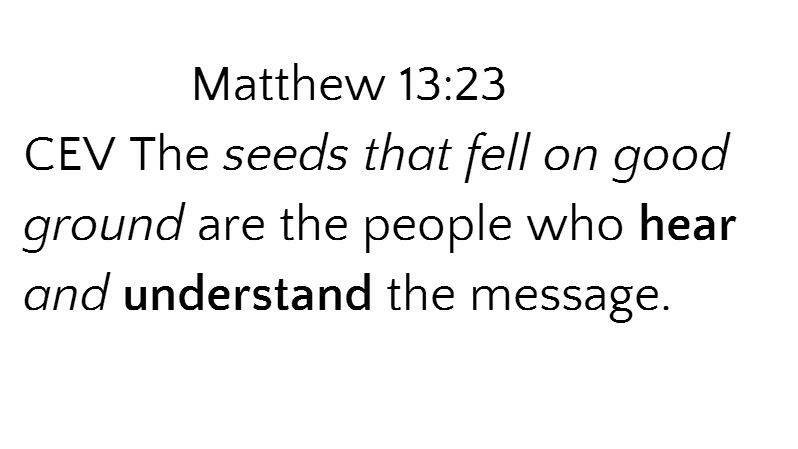 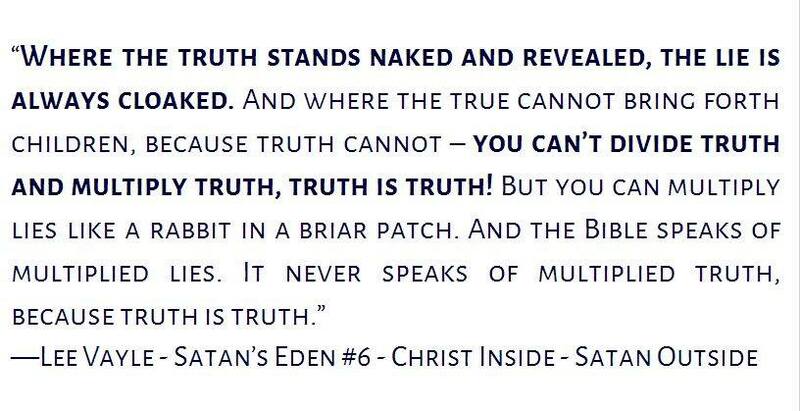 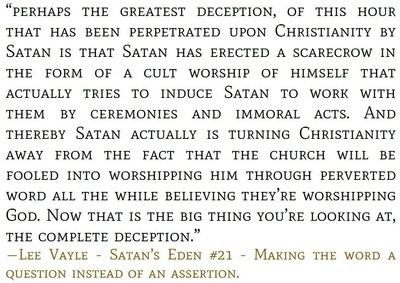 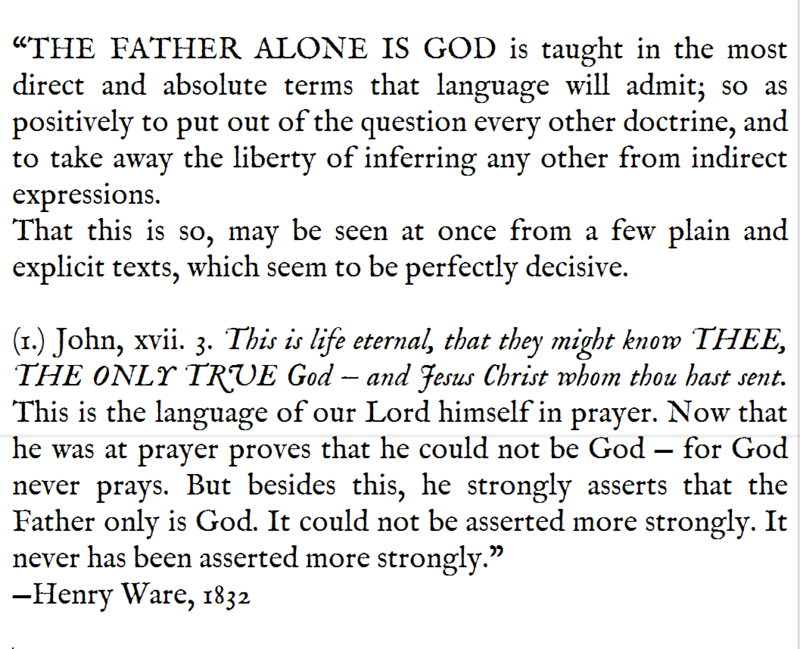 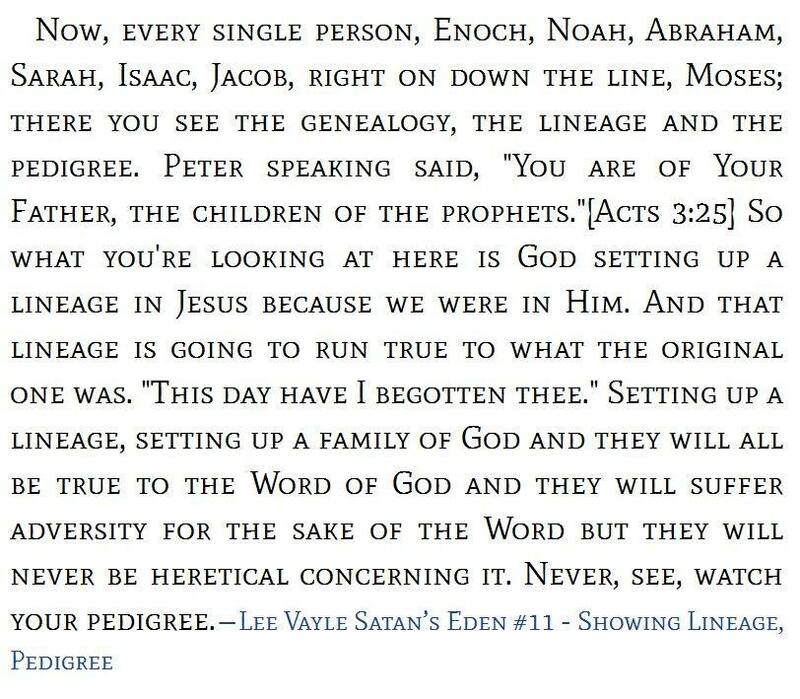 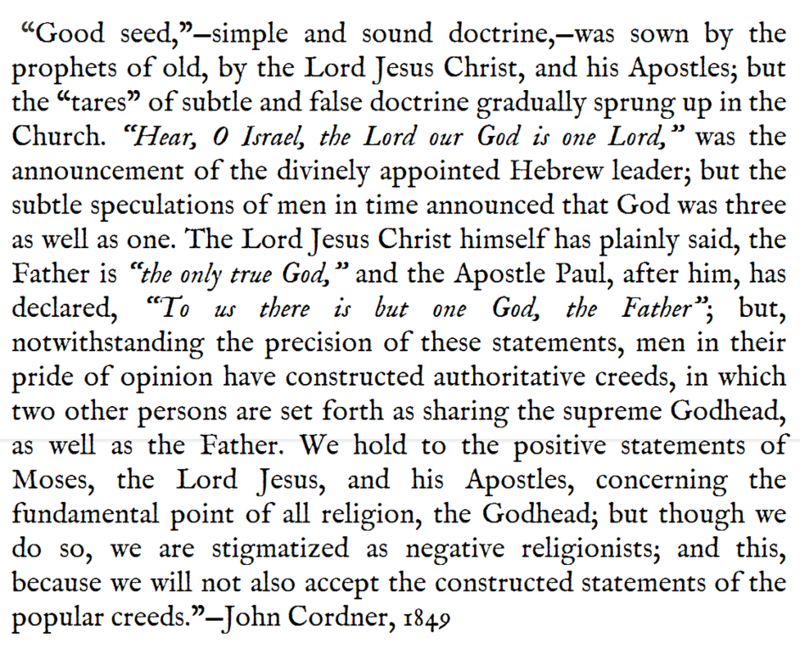 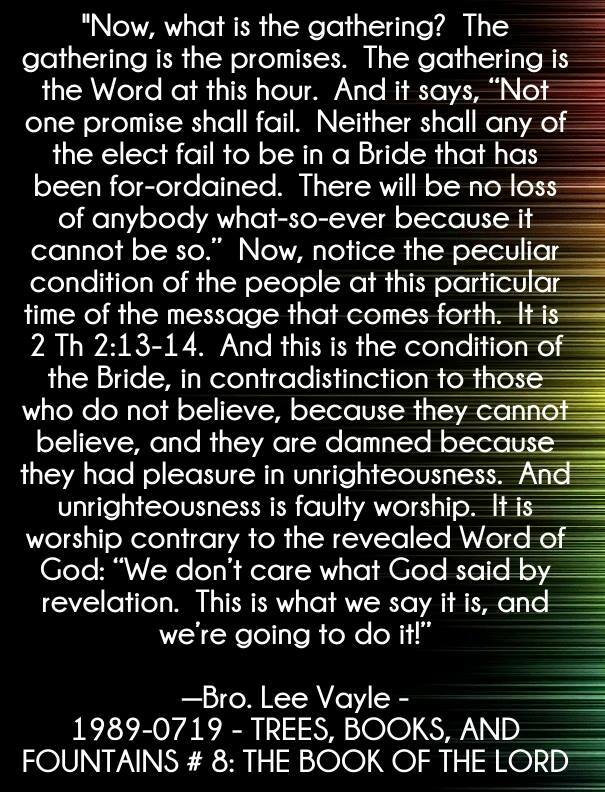 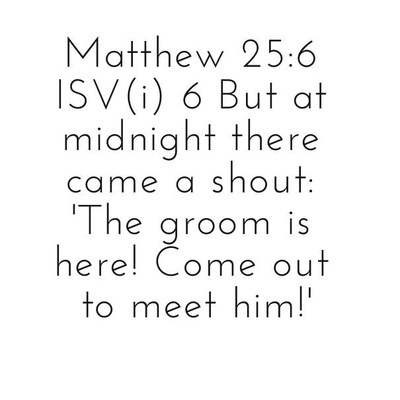 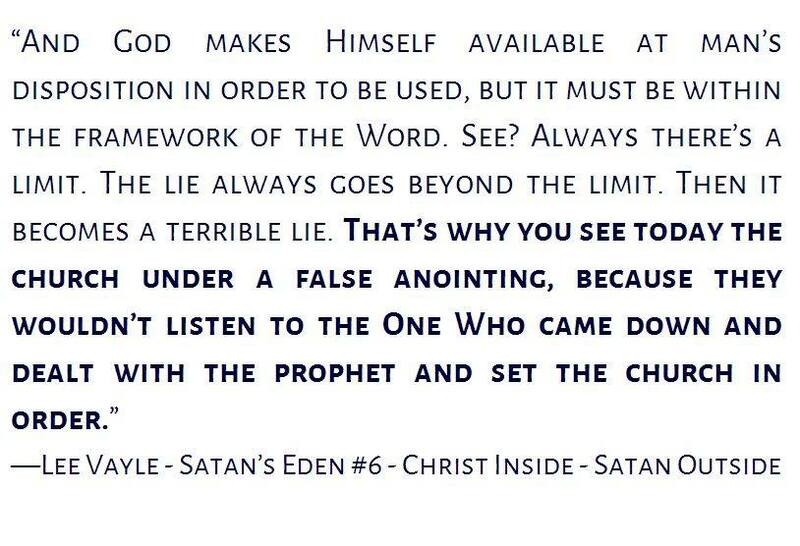 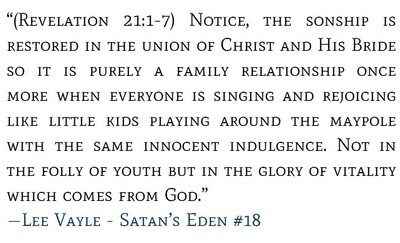 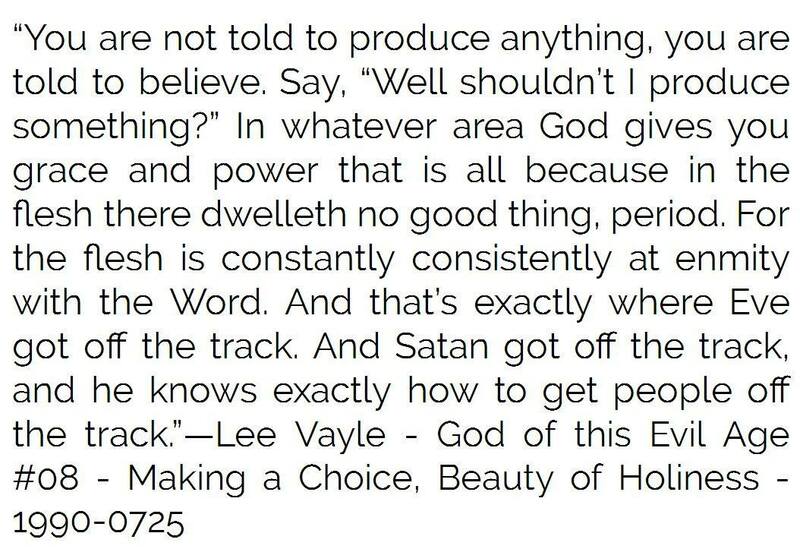 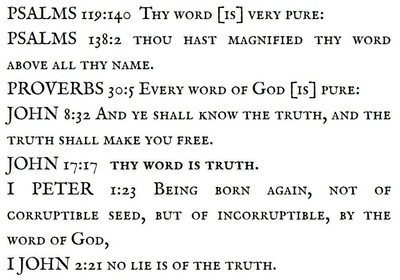 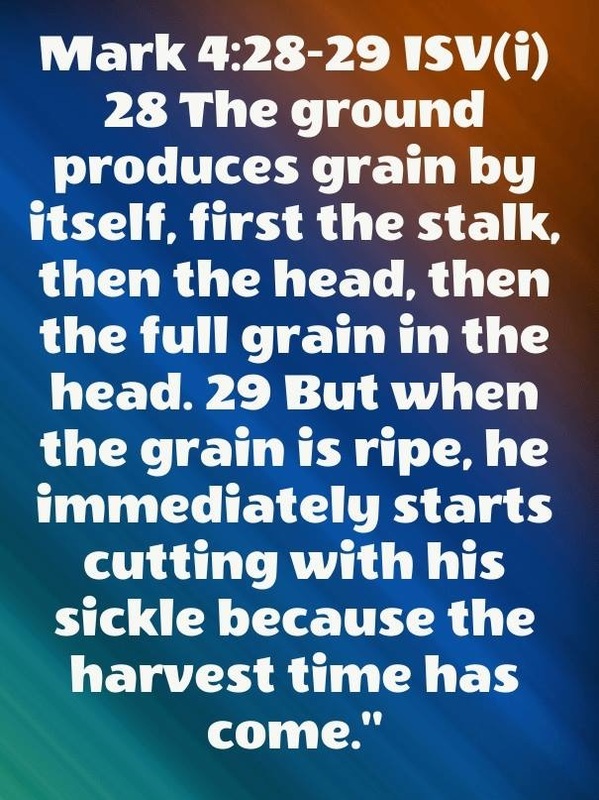 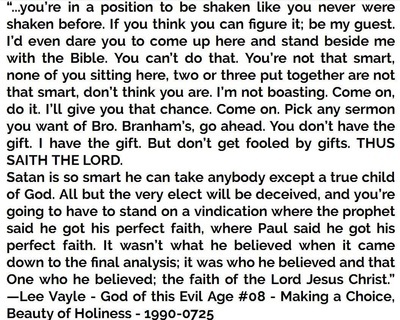 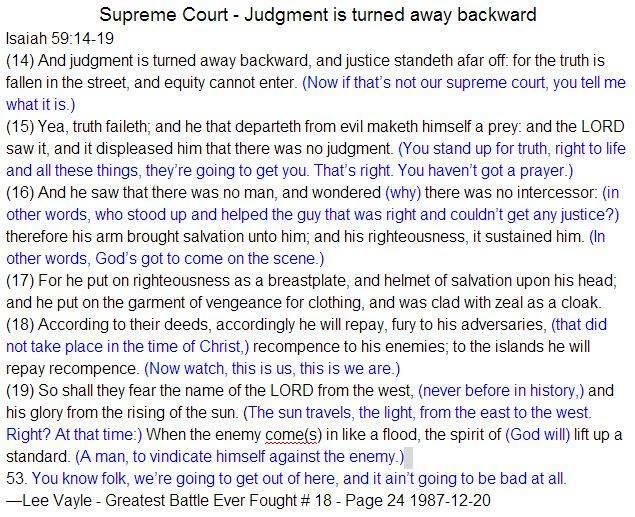 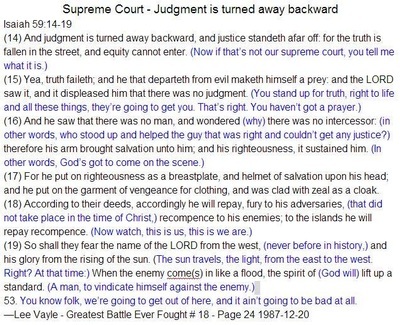 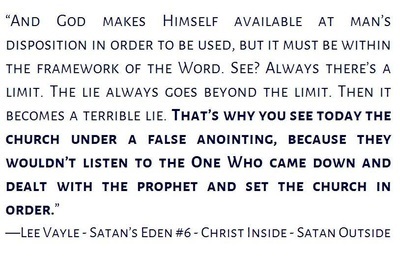 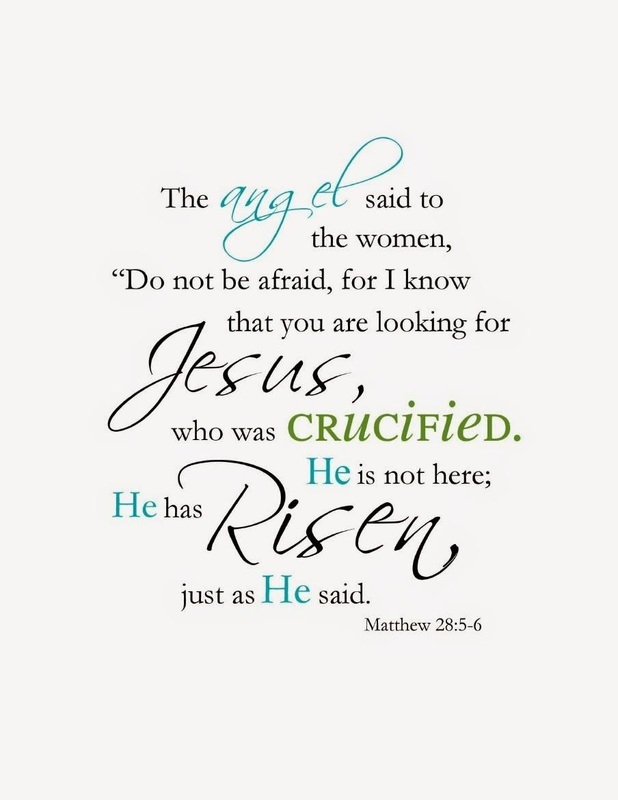 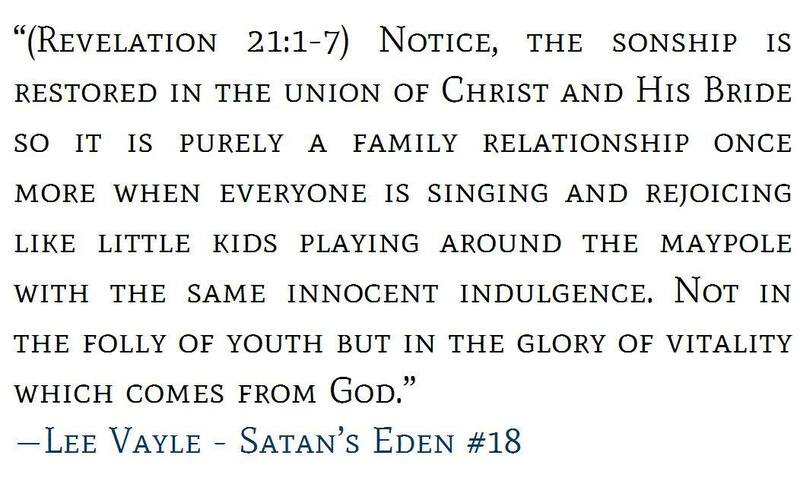 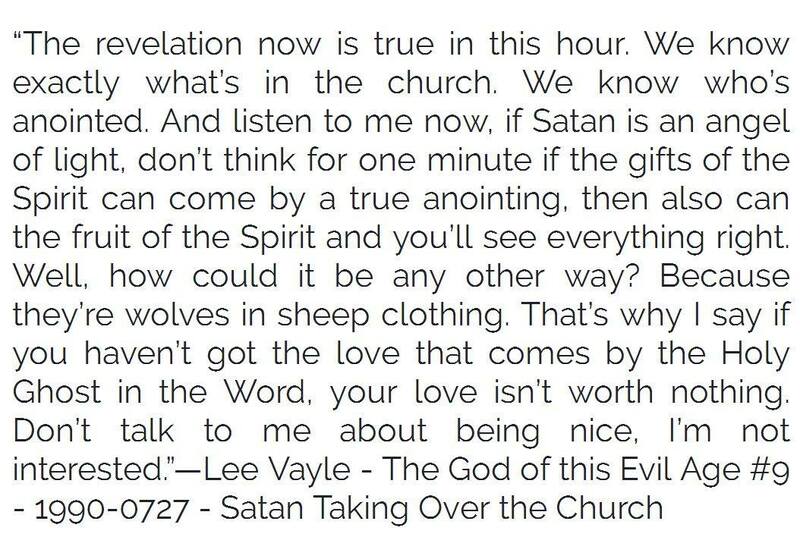 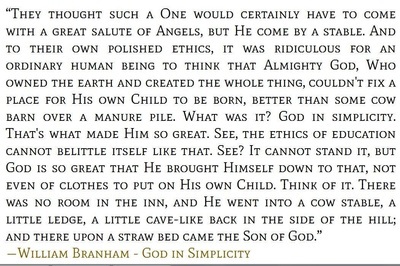 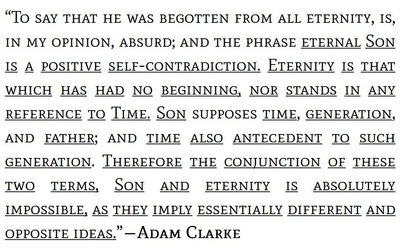 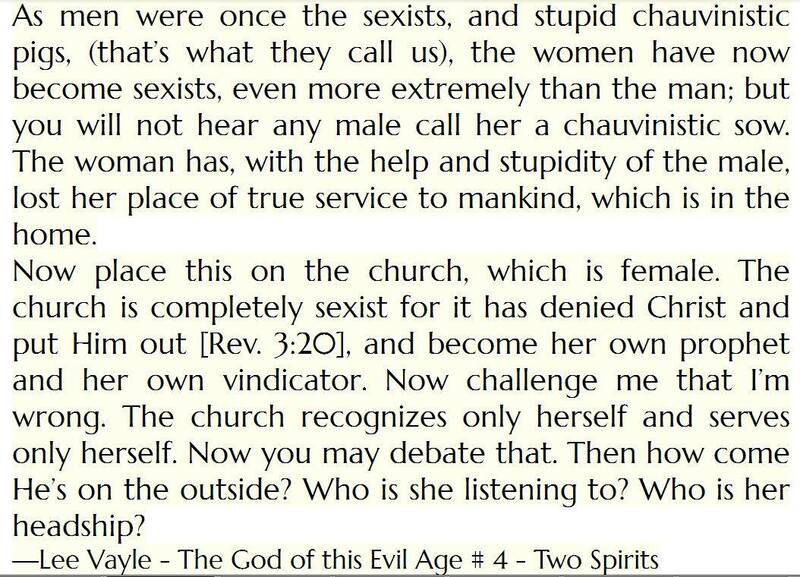 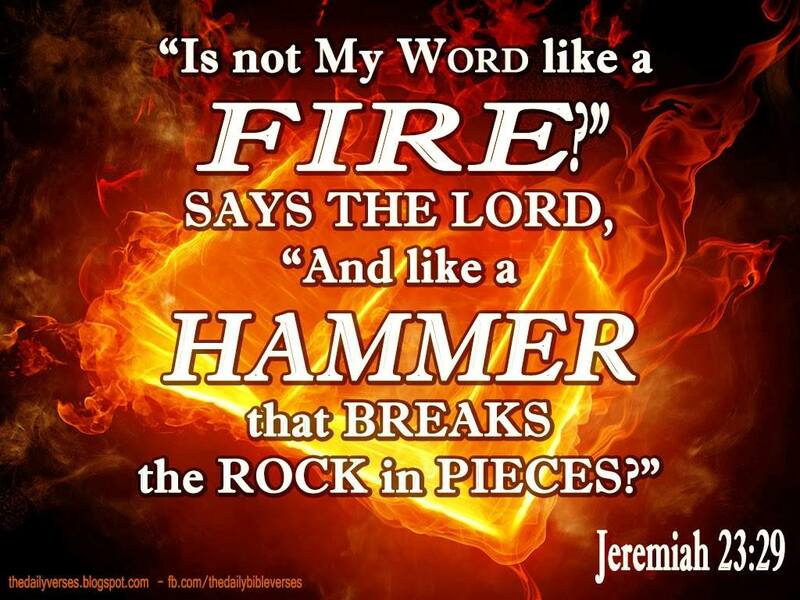 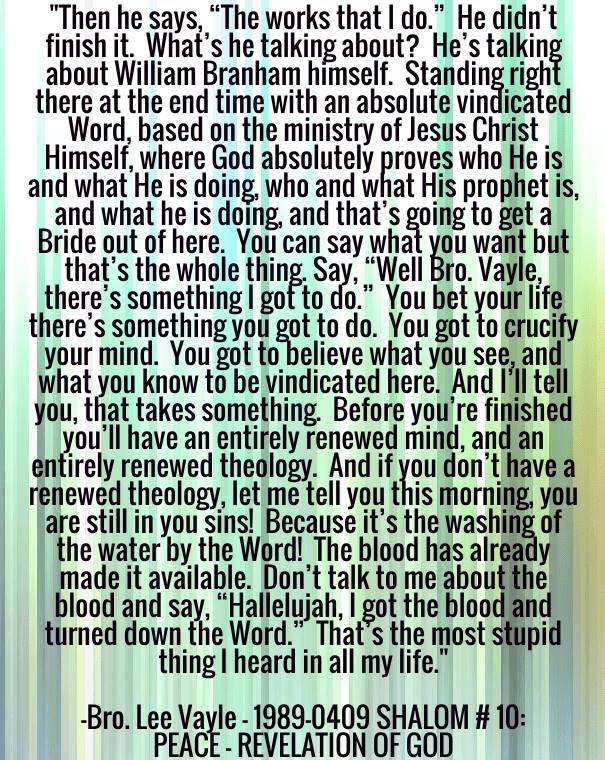 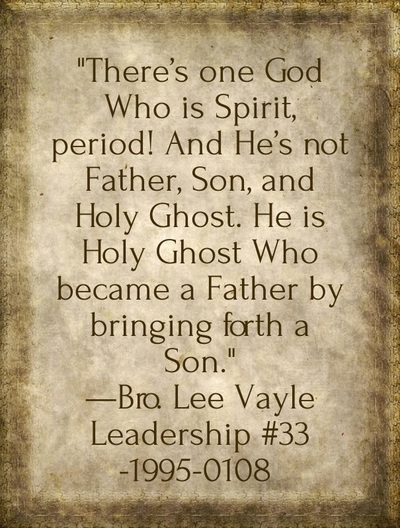 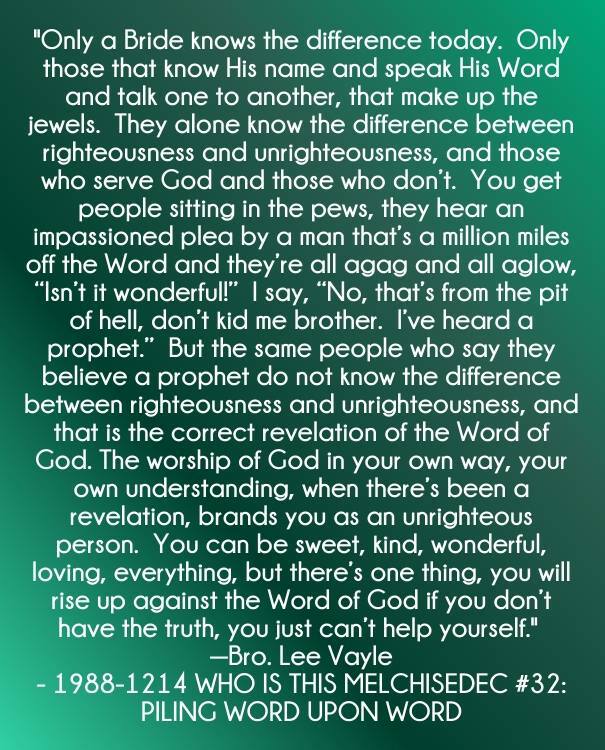 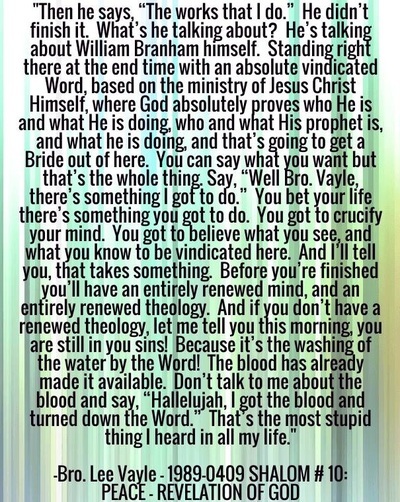 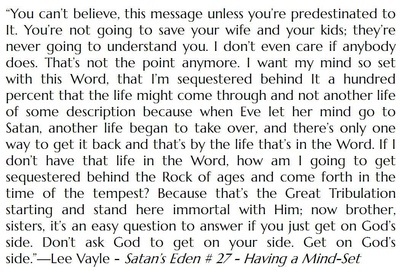 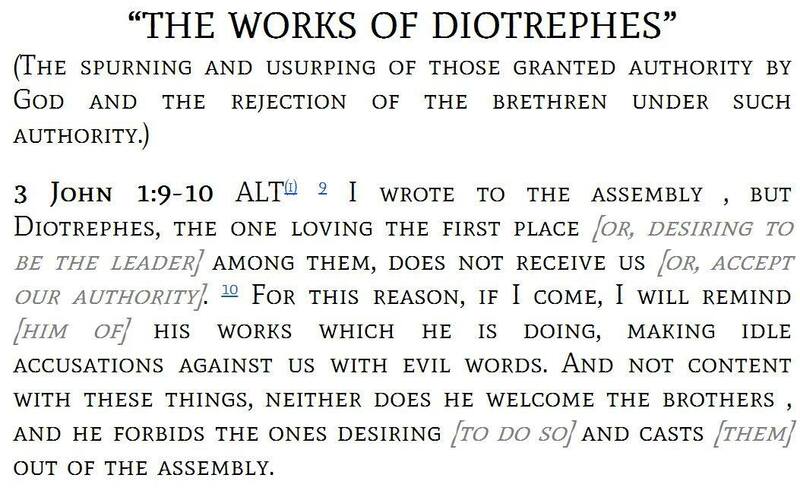 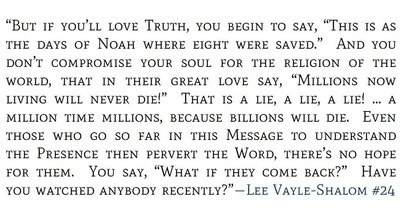 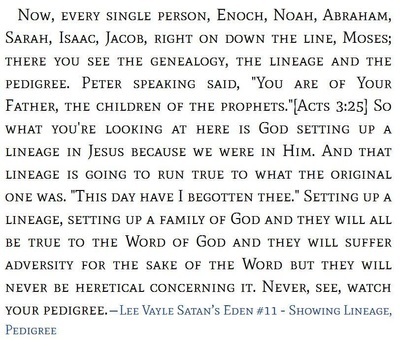 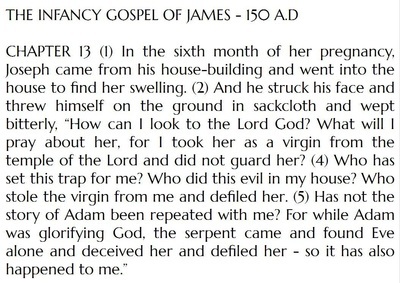 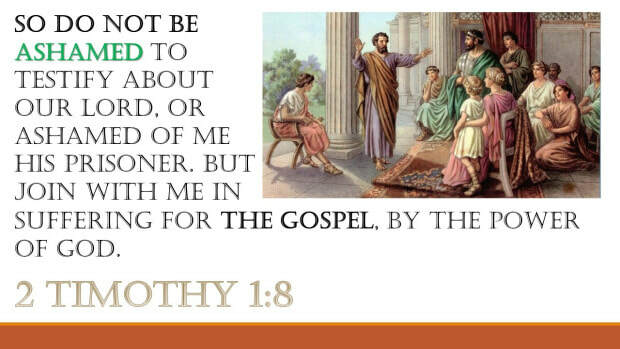 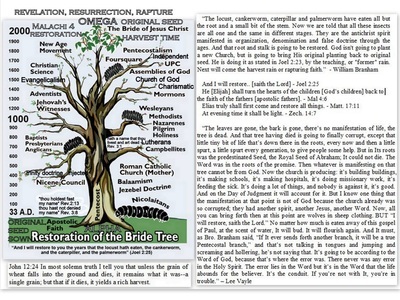 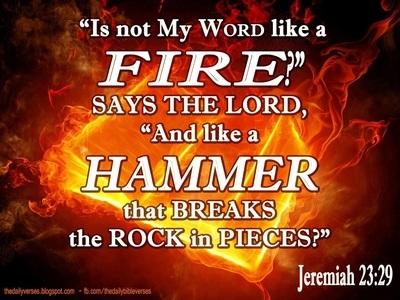 QUOTES OF SCRIPTURE, BRO. 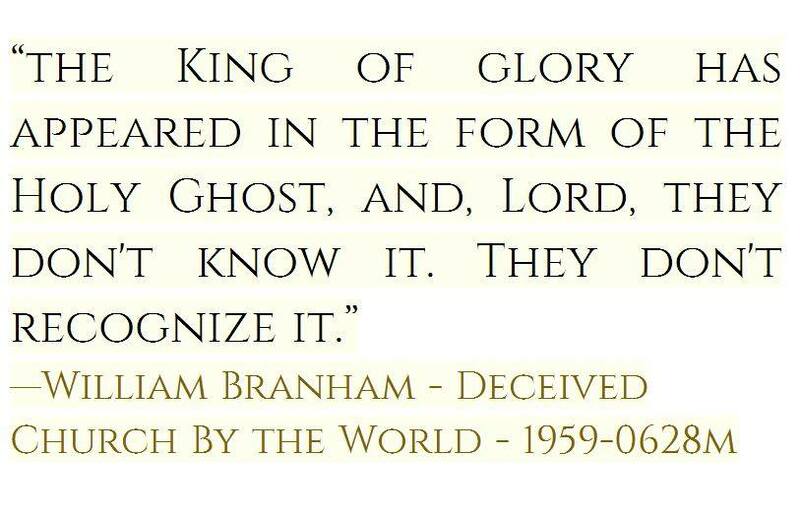 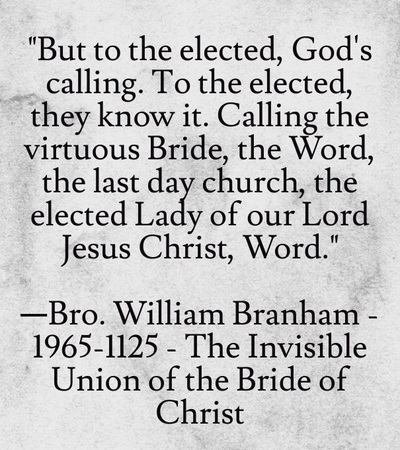 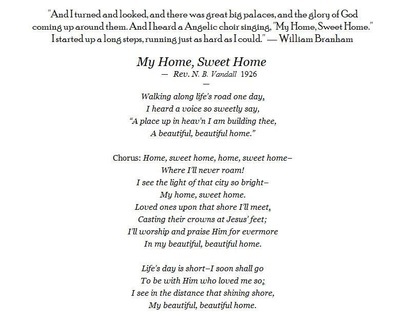 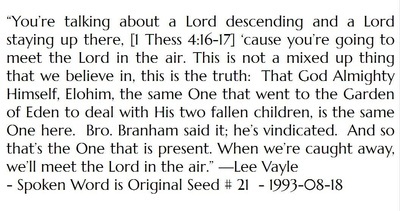 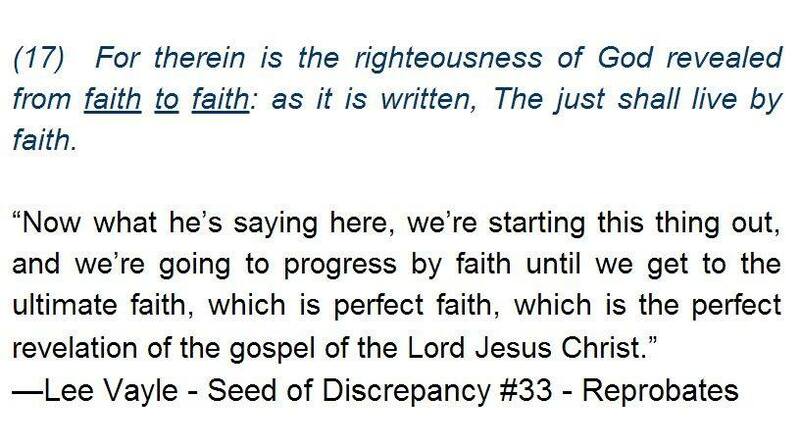 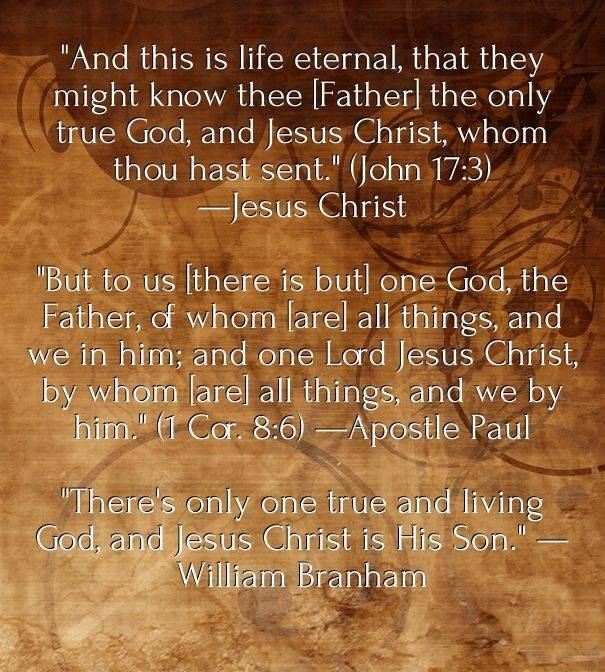 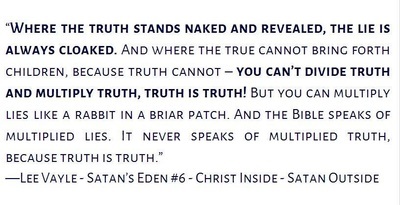 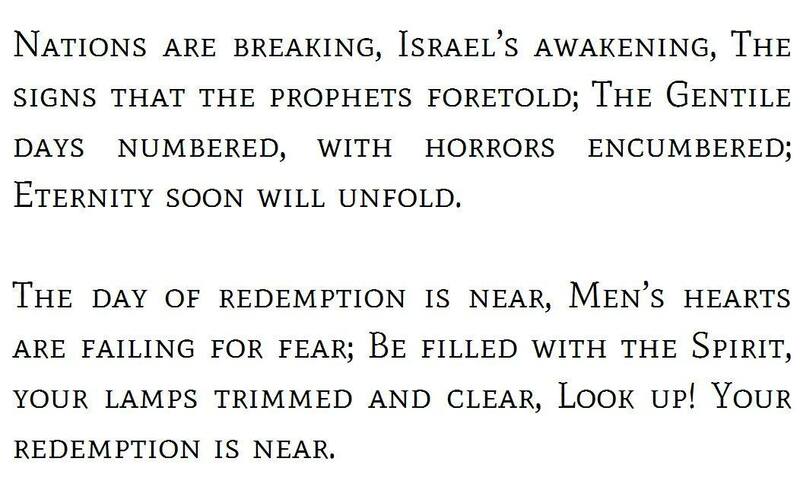 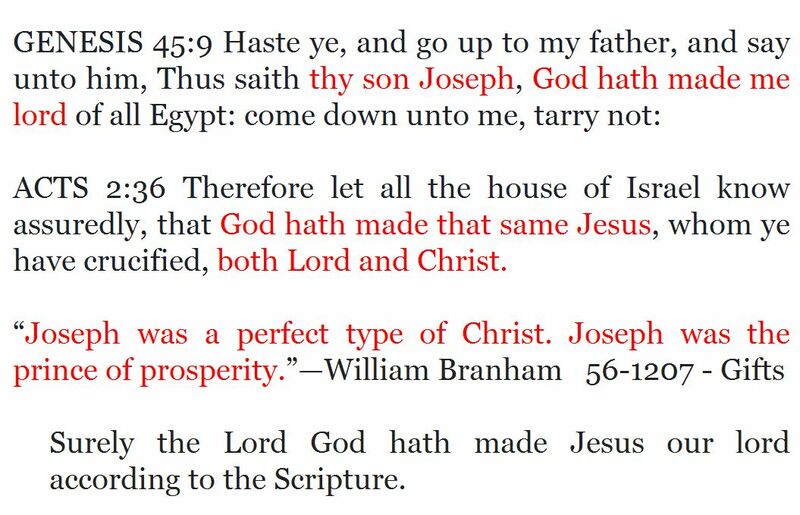 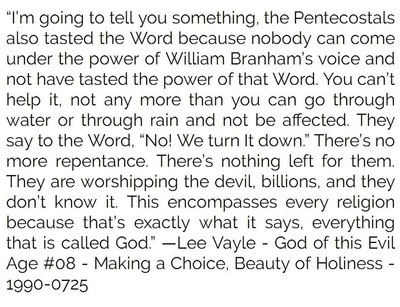 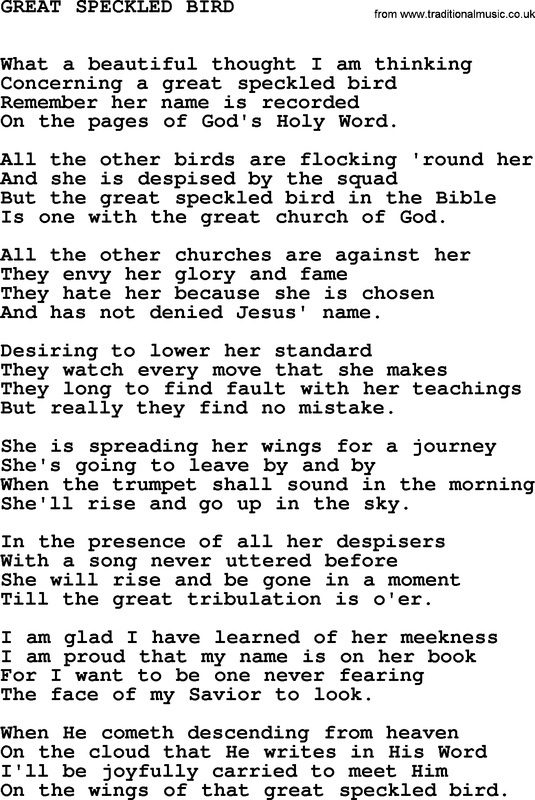 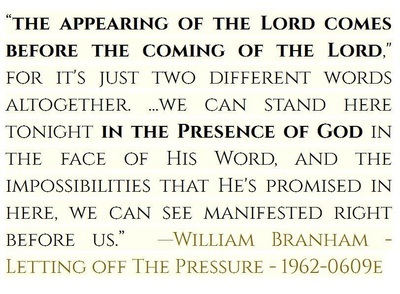 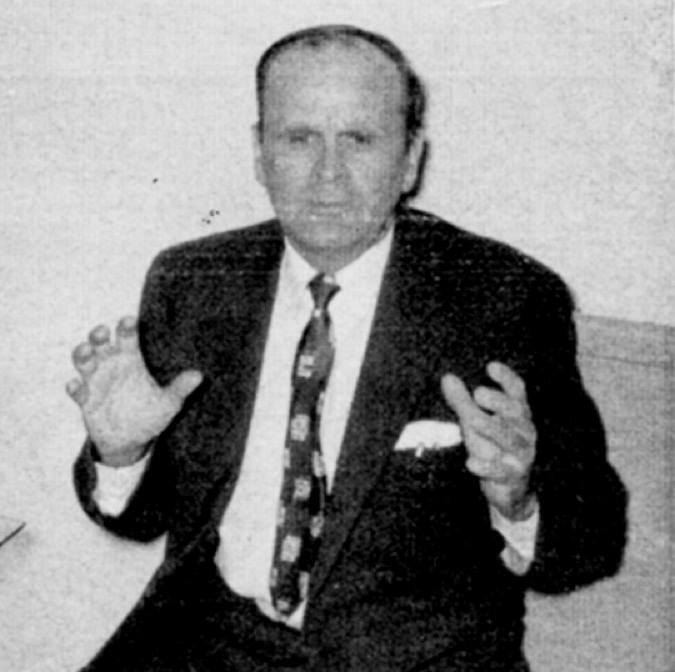 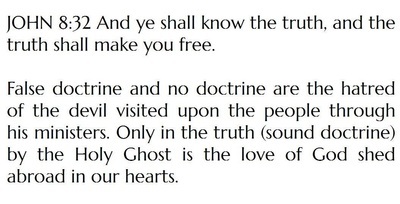 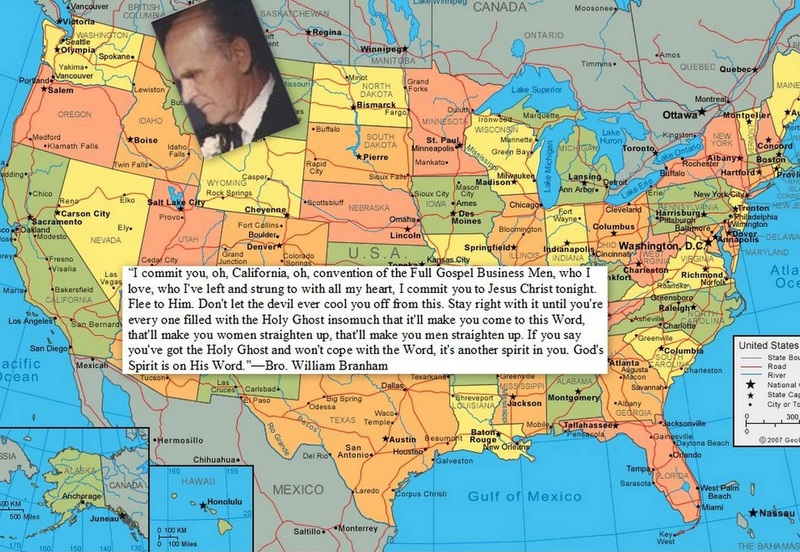 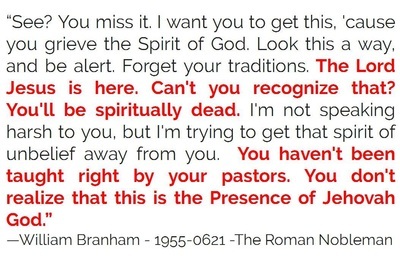 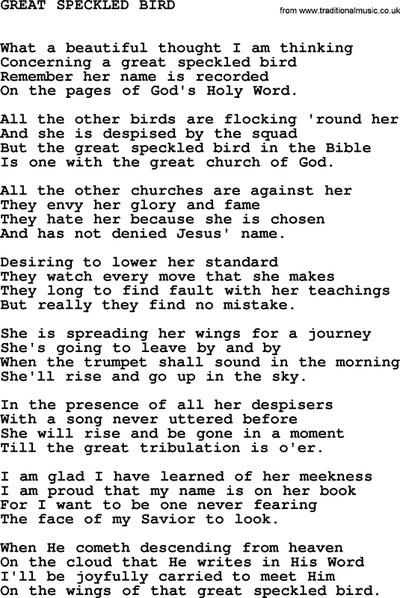 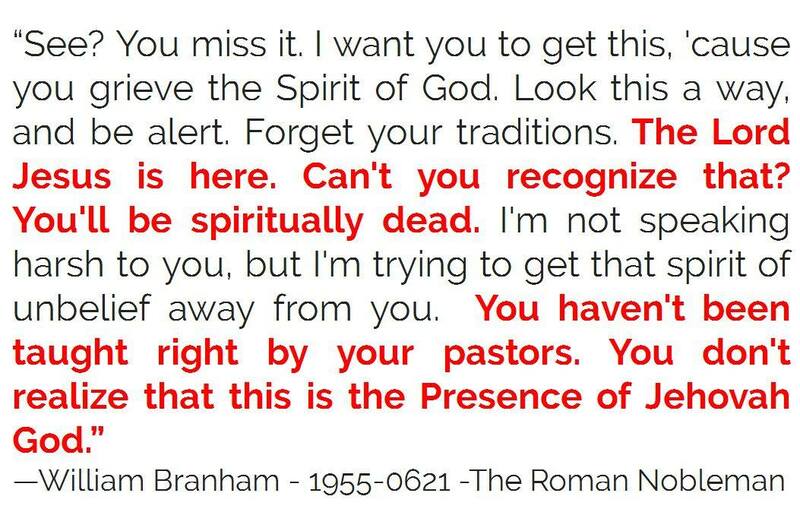 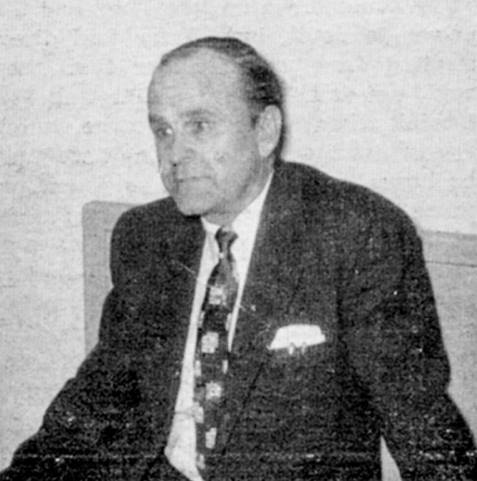 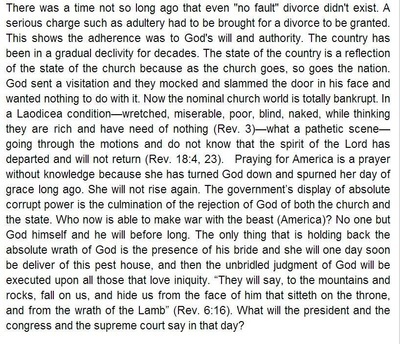 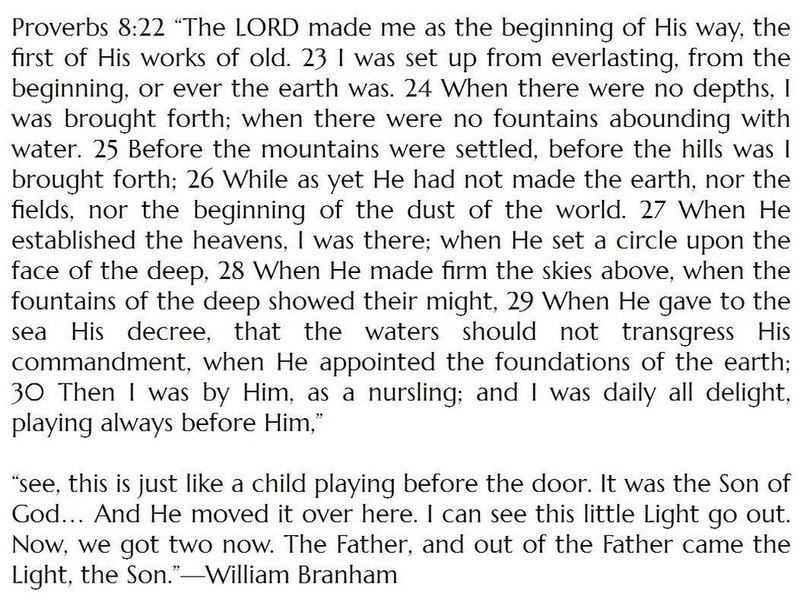 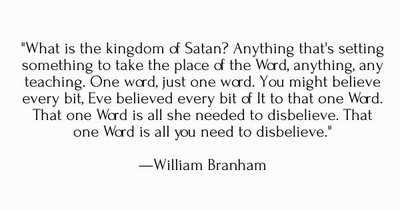 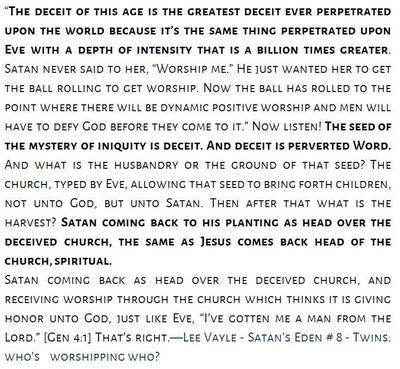 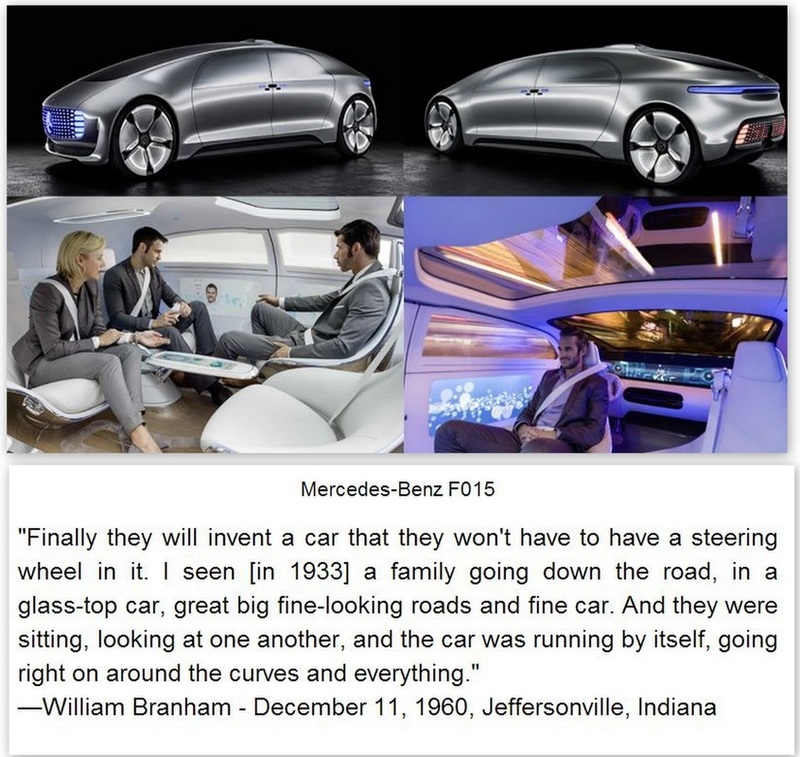 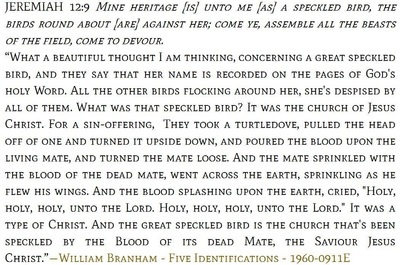 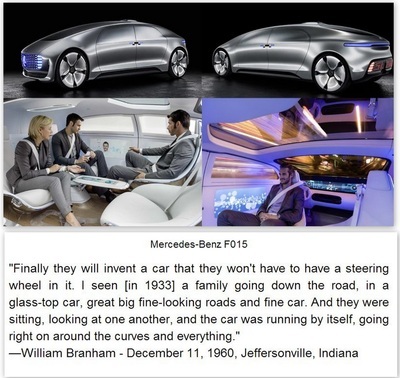 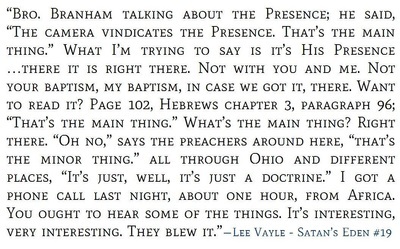 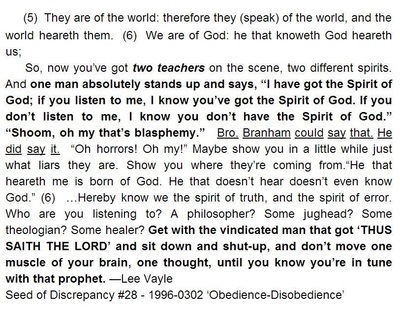 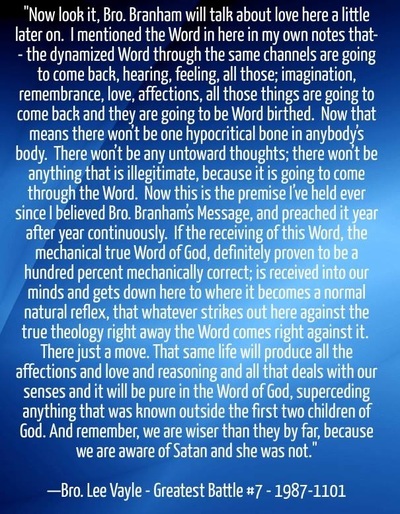 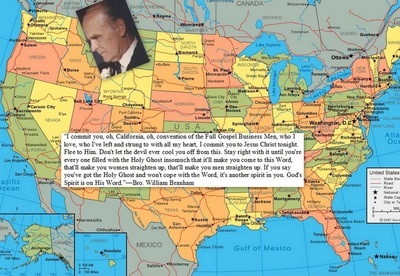 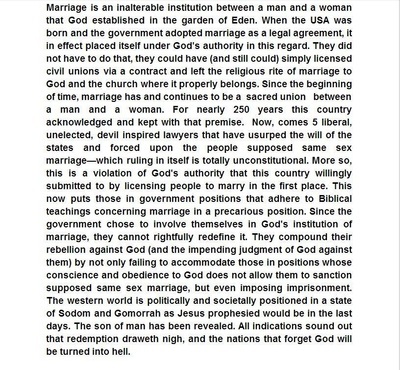 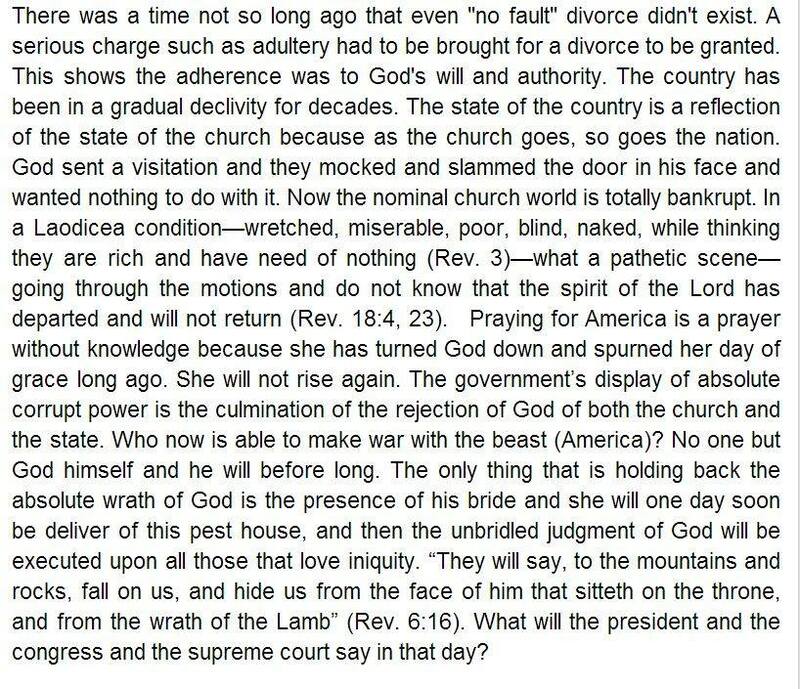 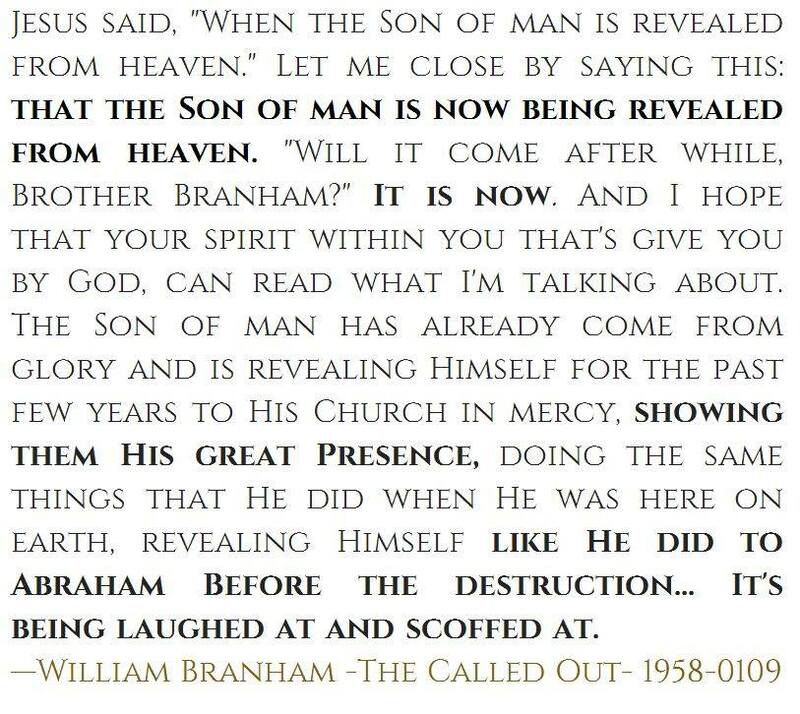 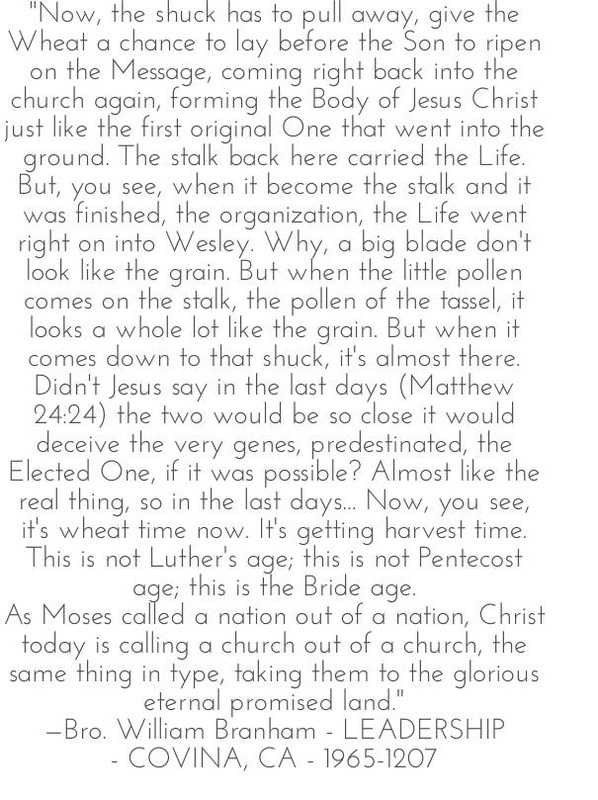 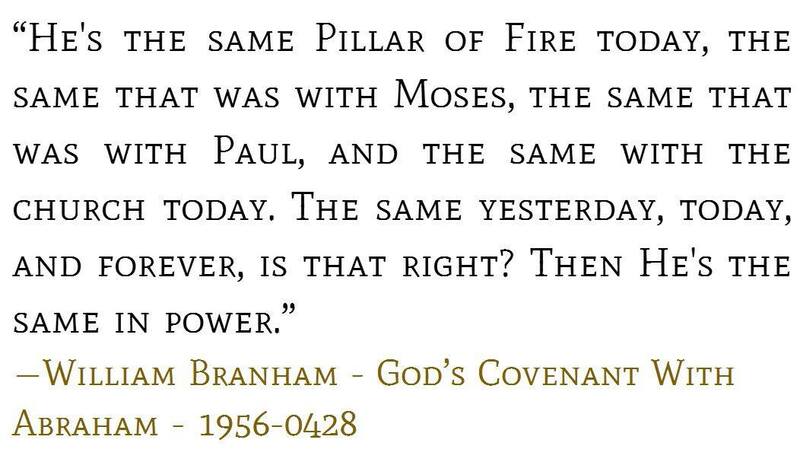 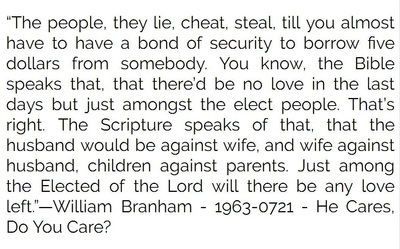 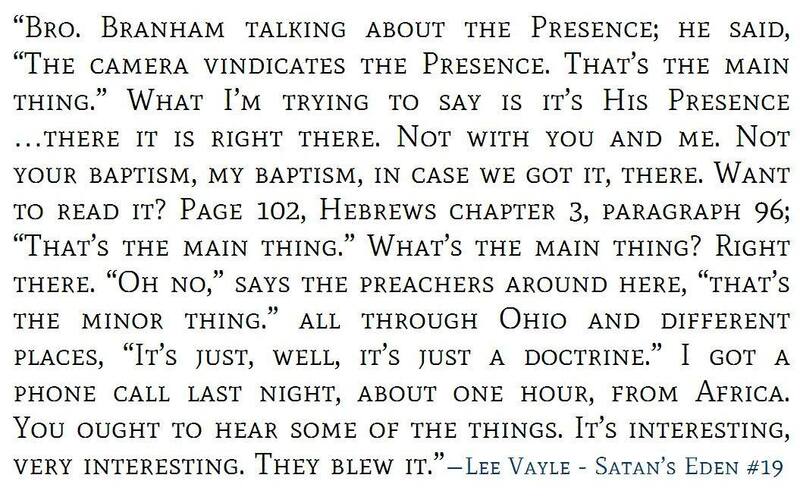 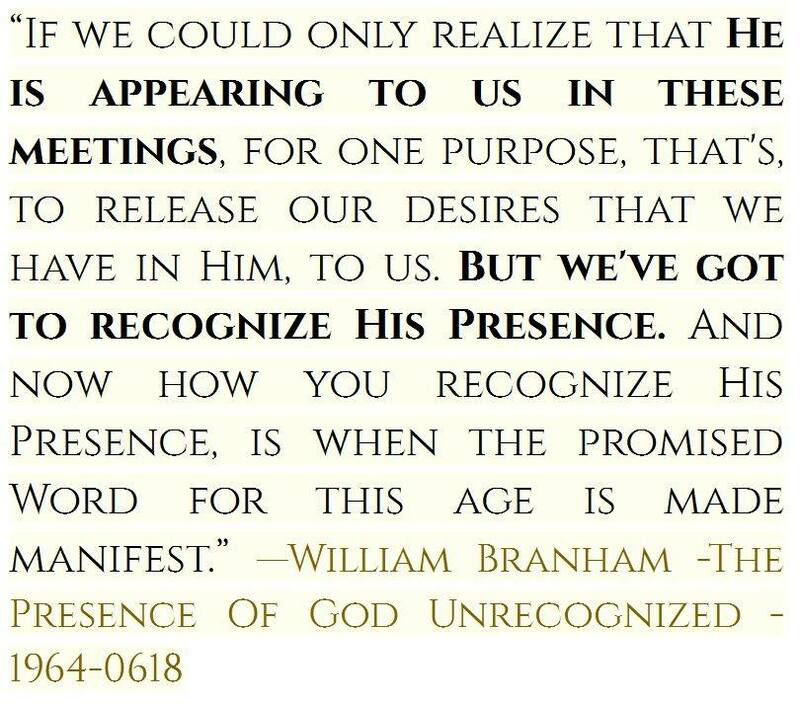 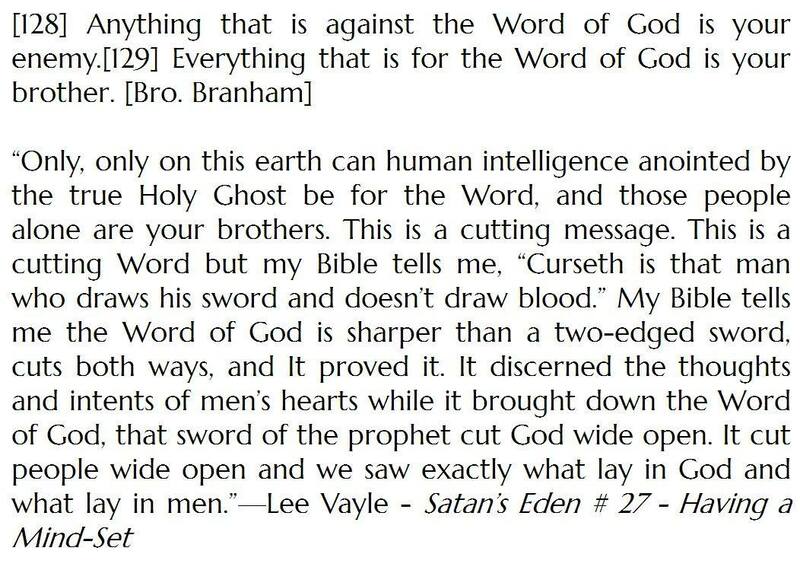 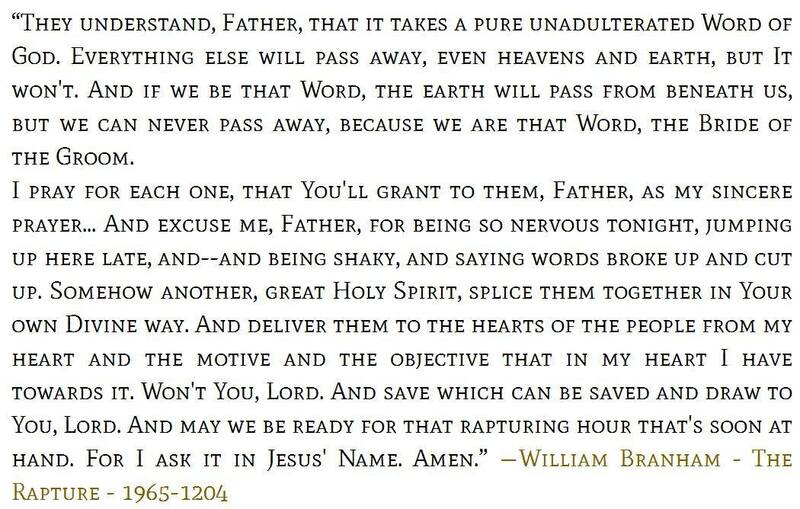 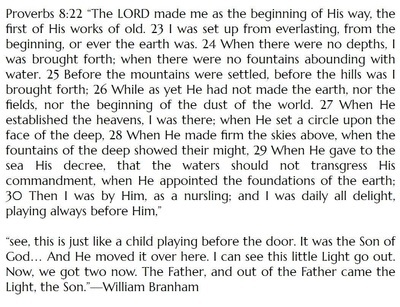 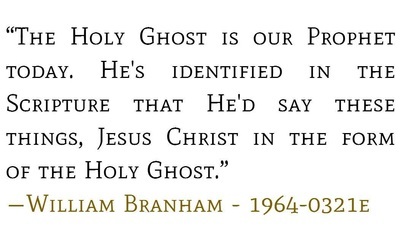 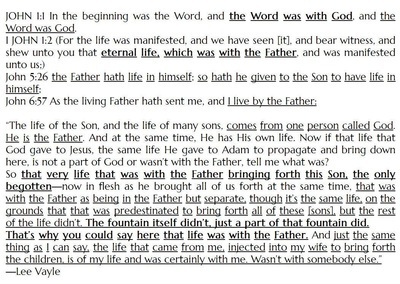 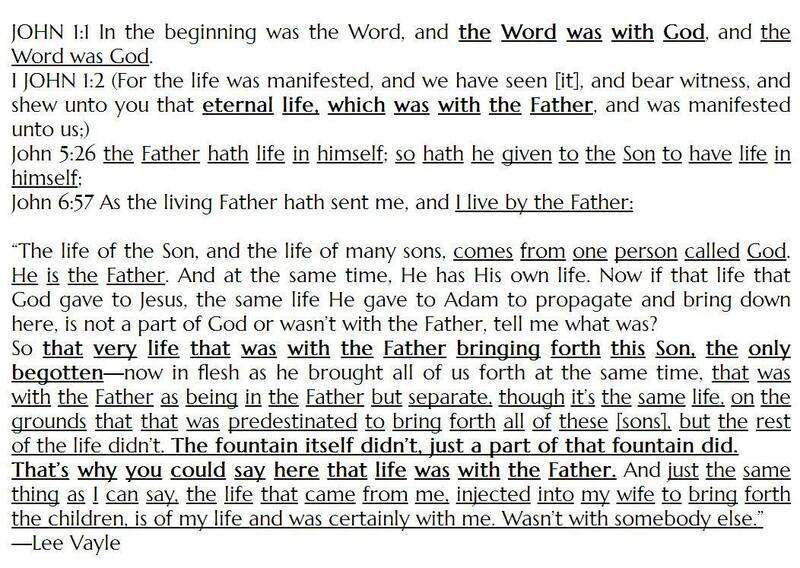 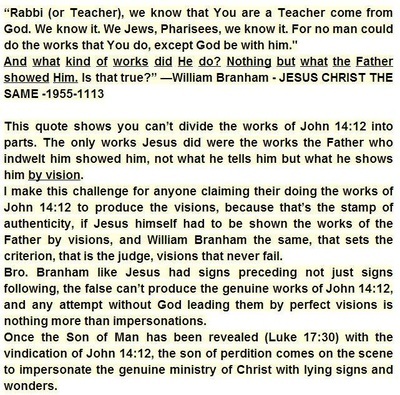 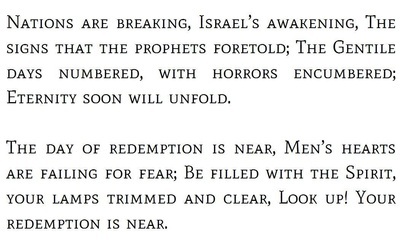 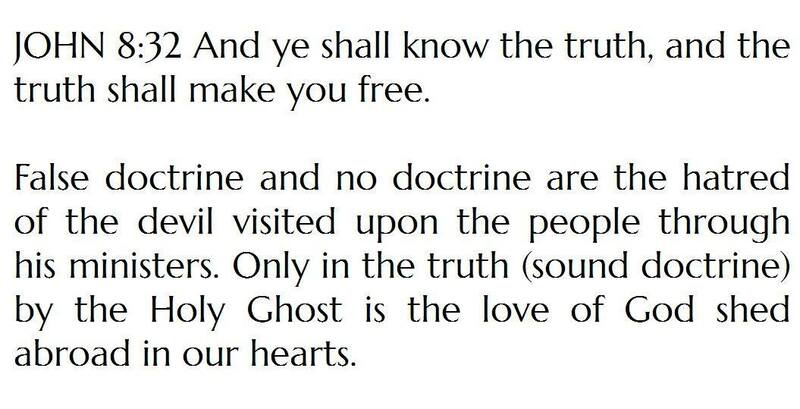 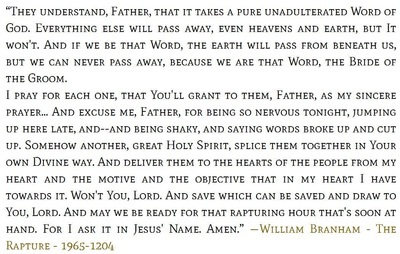 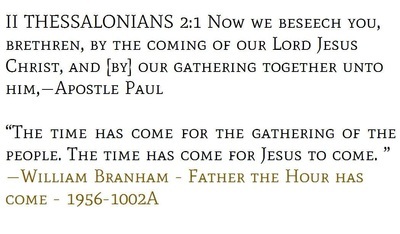 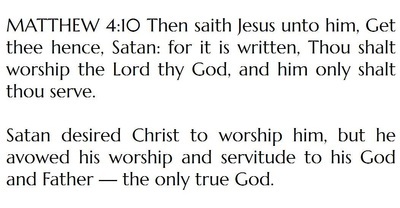 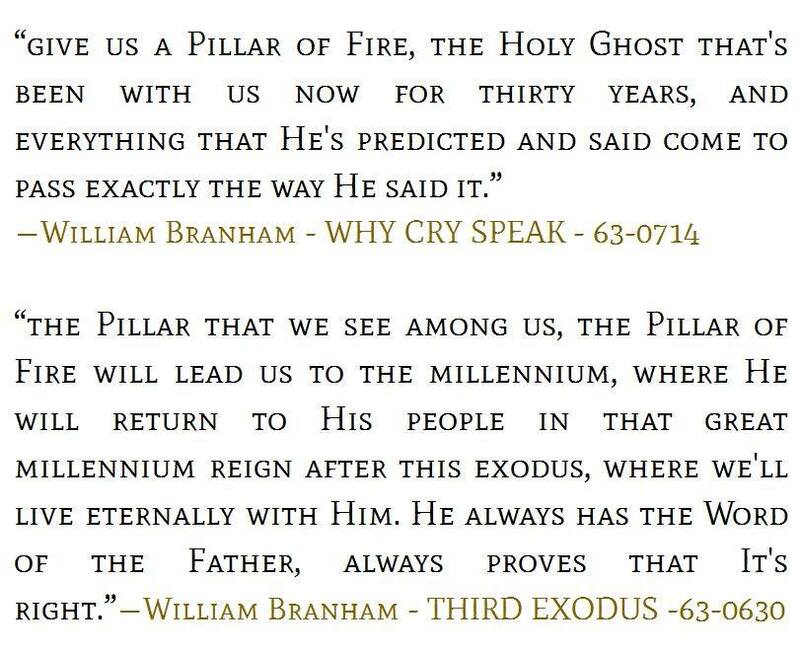 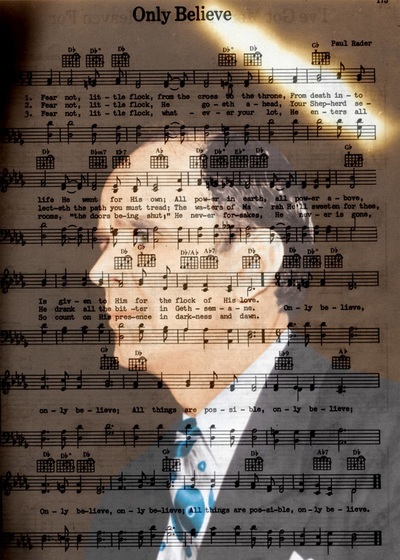 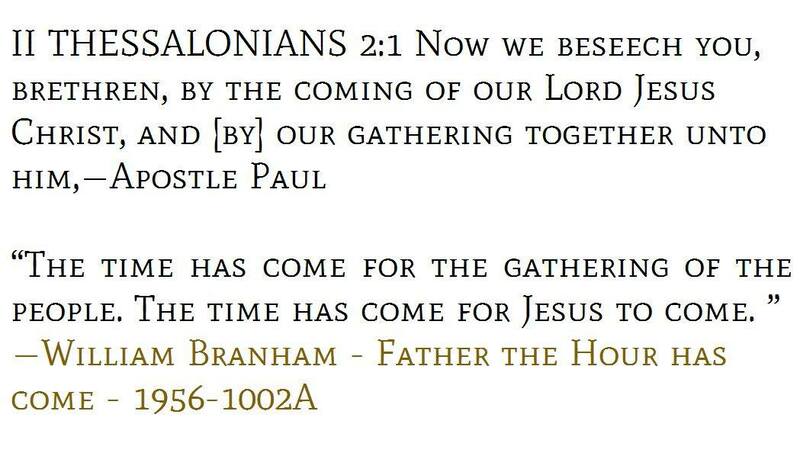 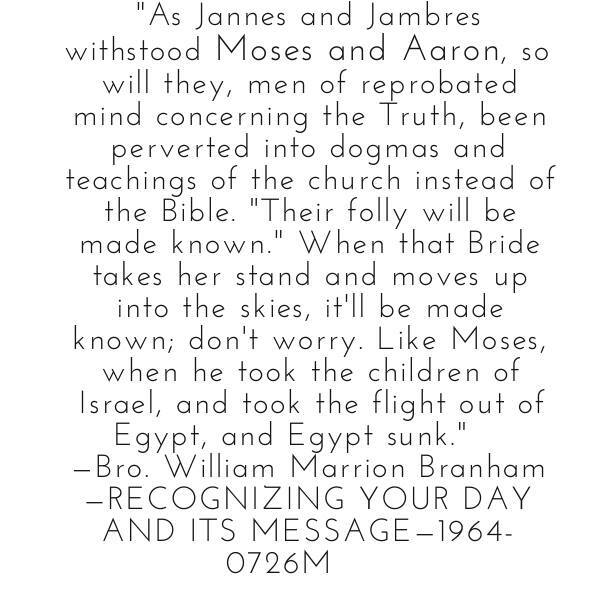 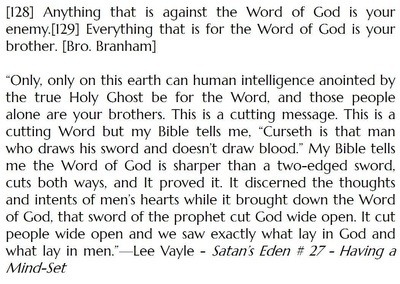 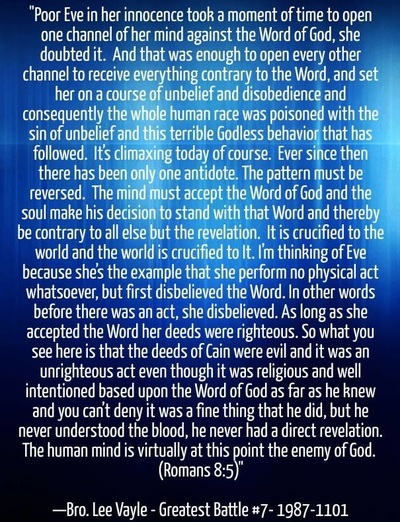 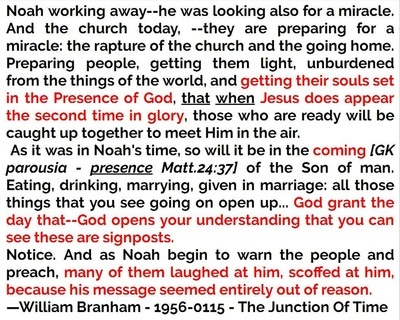 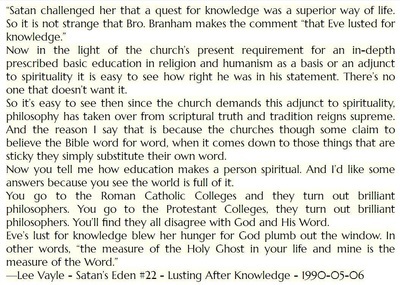 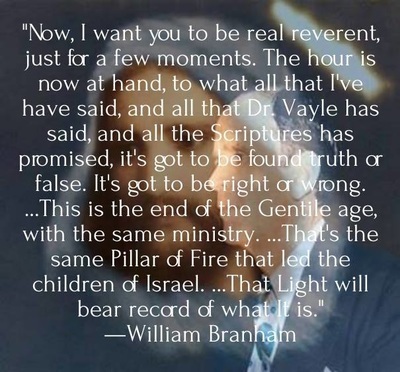 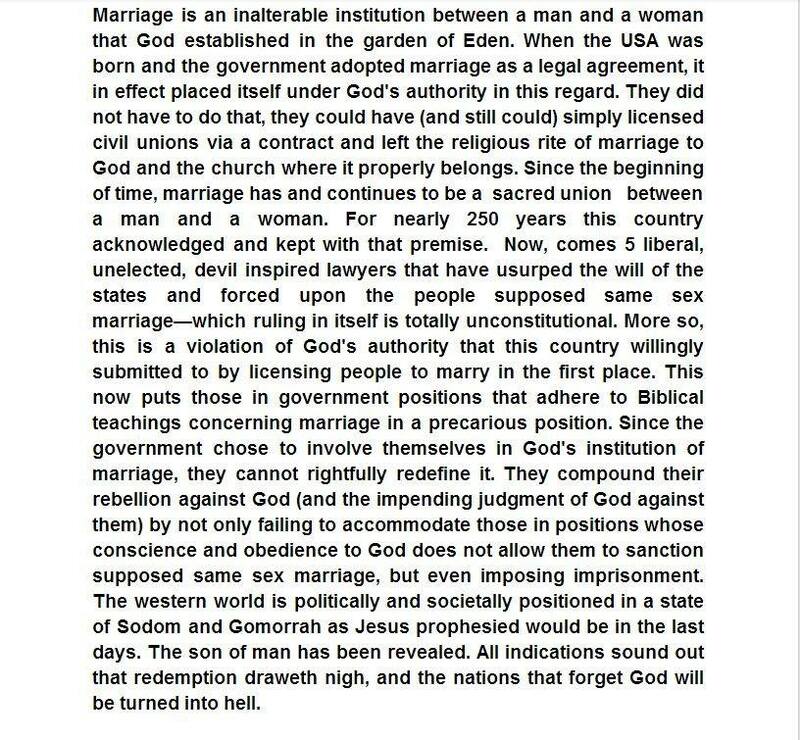 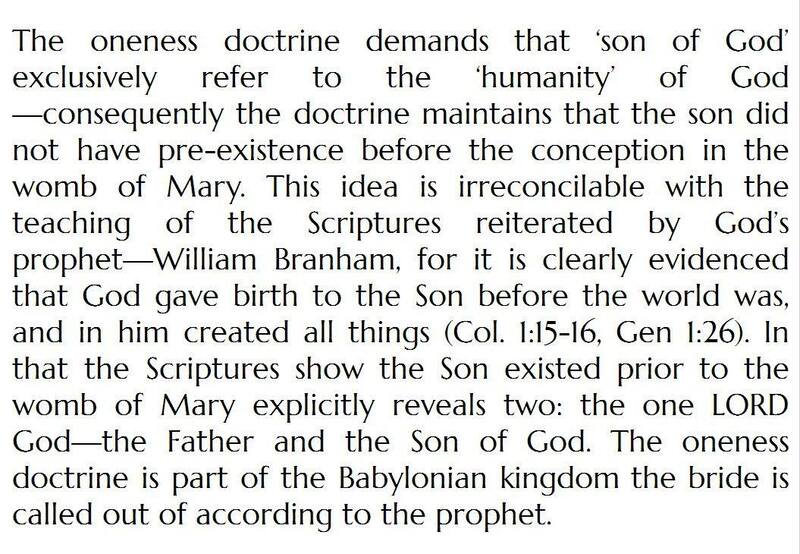 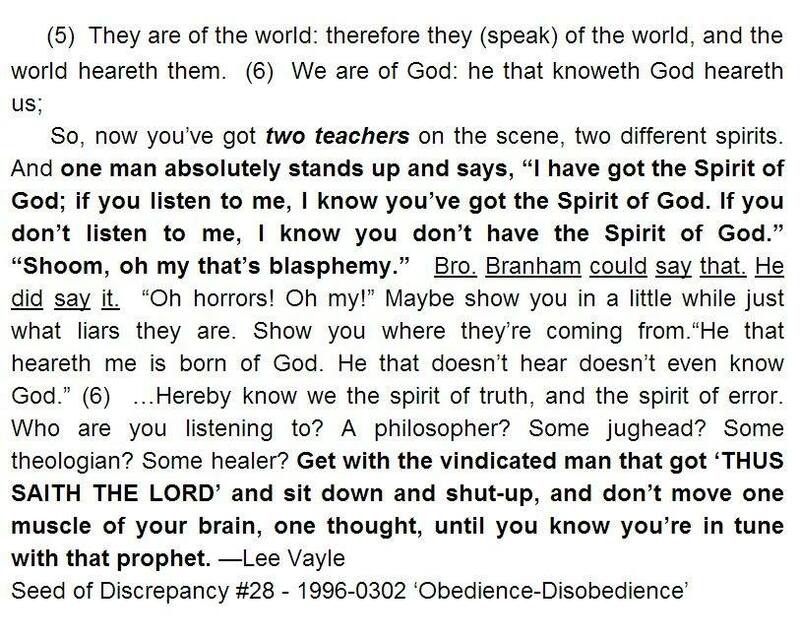 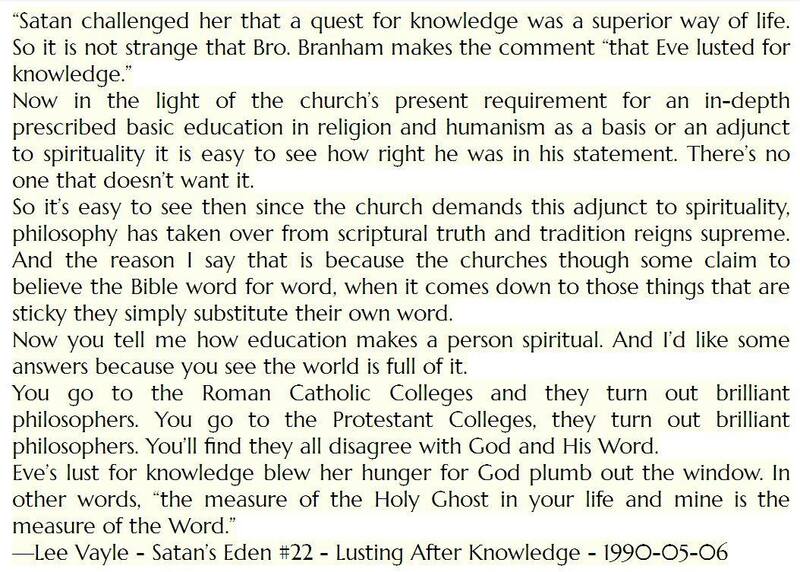 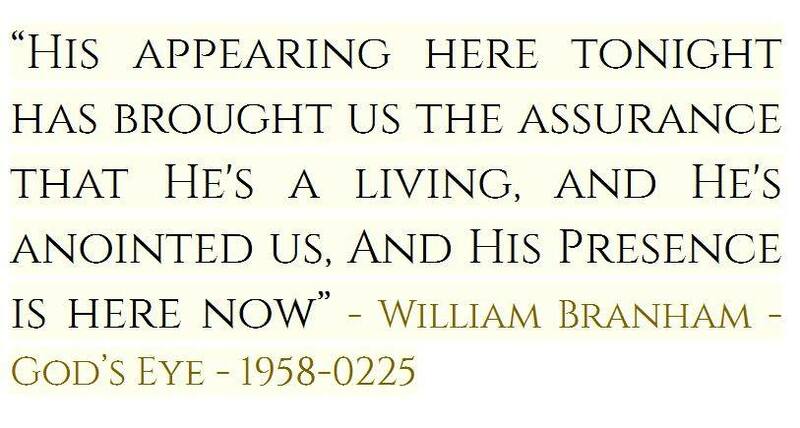 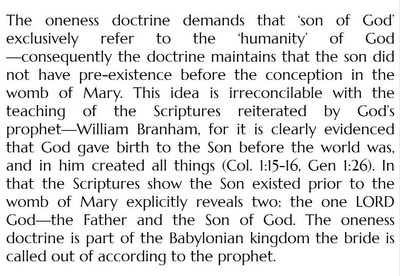 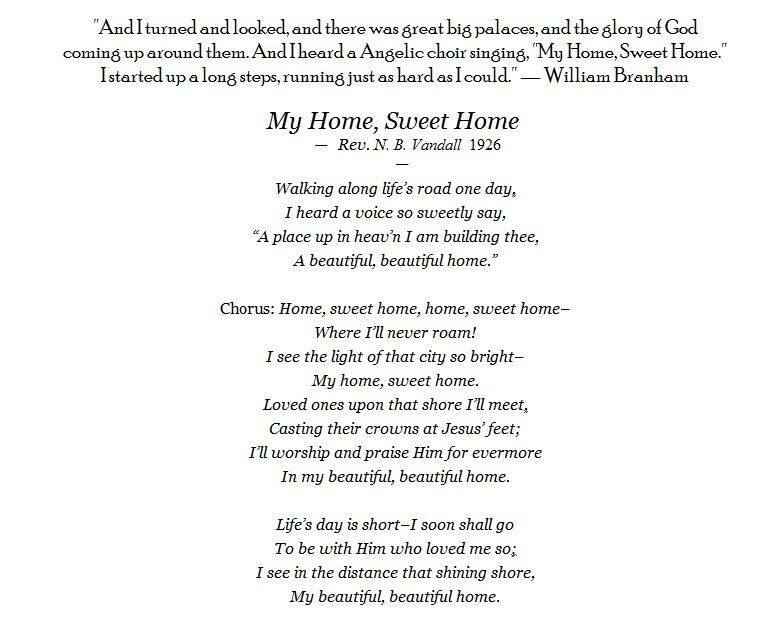 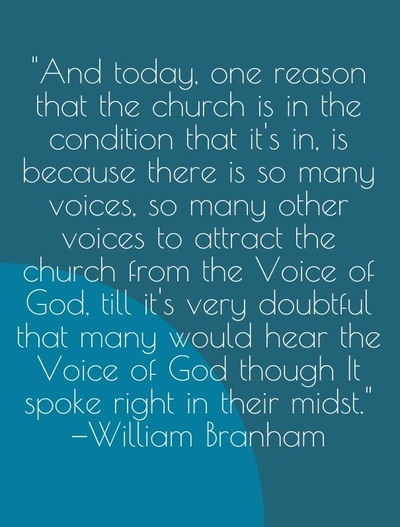 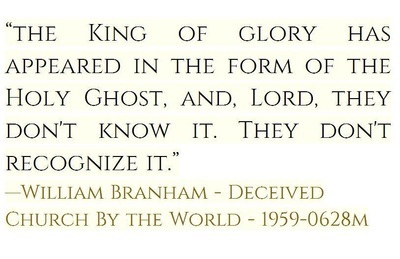 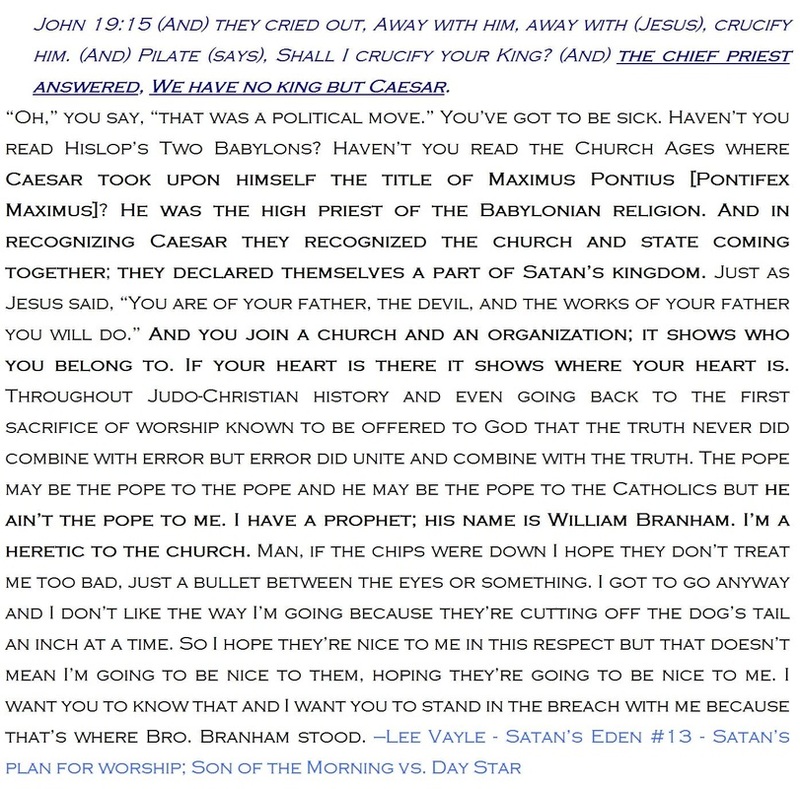 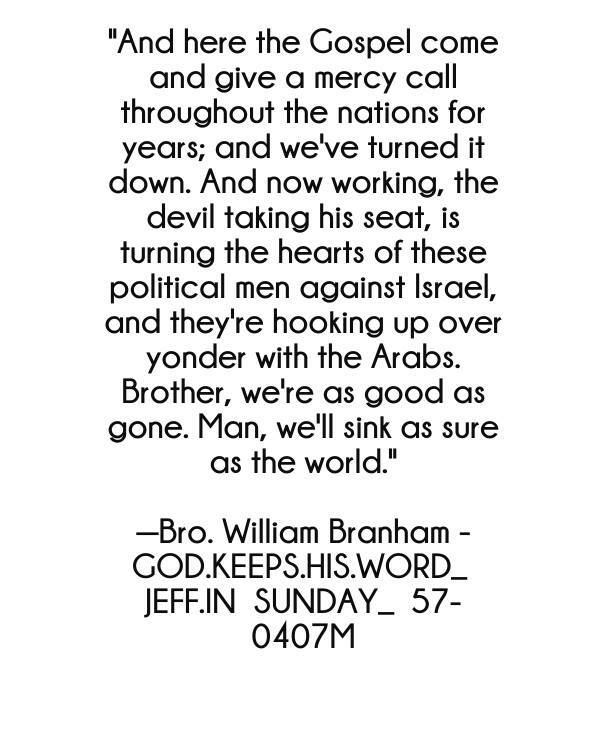 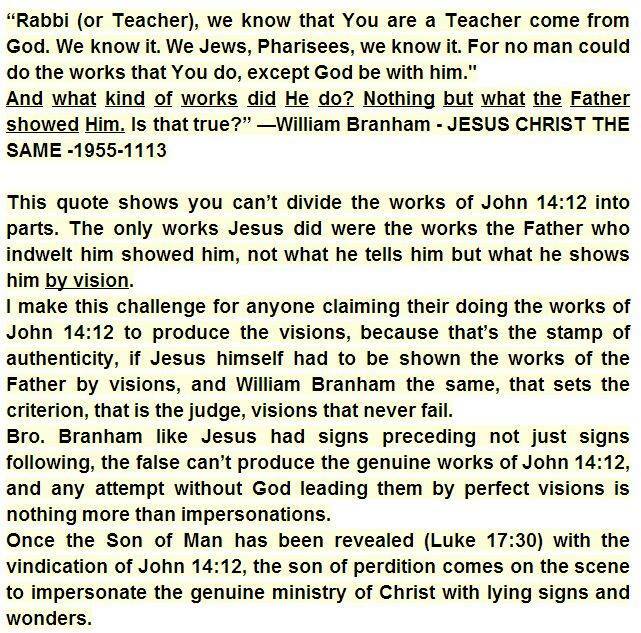 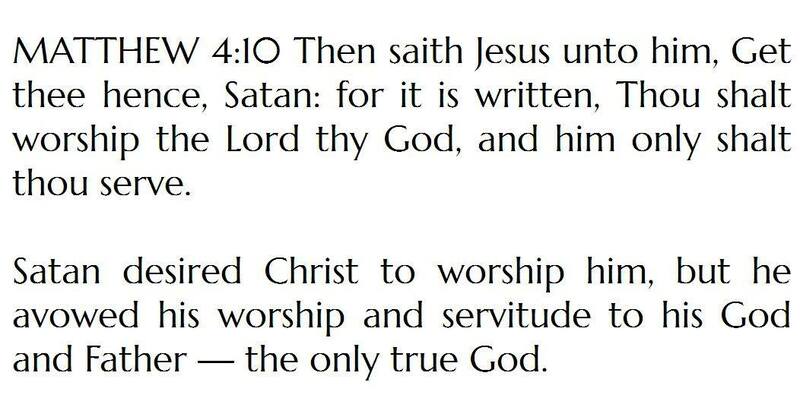 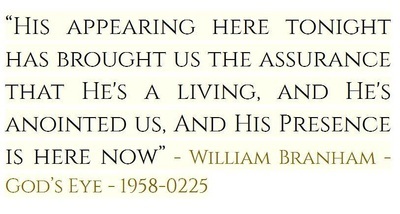 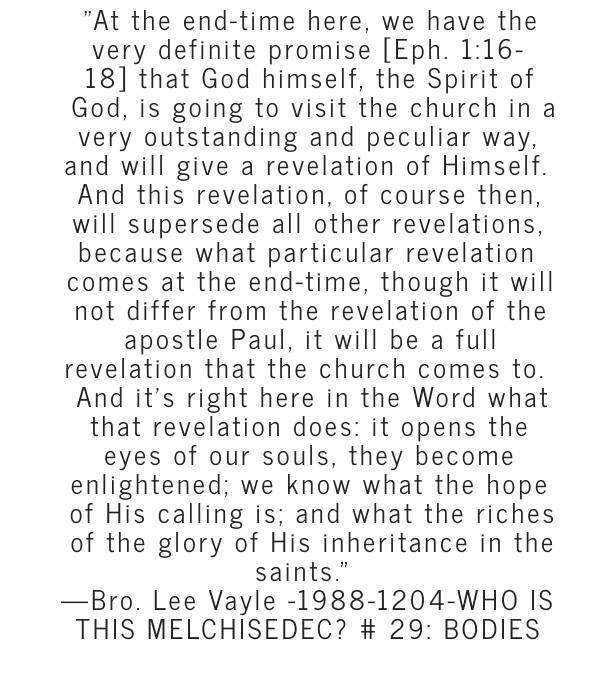 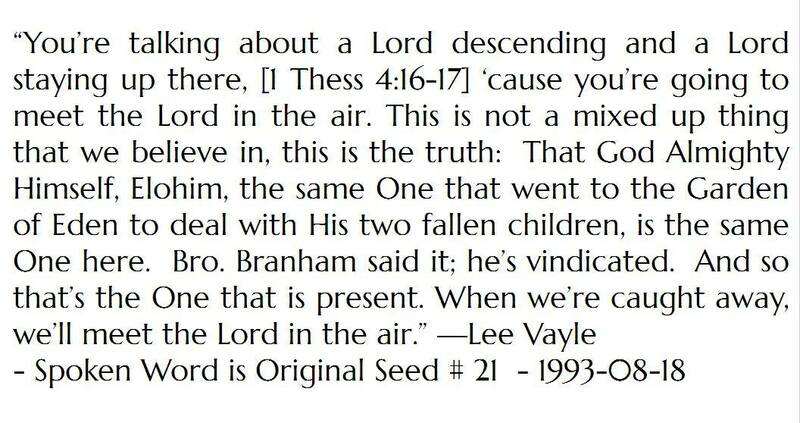 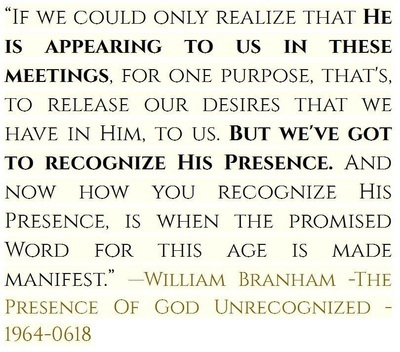 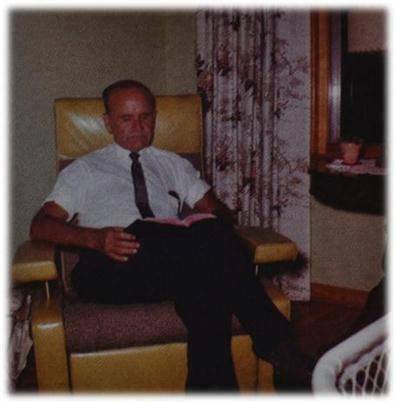 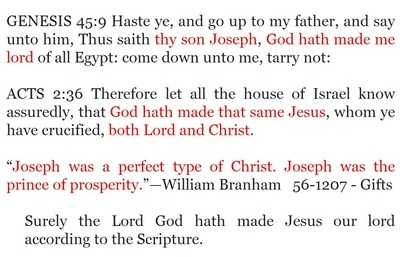 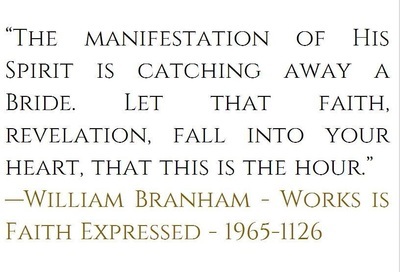 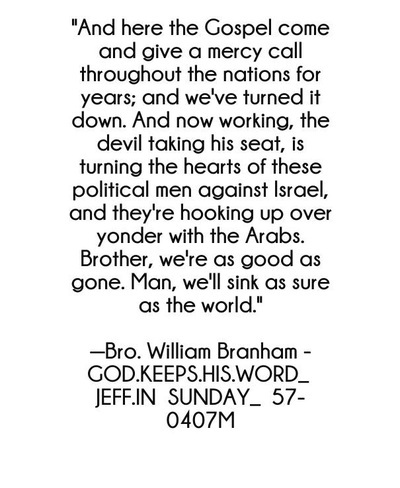 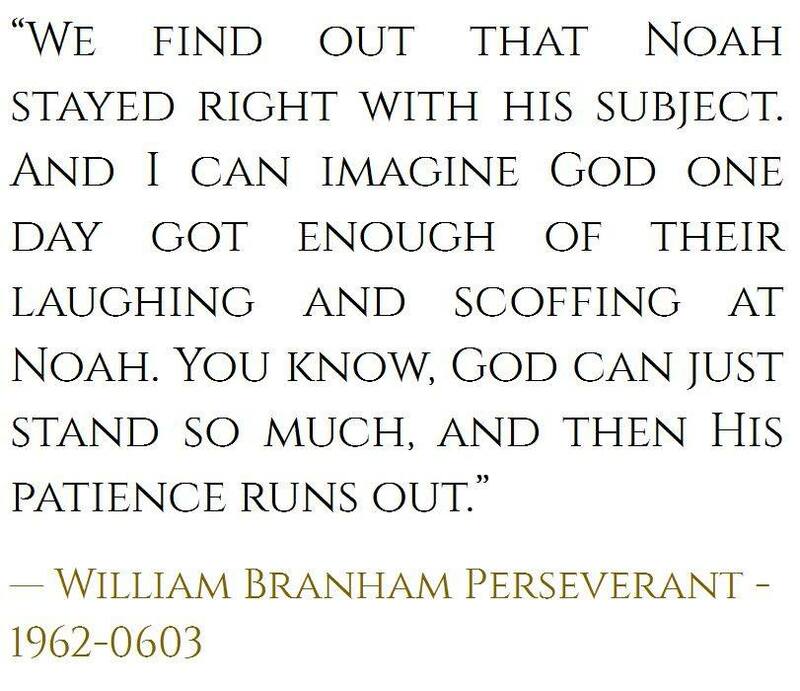 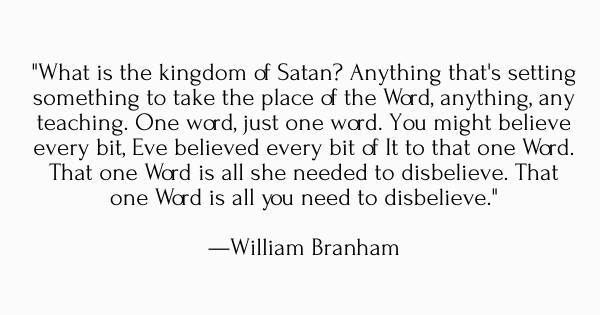 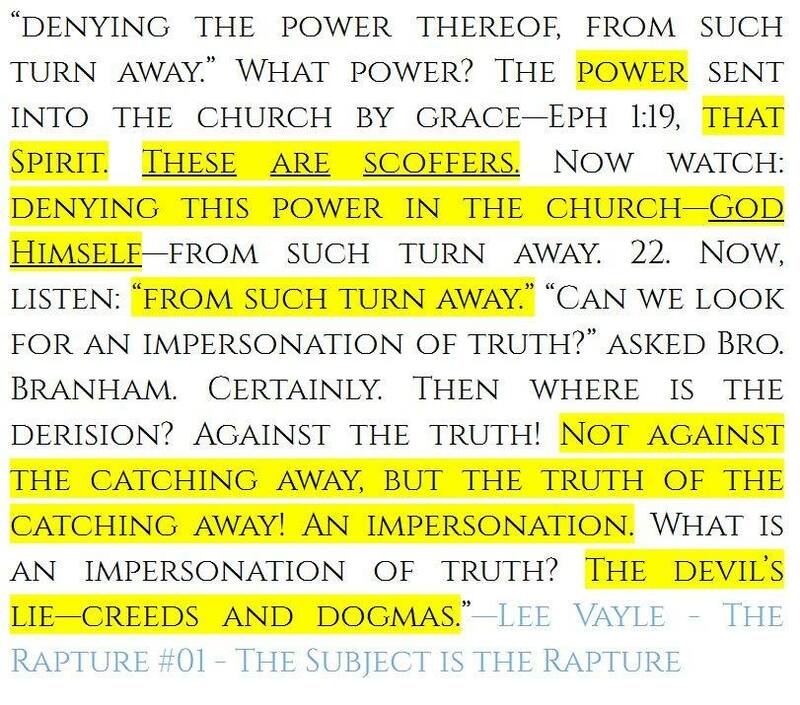 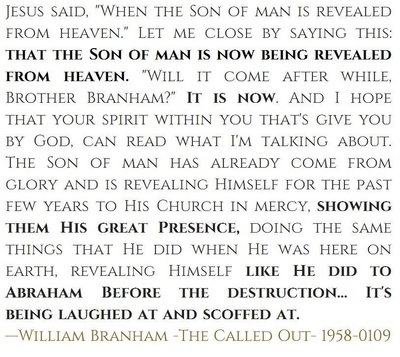 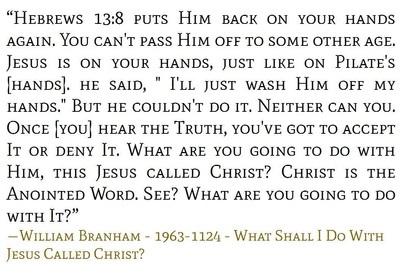 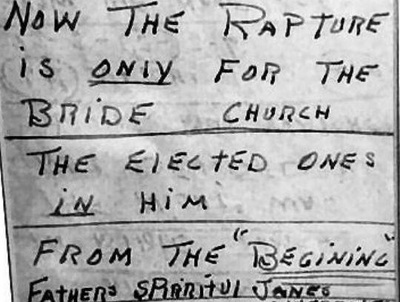 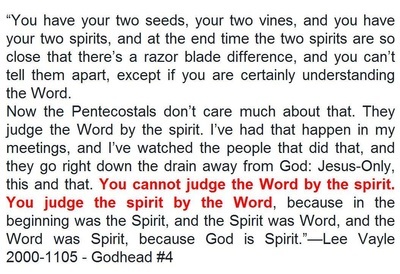 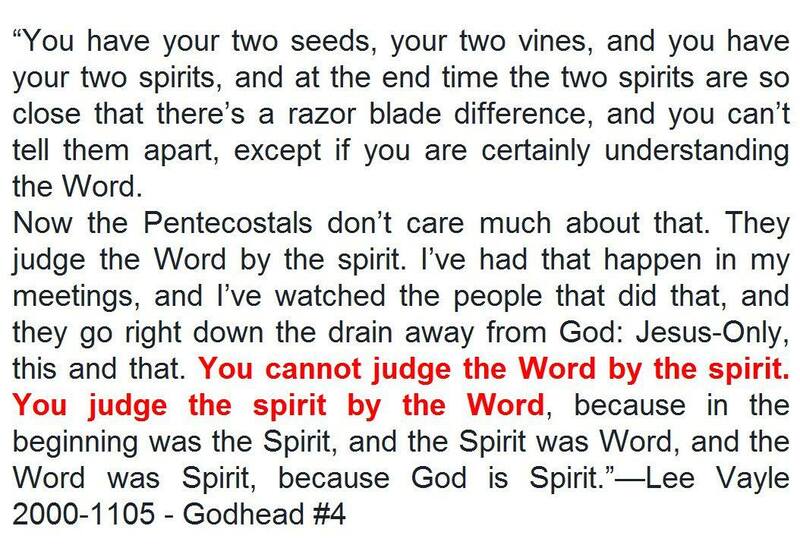 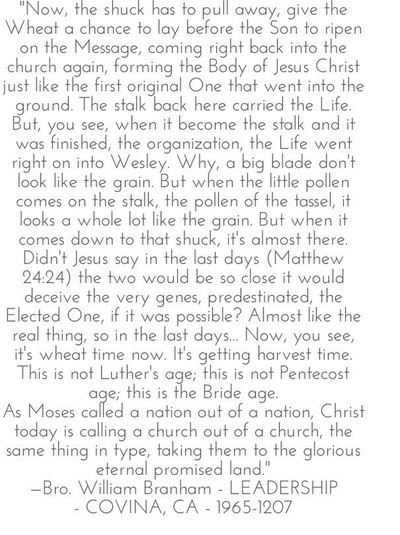 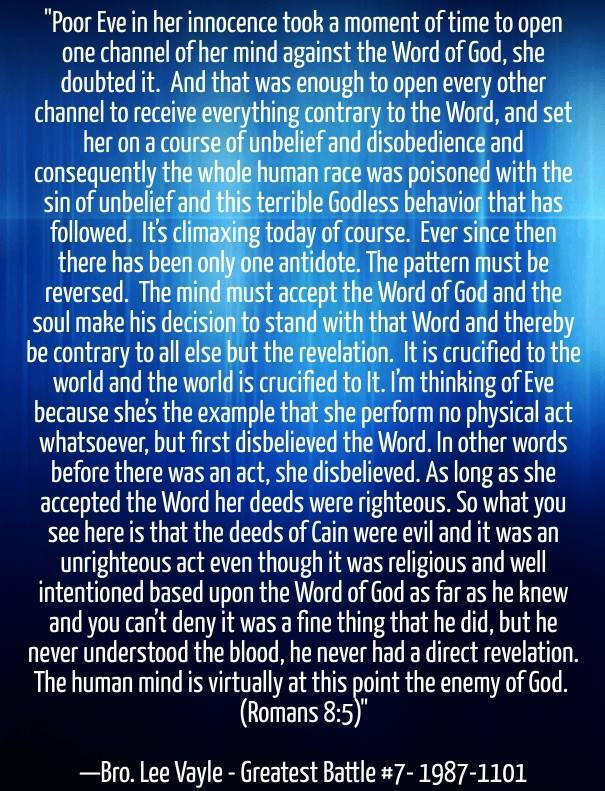 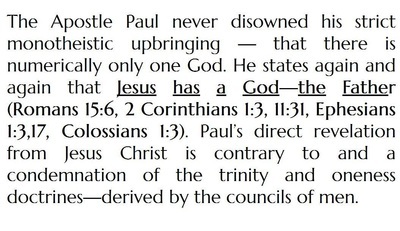 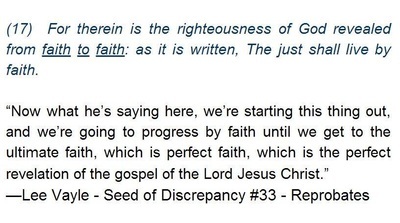 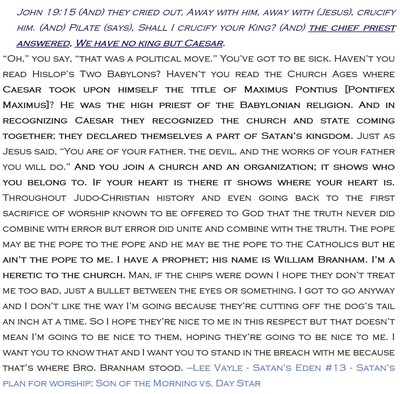 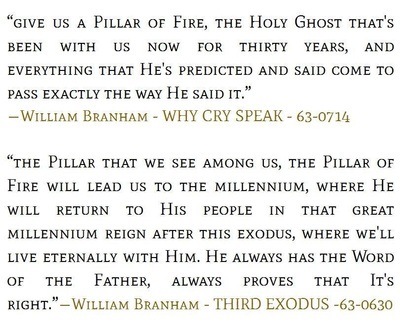 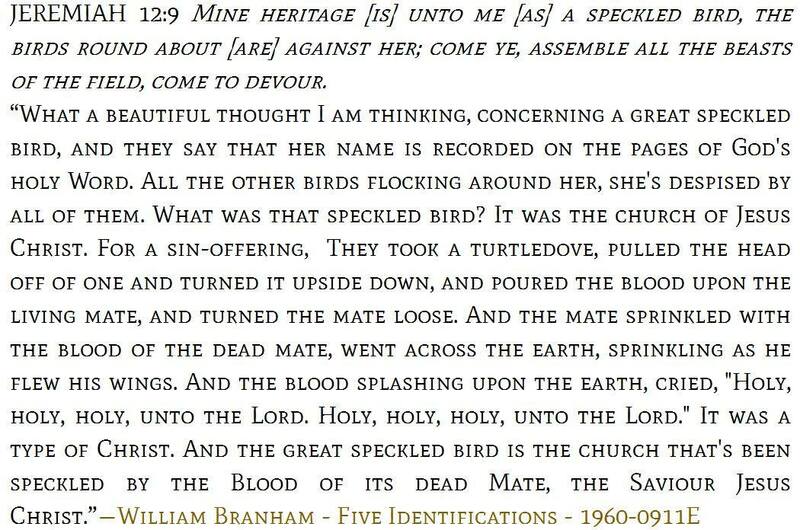 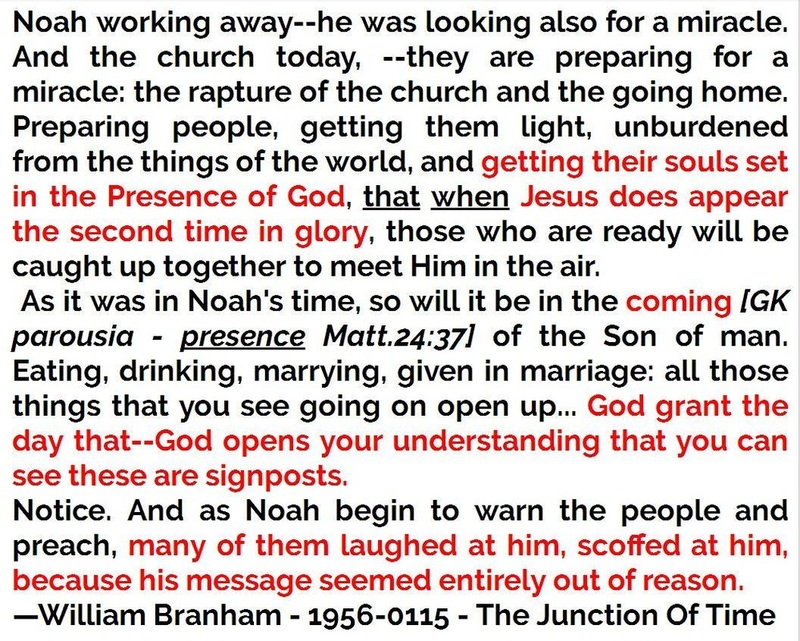 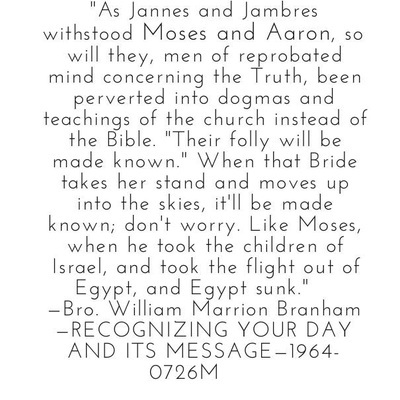 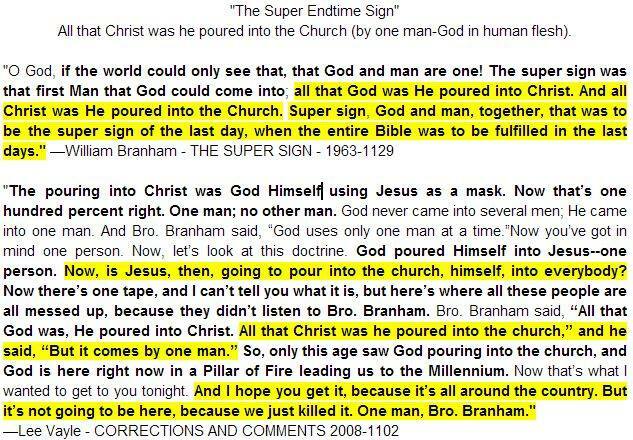 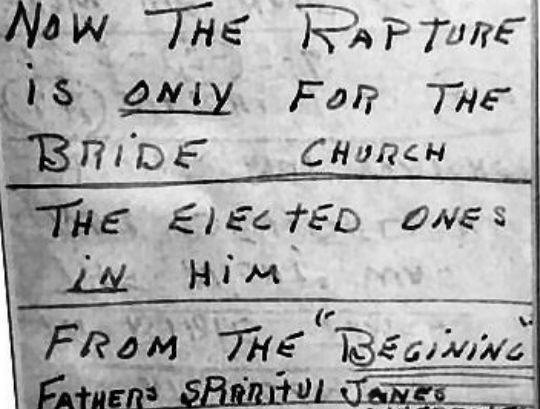 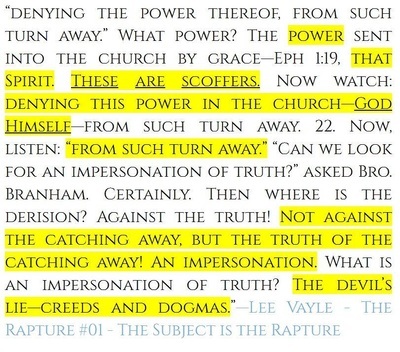 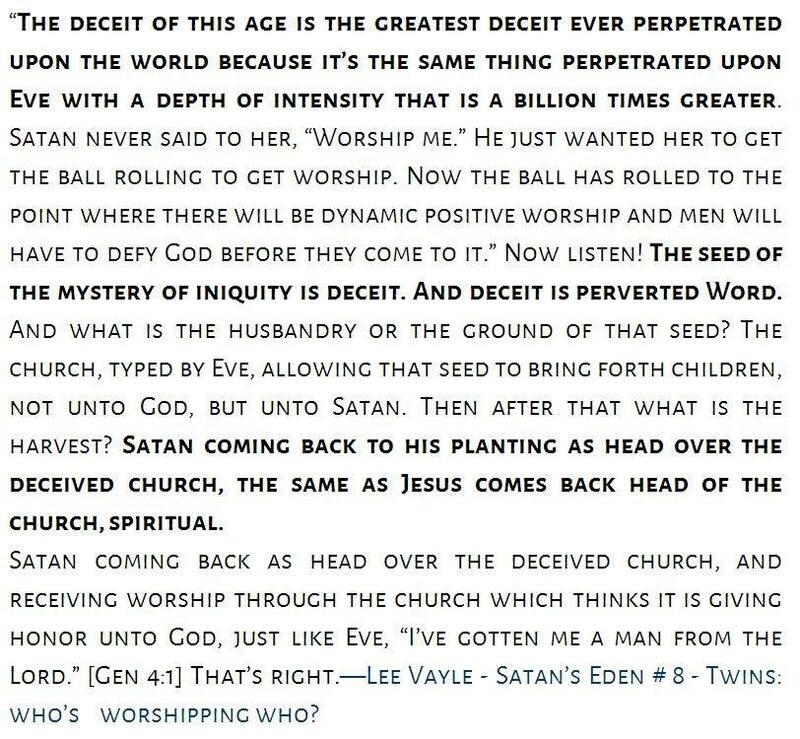 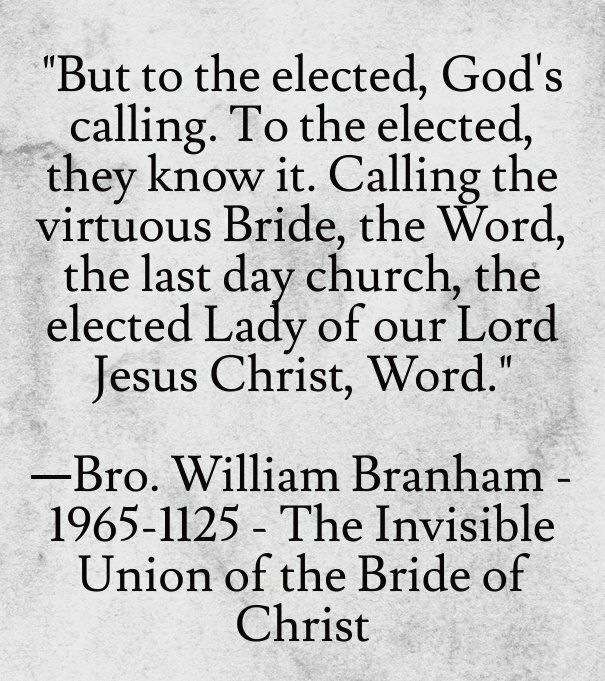 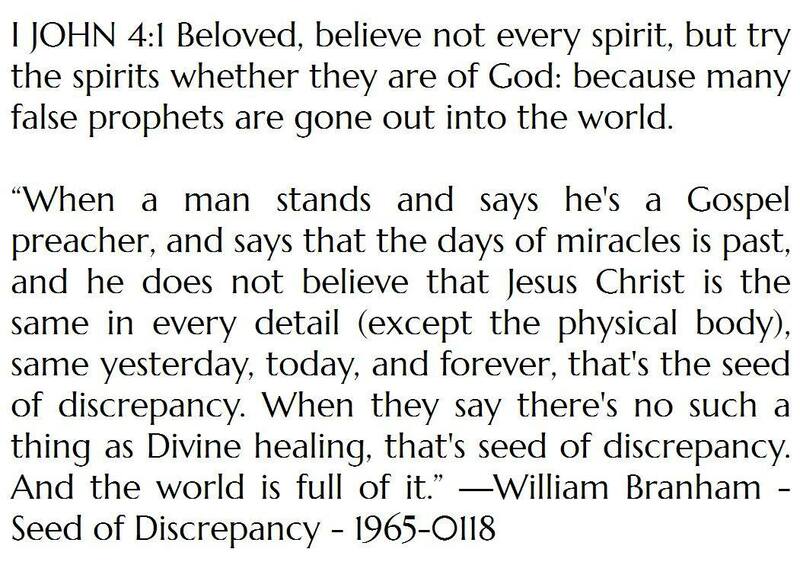 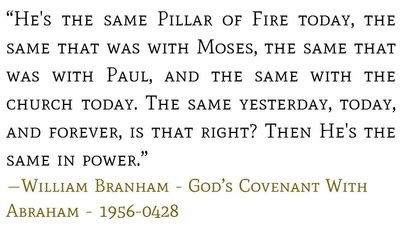 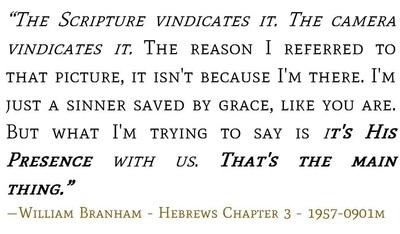 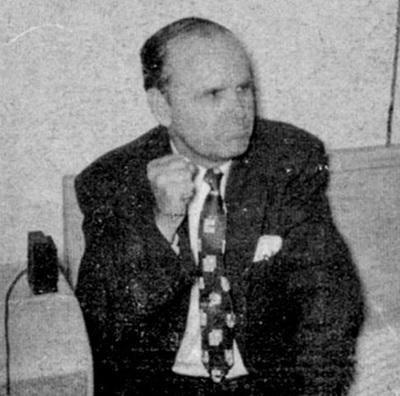 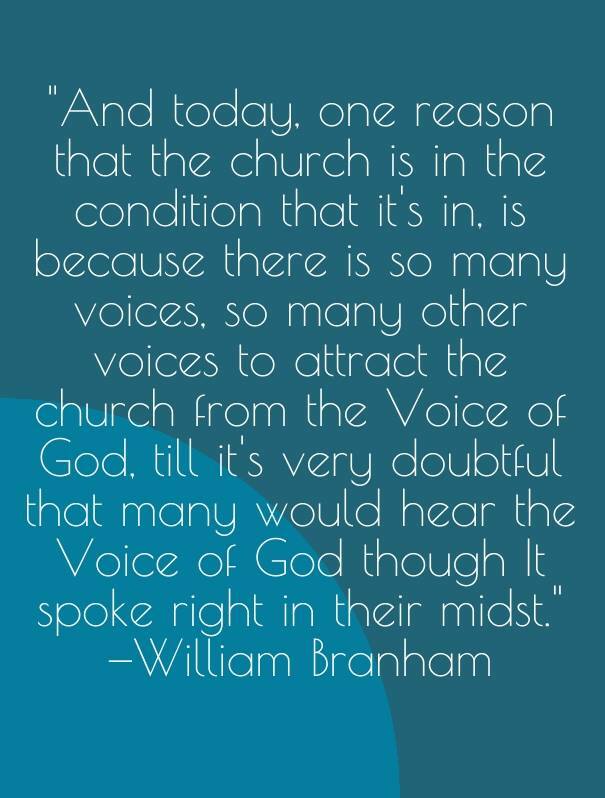 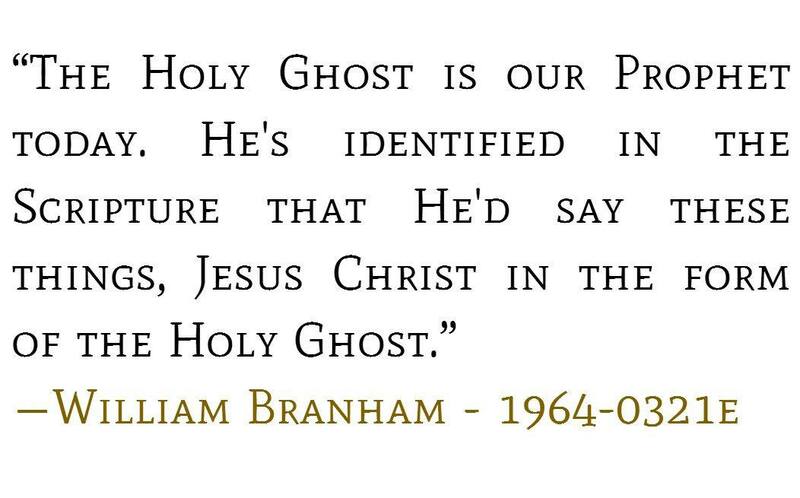 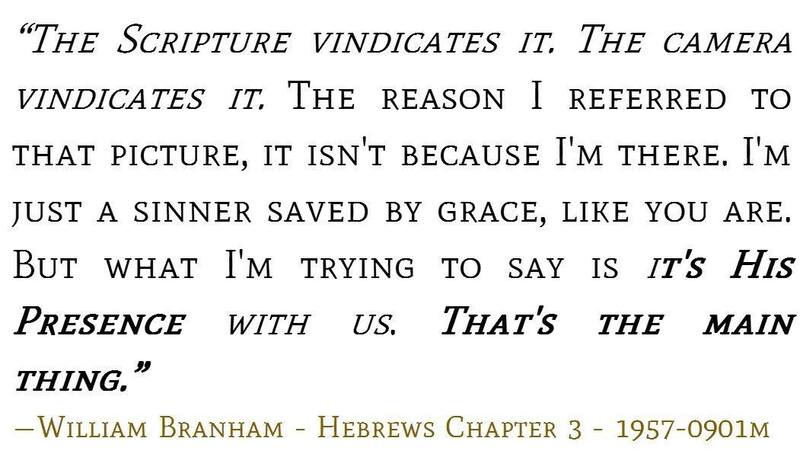 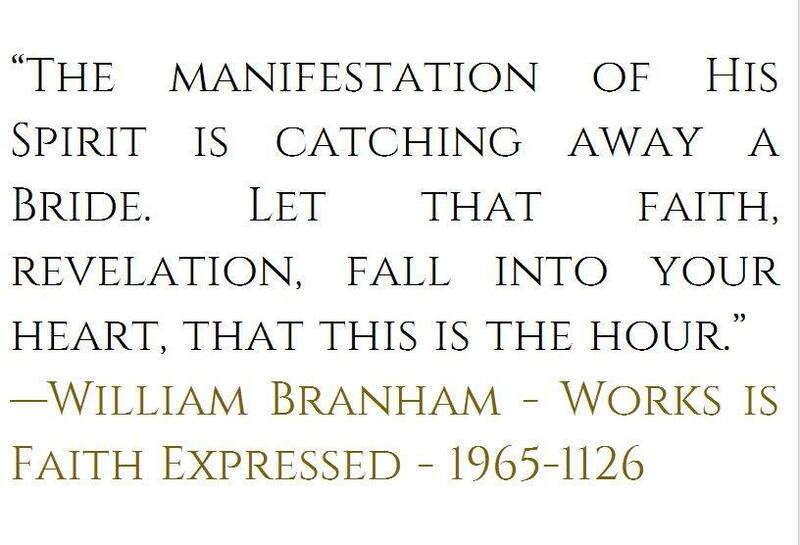 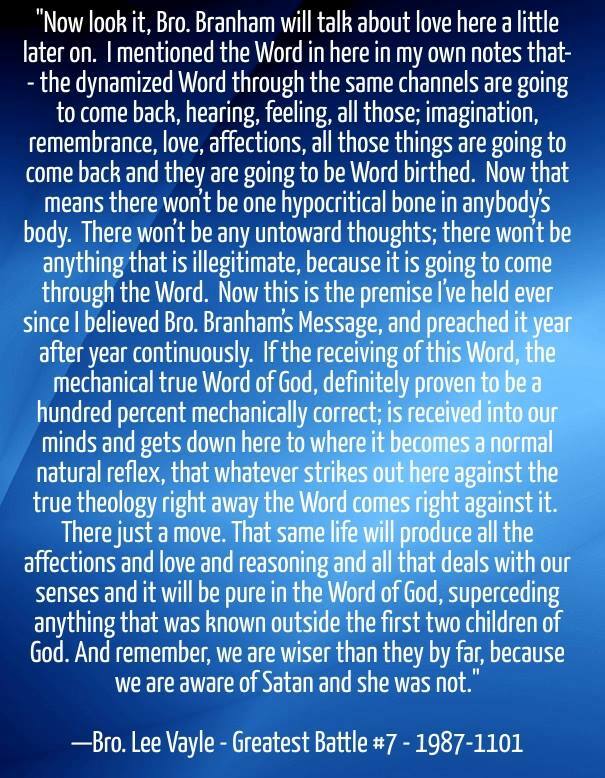 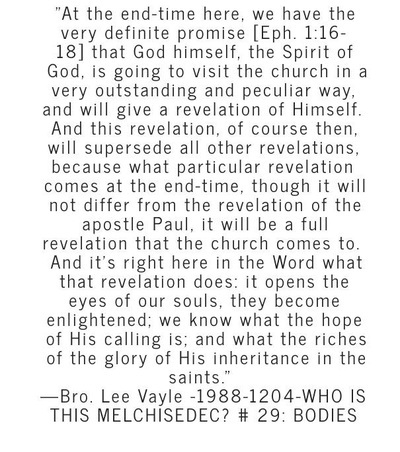 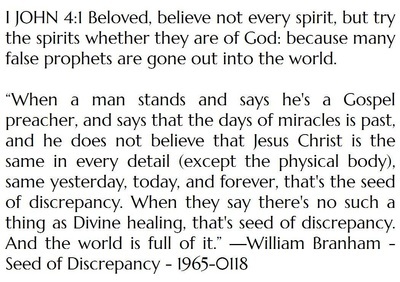 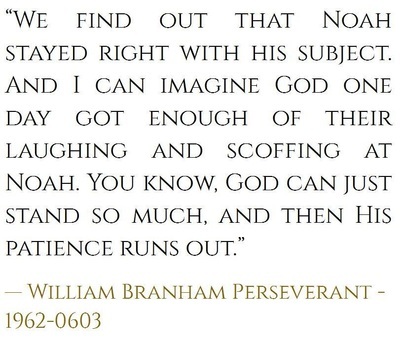 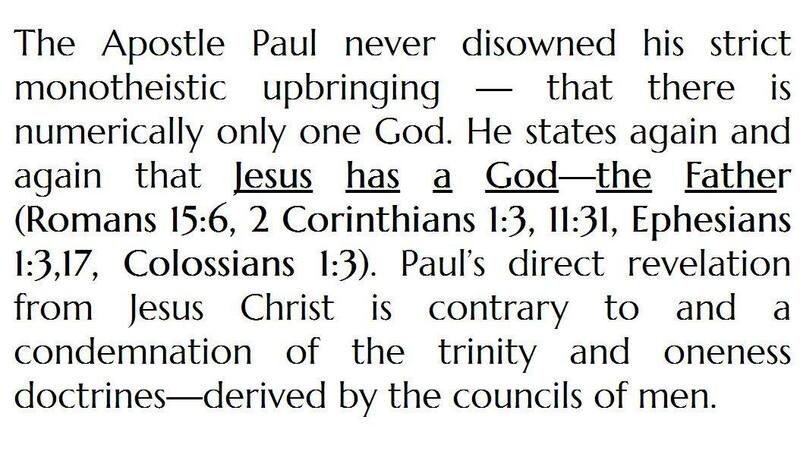 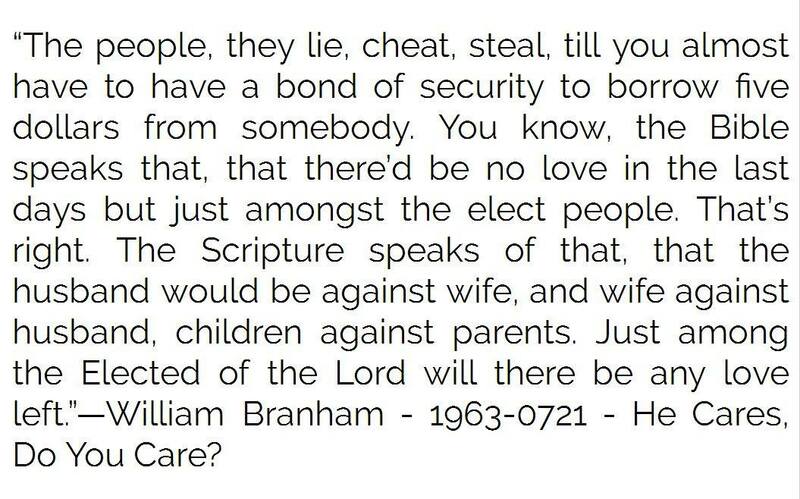 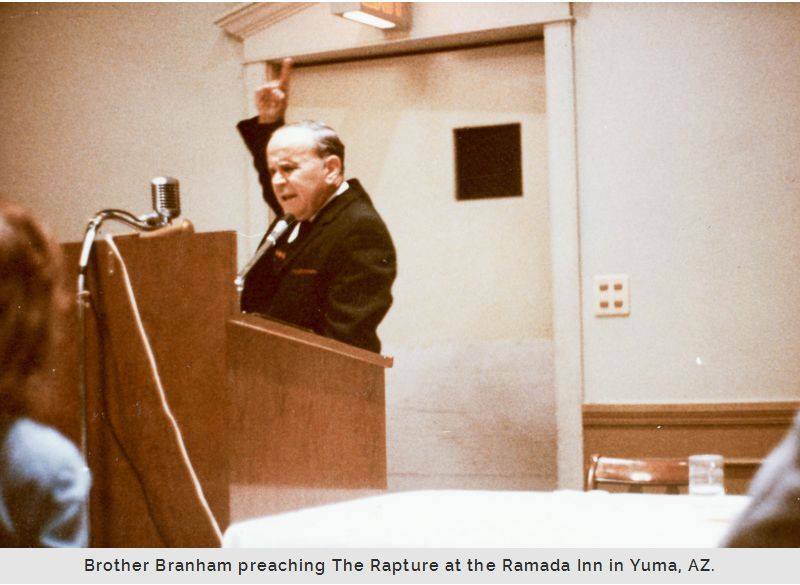 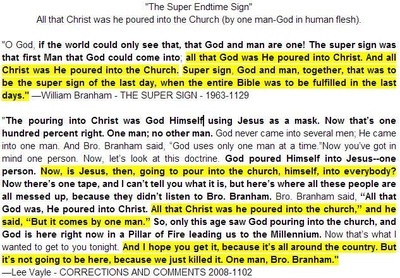 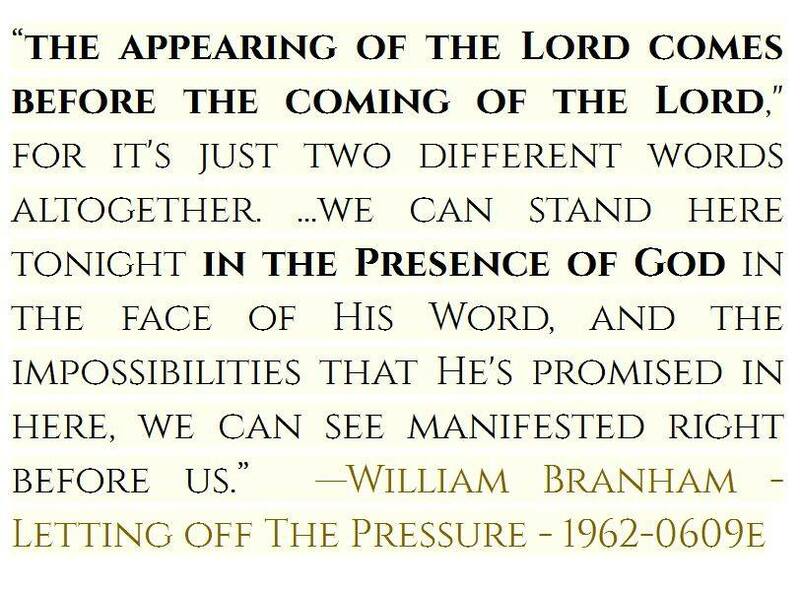 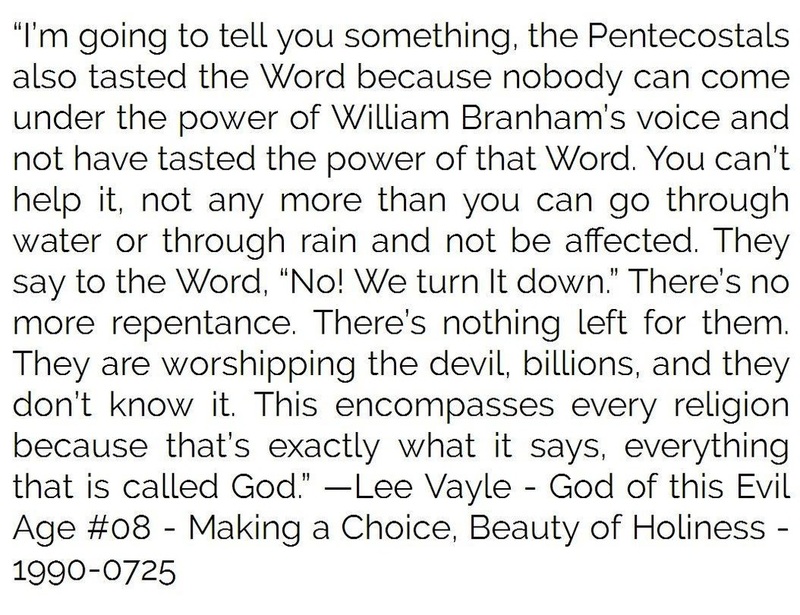 WILLIAM BRANHAM, BRO. 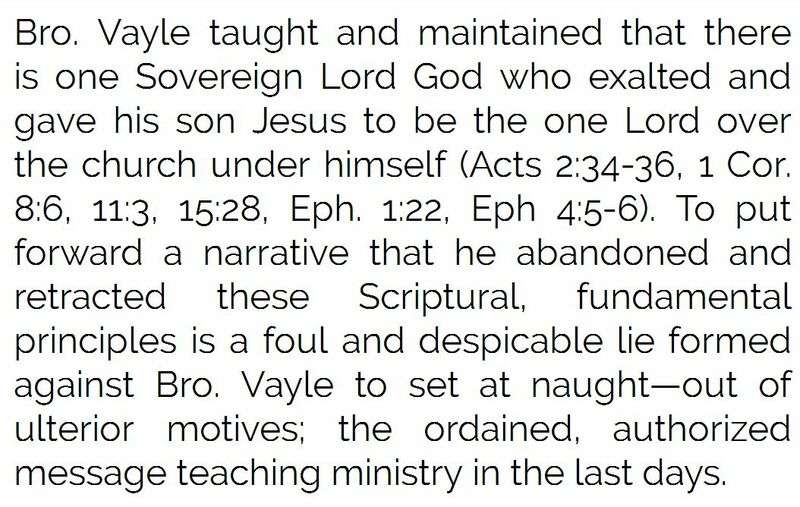 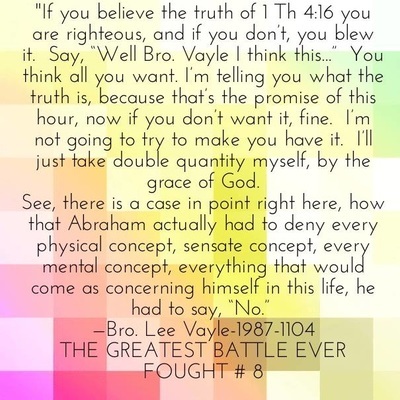 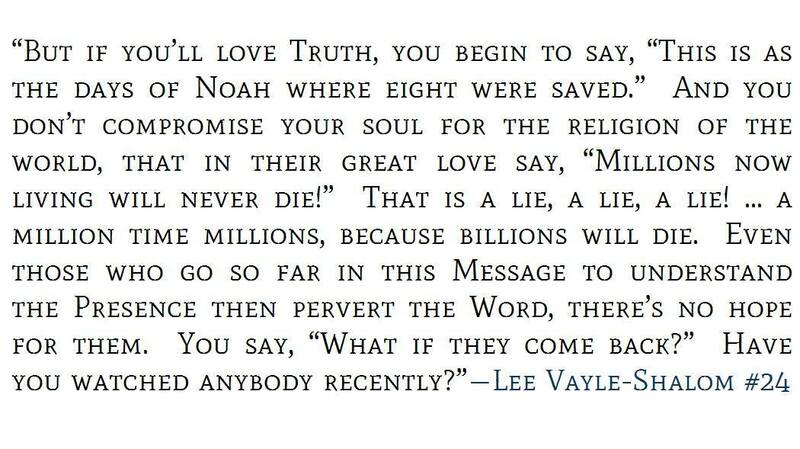 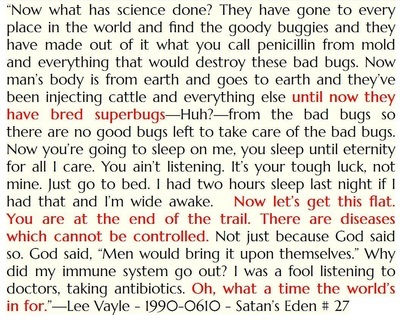 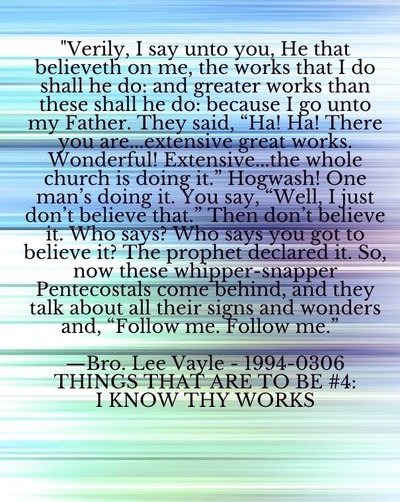 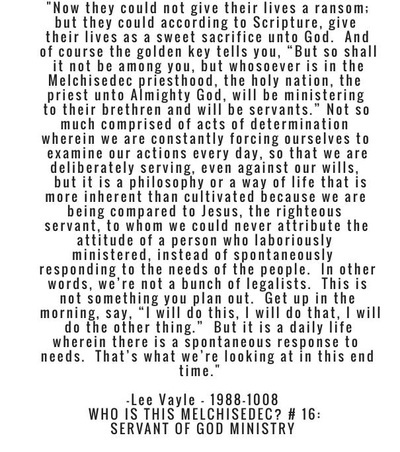 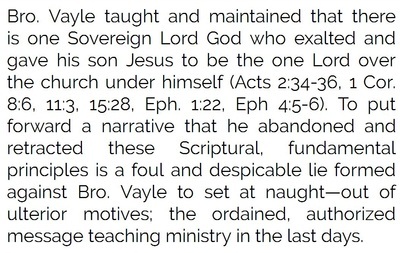 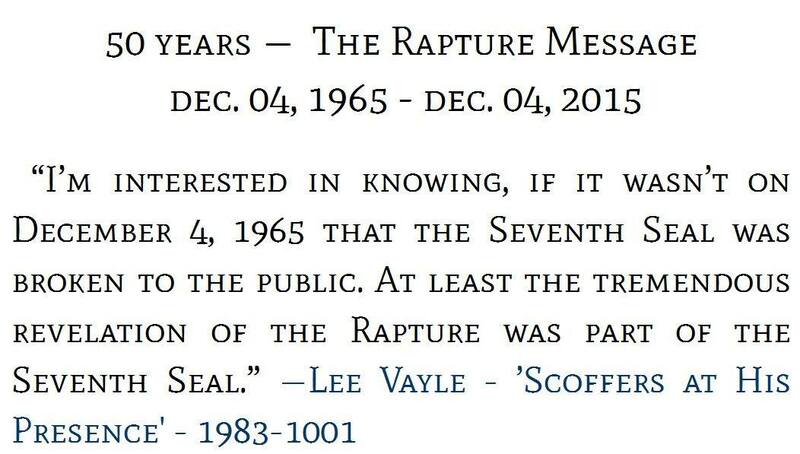 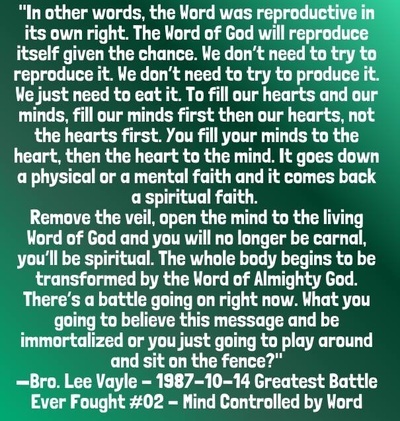 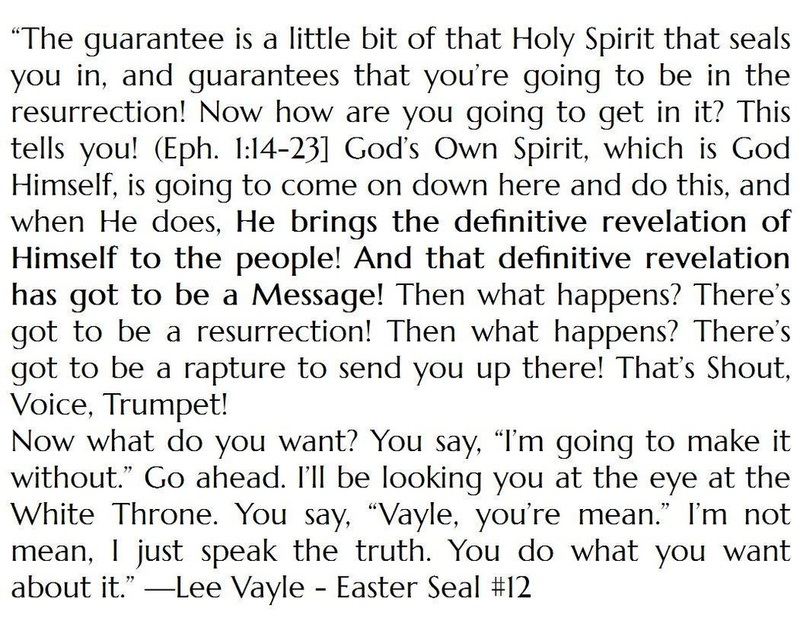 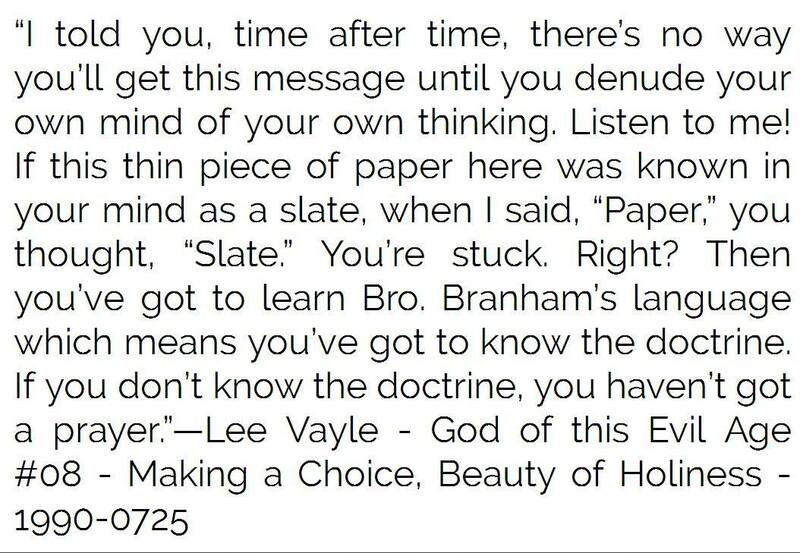 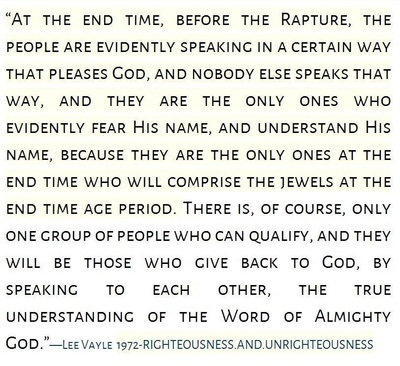 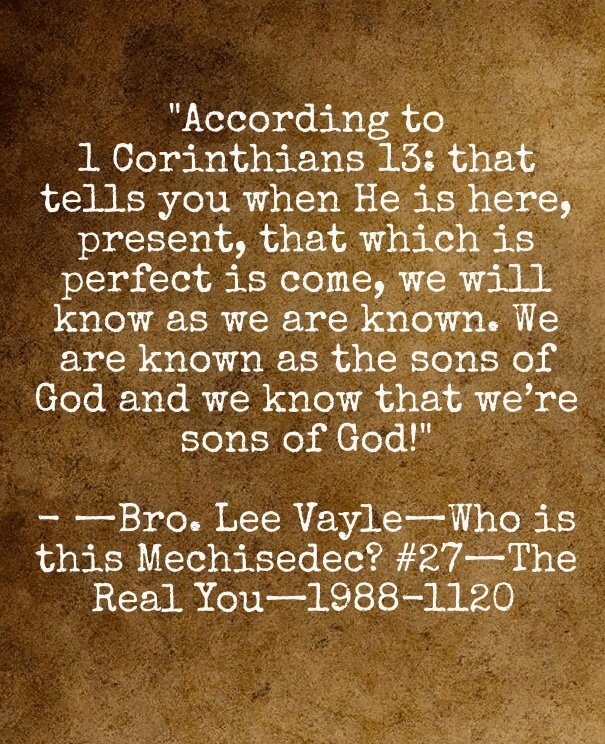 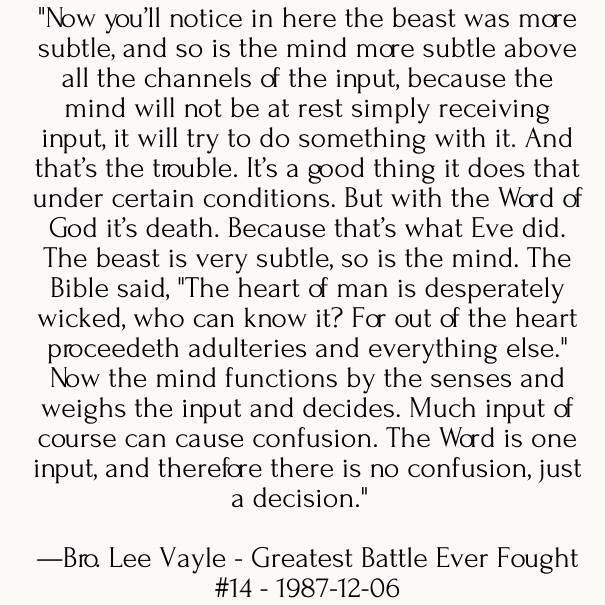 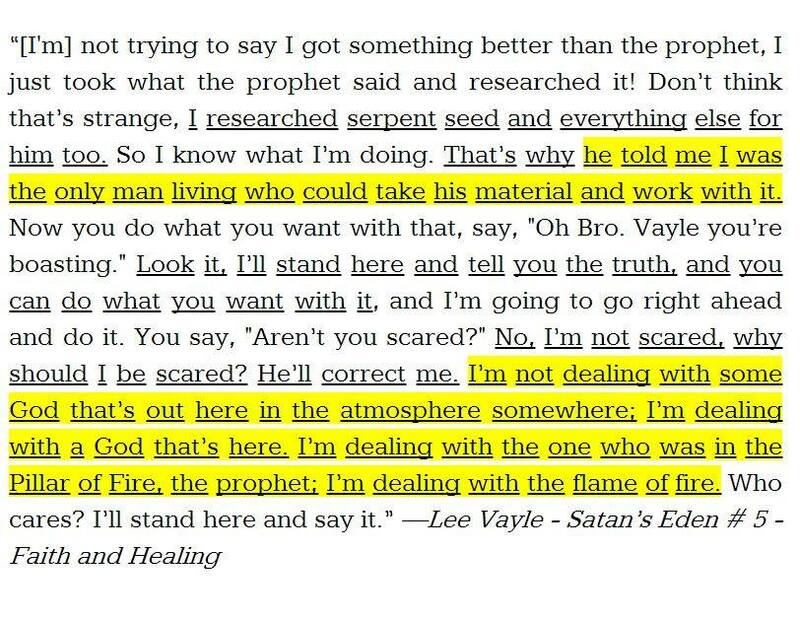 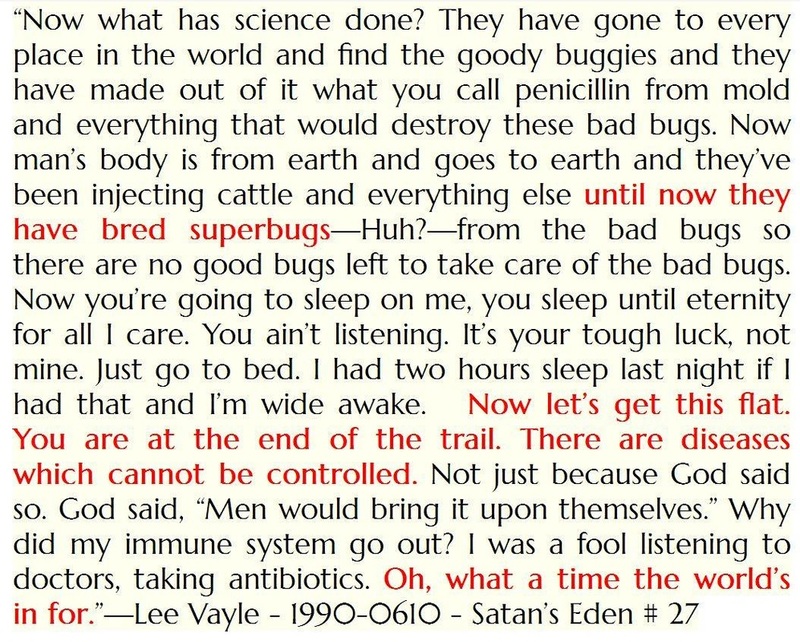 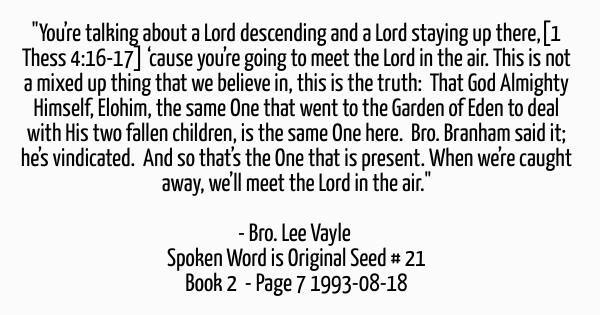 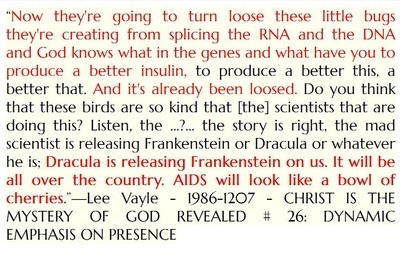 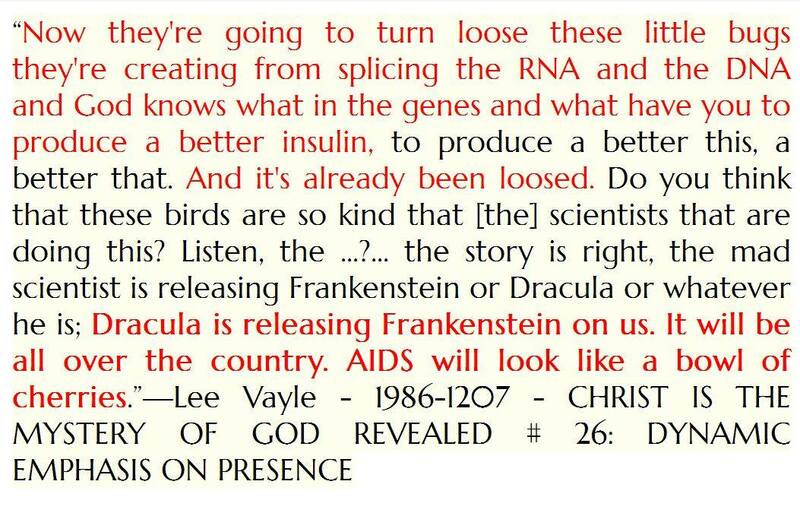 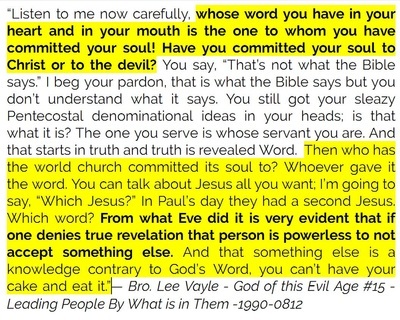 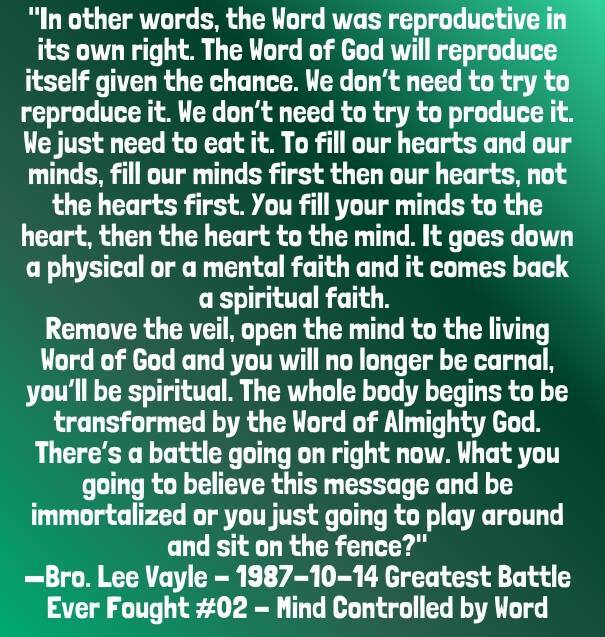 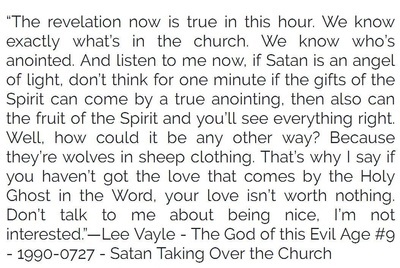 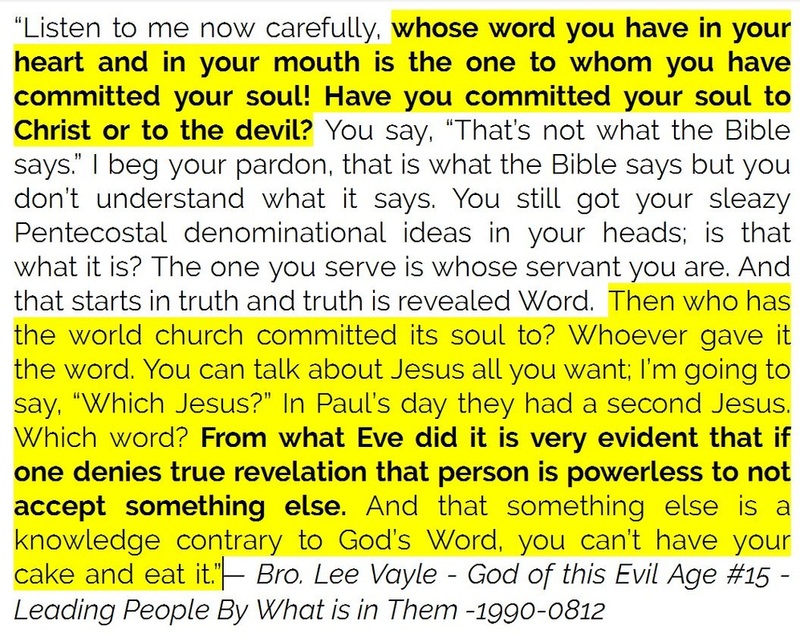 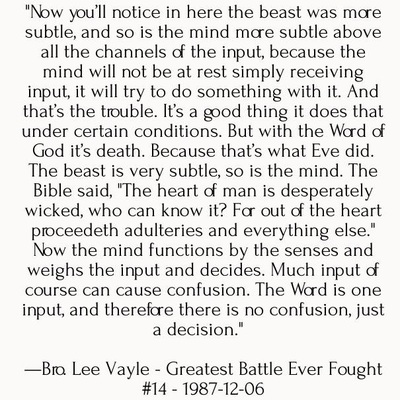 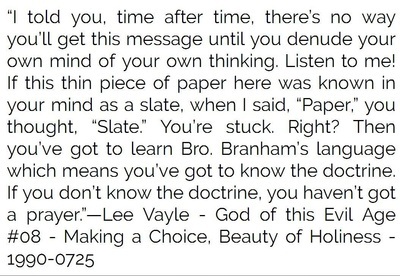 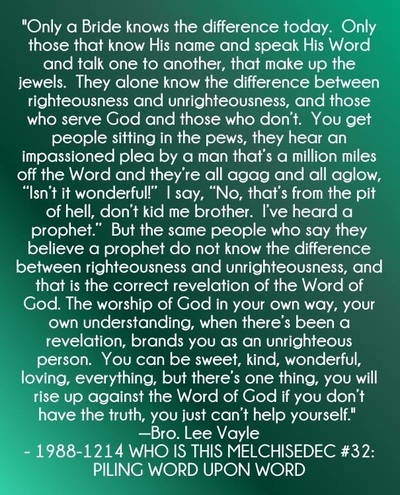 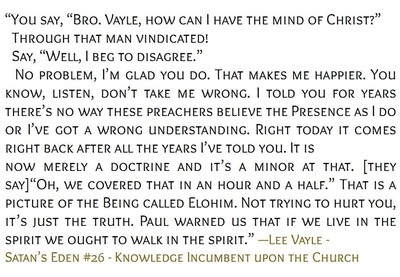 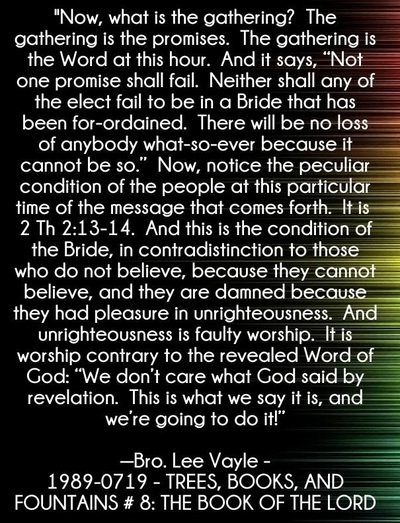 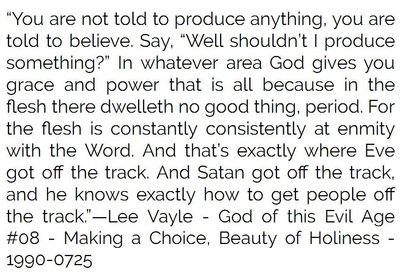 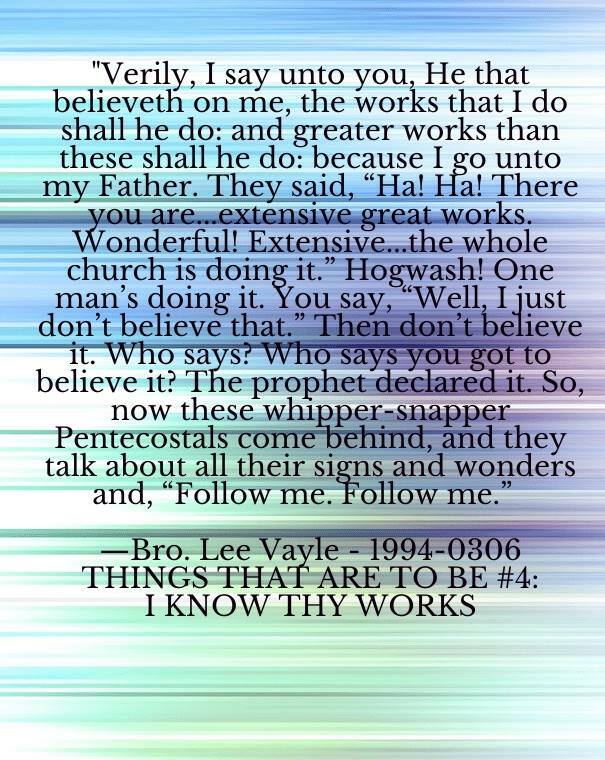 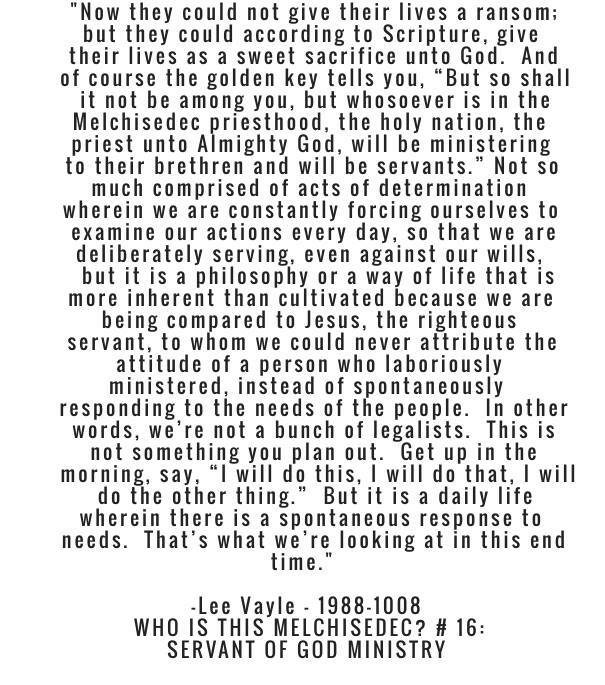 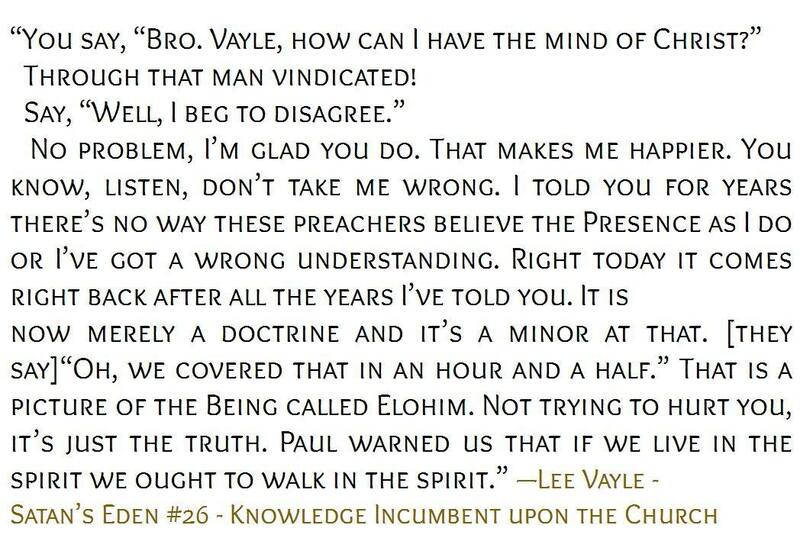 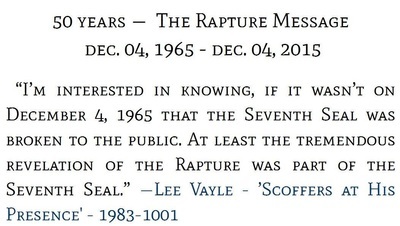 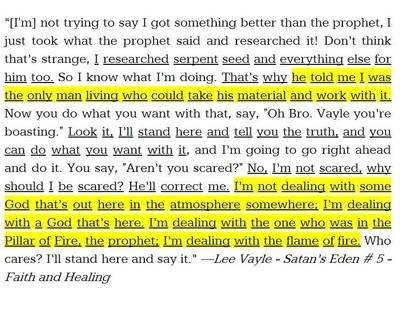 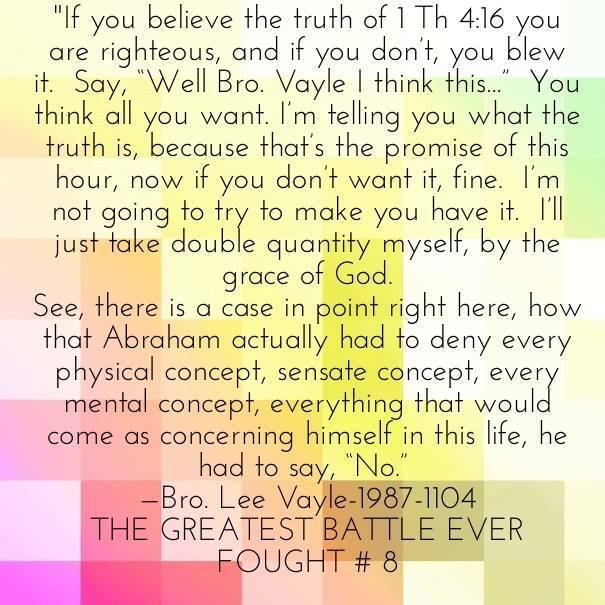 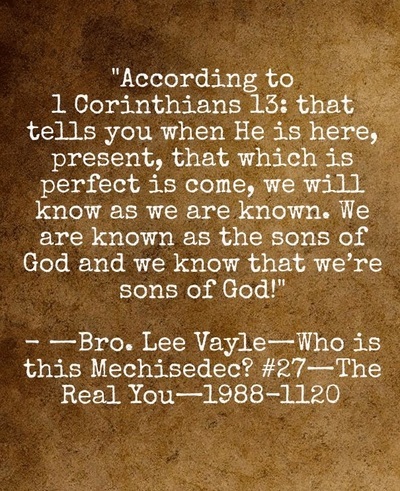 LEE VAYLE, MISC. 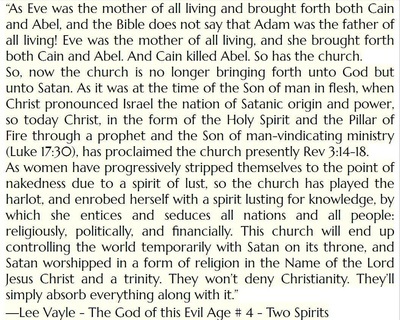 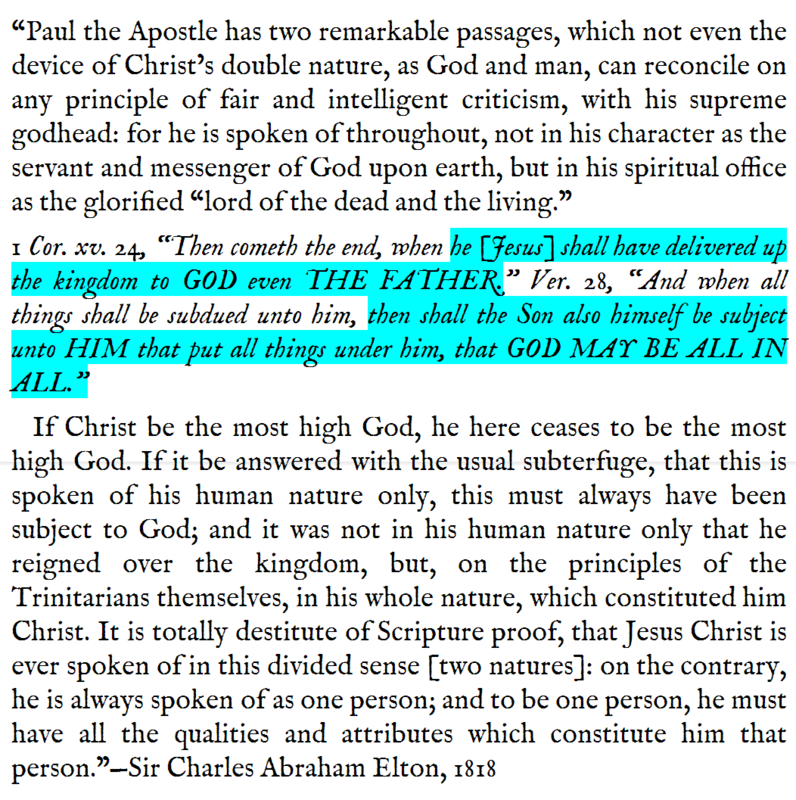 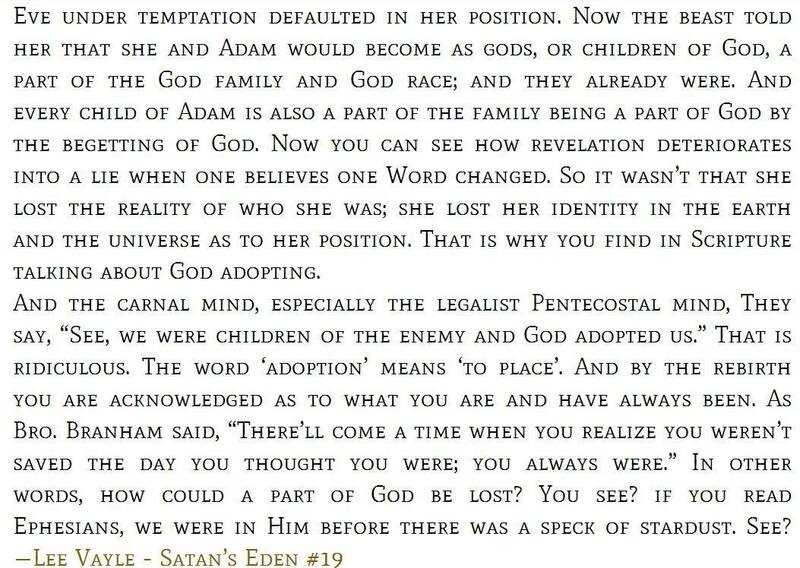 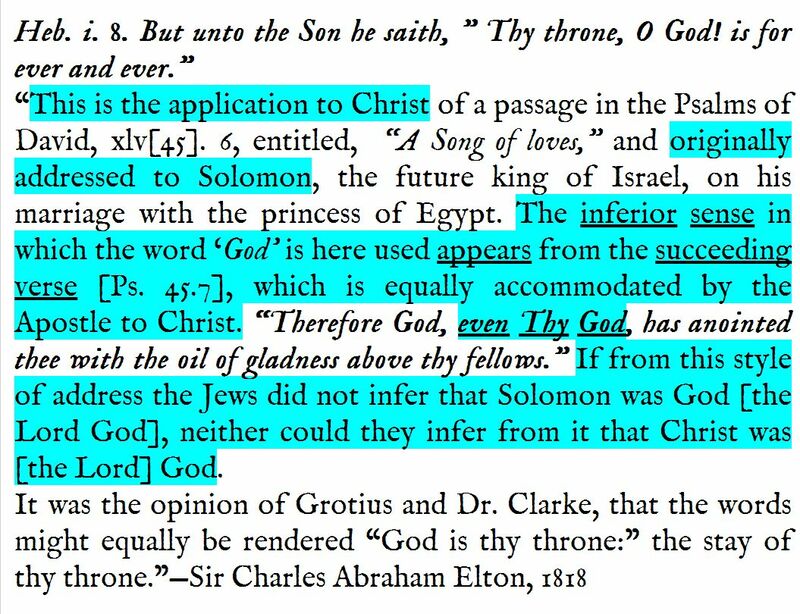 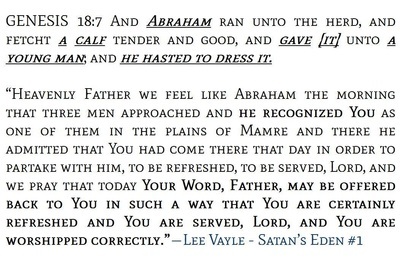 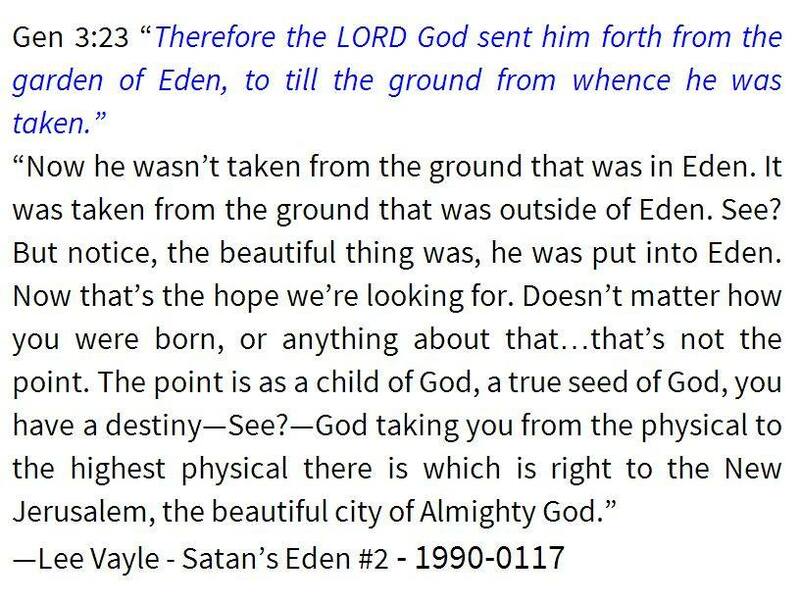 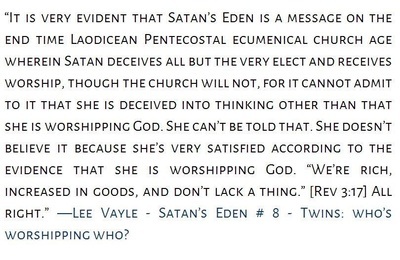 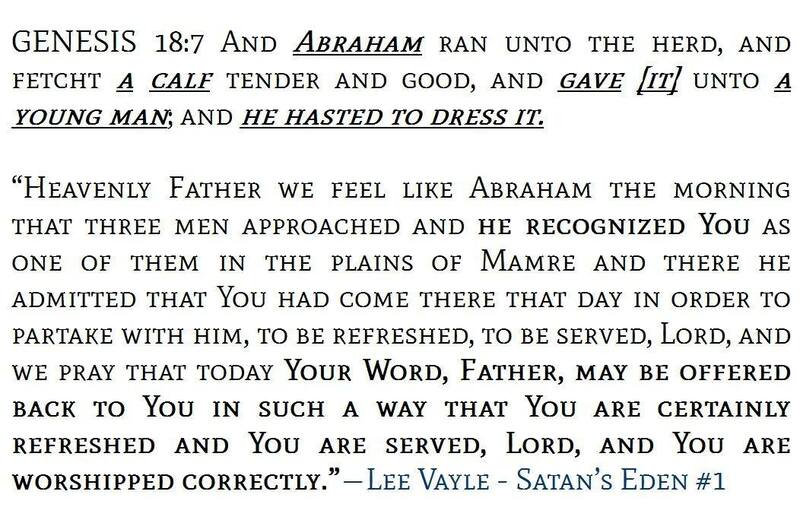 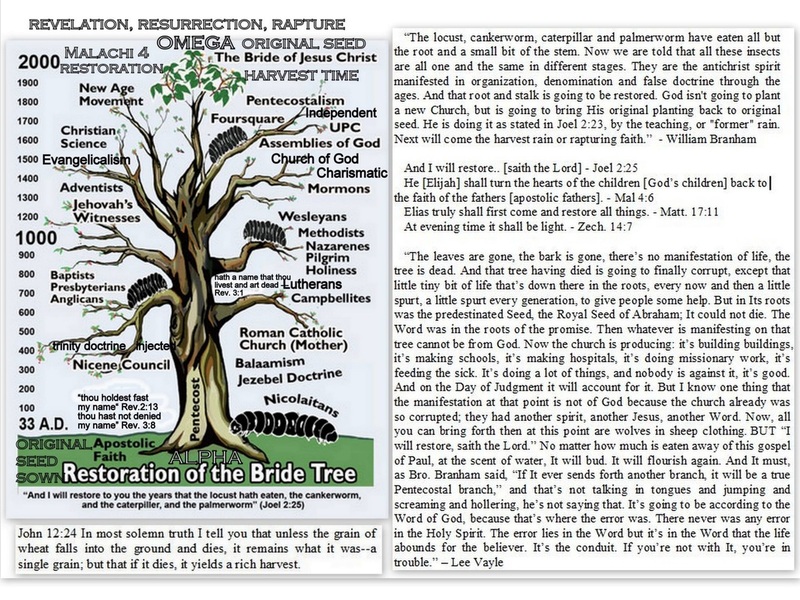 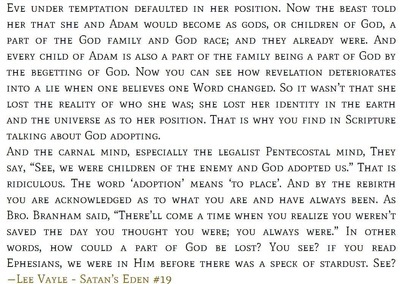 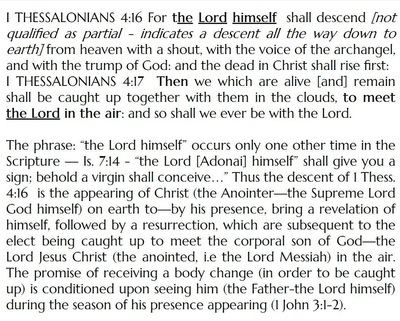 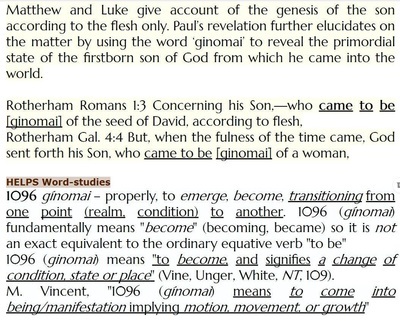 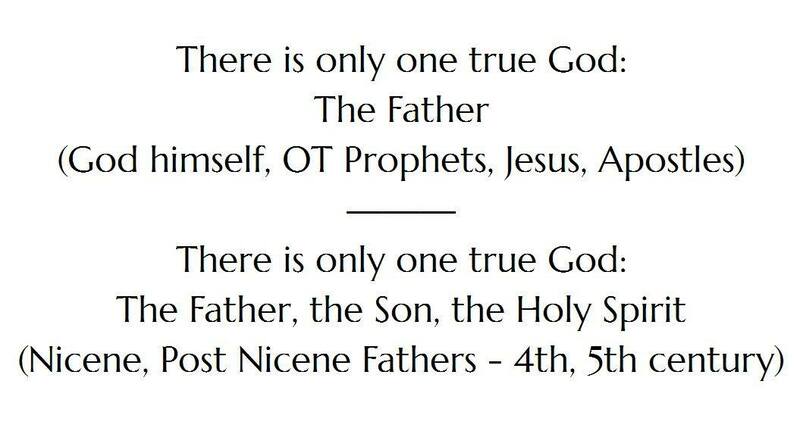 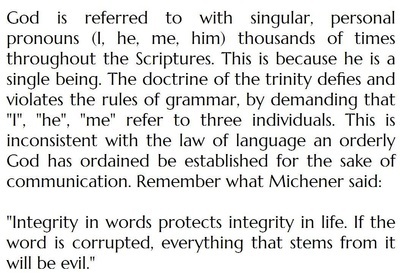 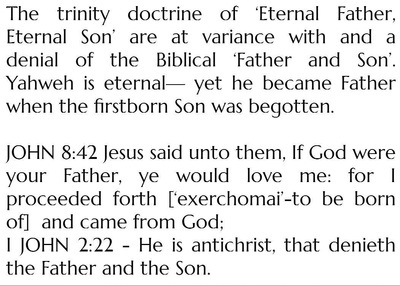 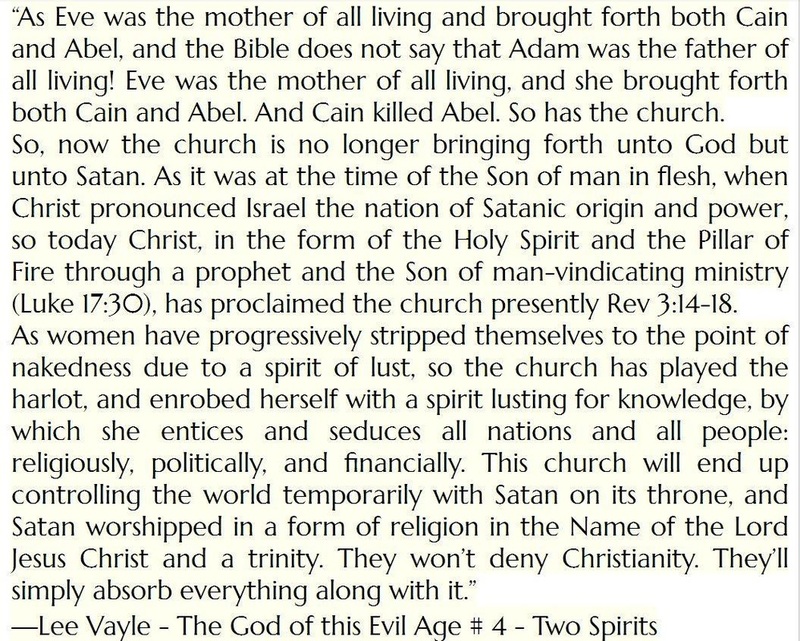 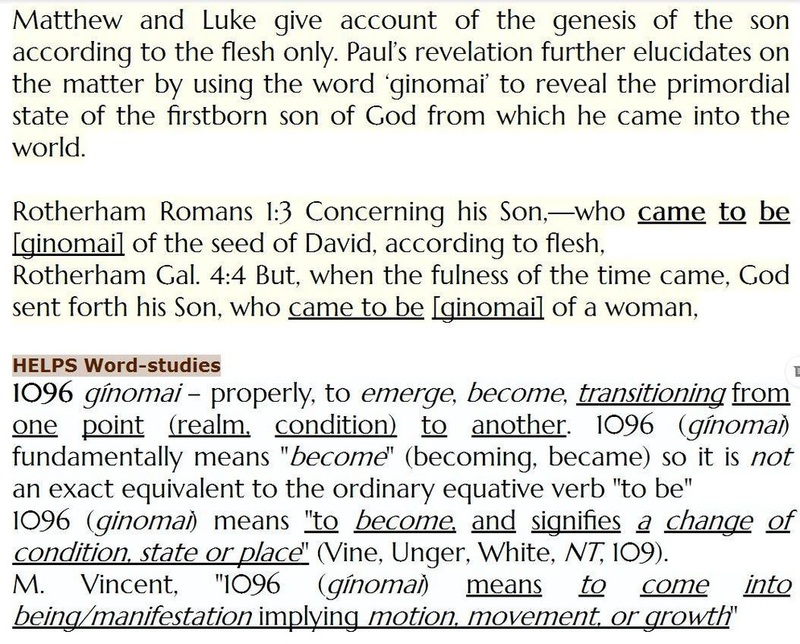 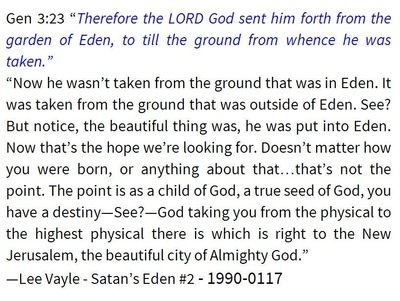 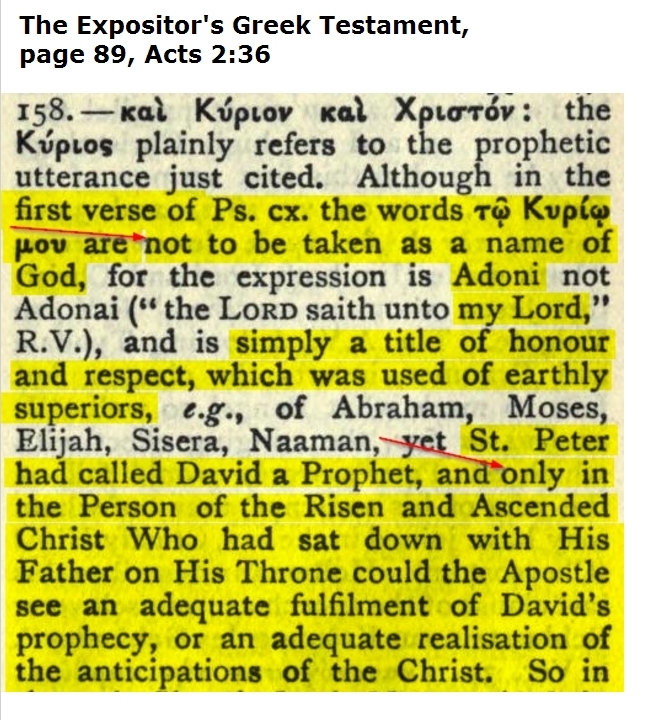 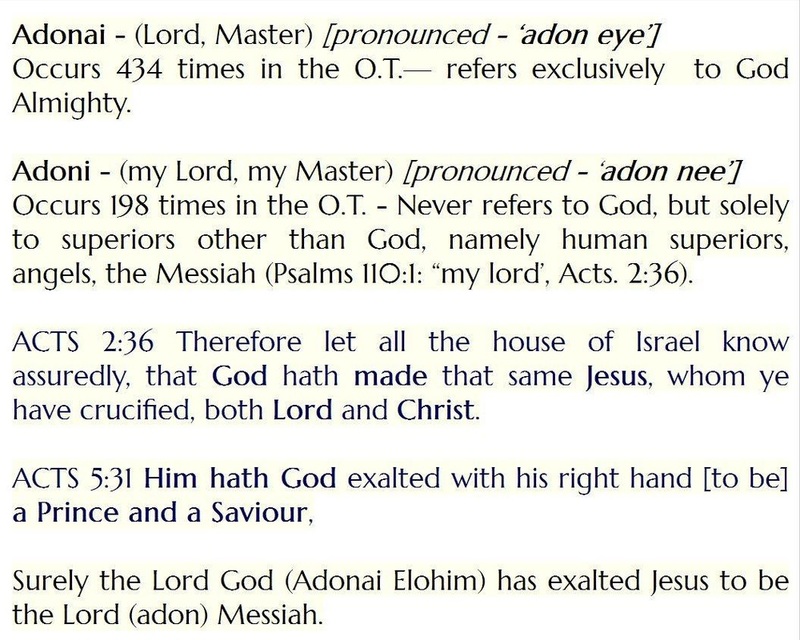 "Adonai and Adoni are variations of pointing to distinguish divine reference from human"
The 'my lord' (adoni) of Ps. 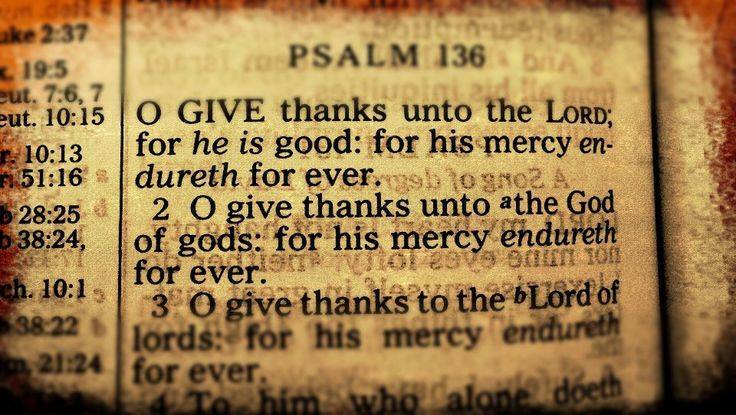 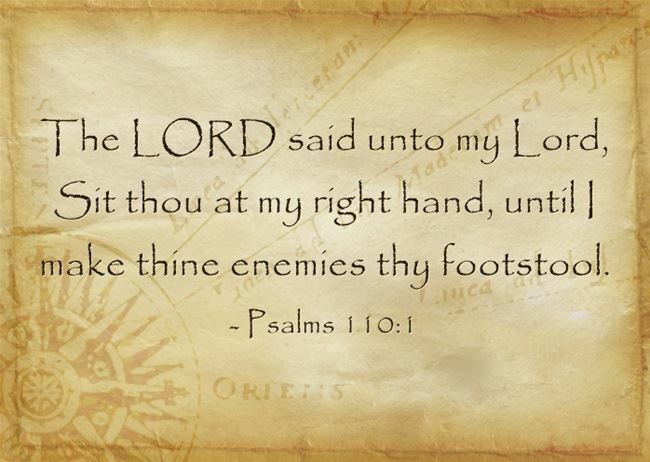 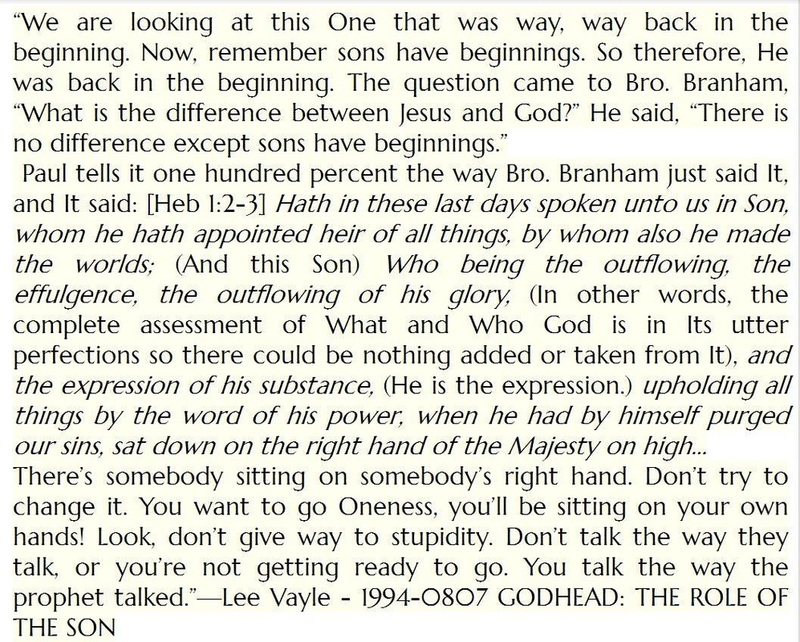 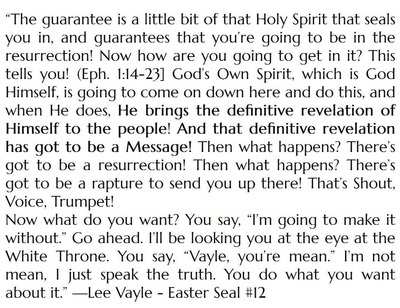 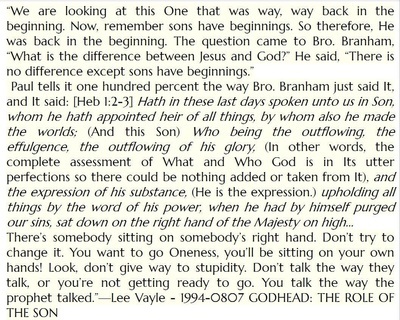 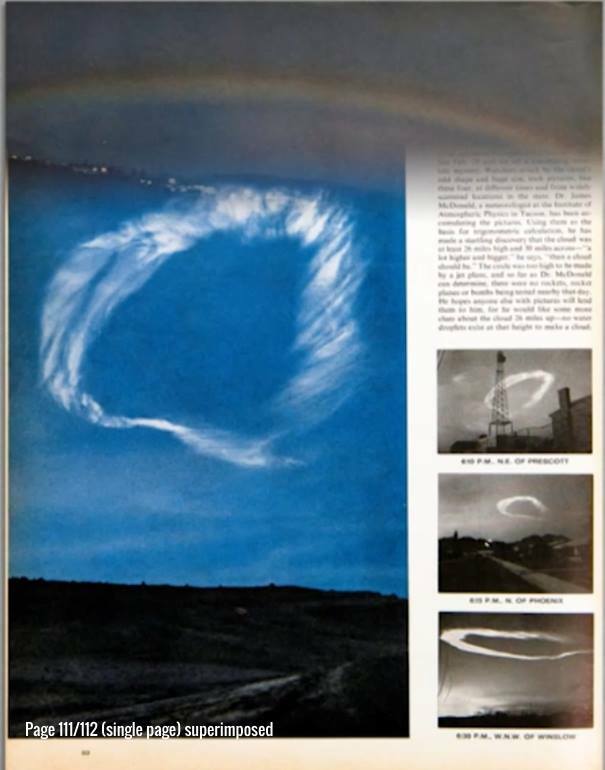 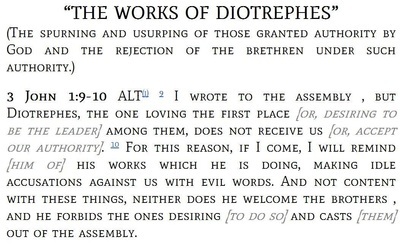 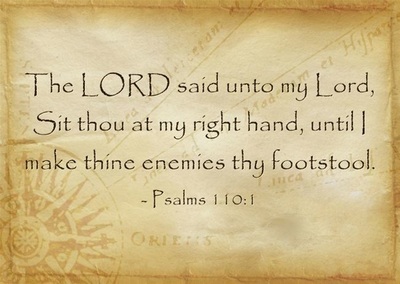 110:1 is the 'one lord' of Eph. 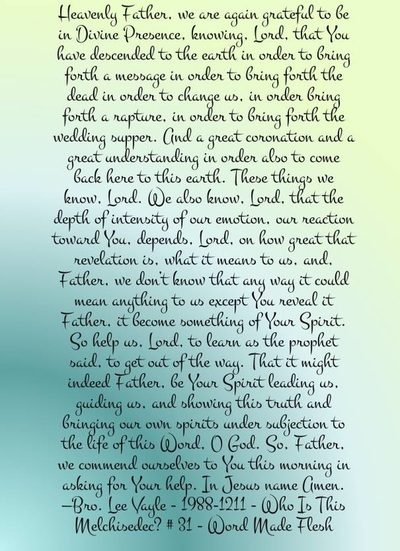 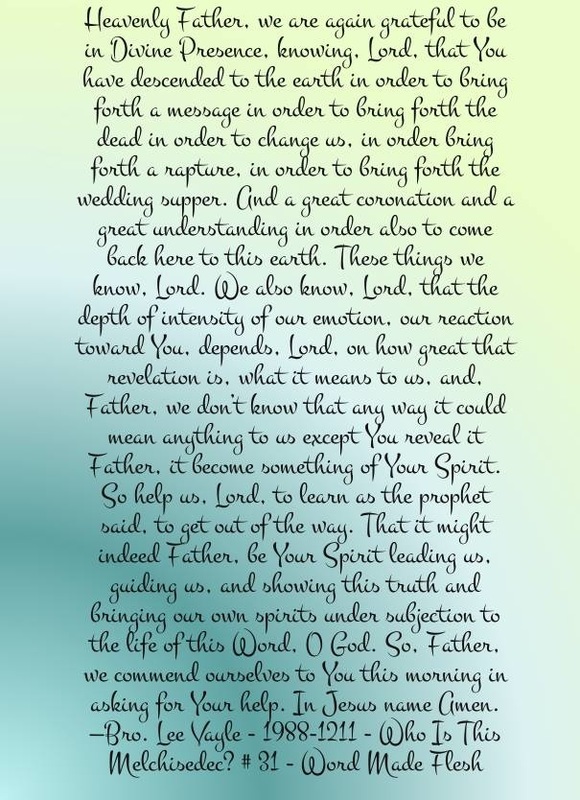 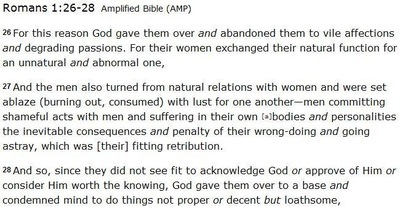 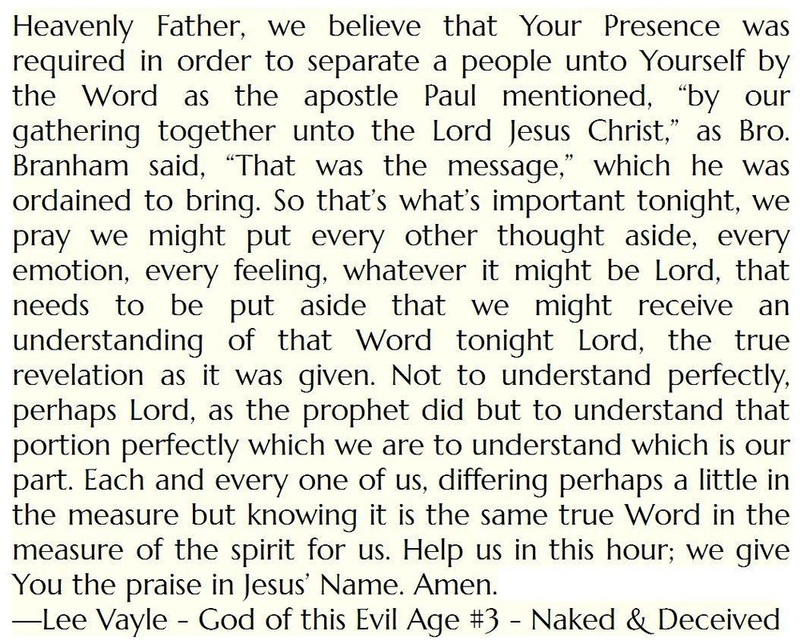 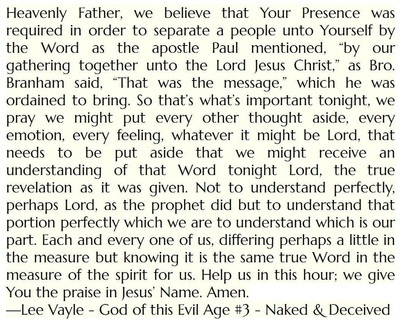 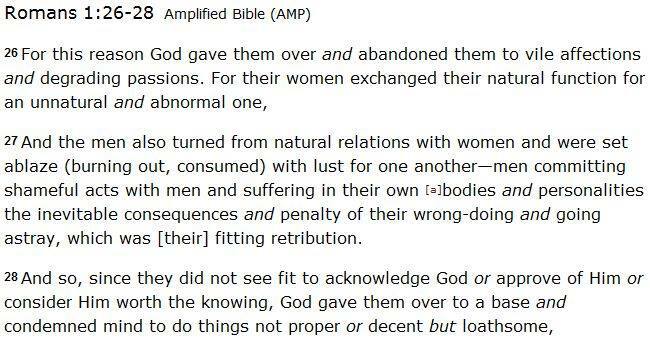 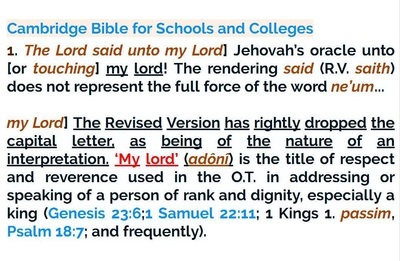 4:5 - non-deity title of respect. 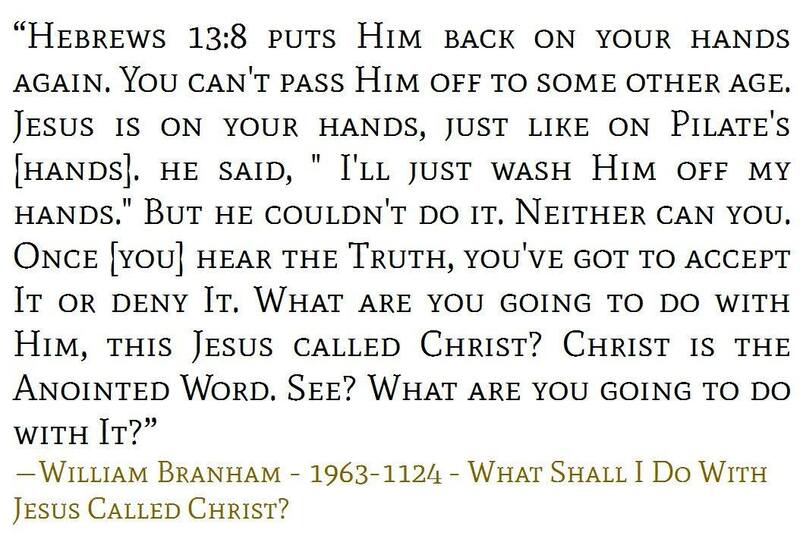 What the hand does, the whole body does. 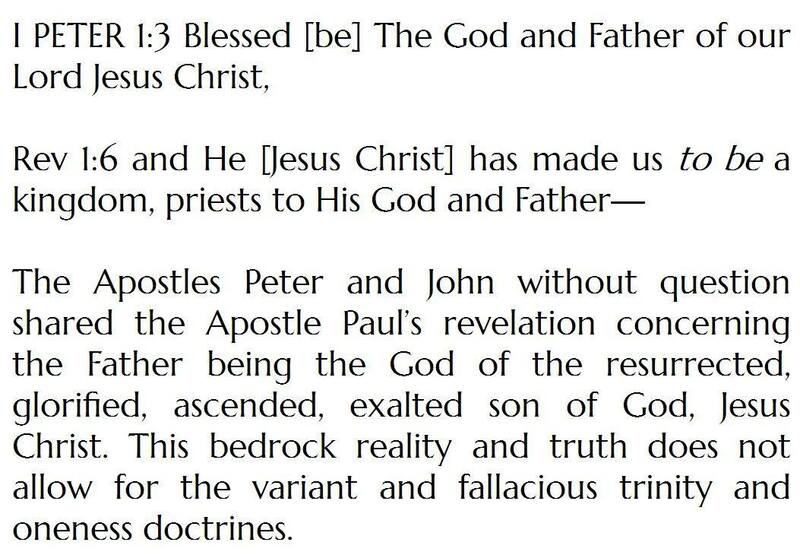 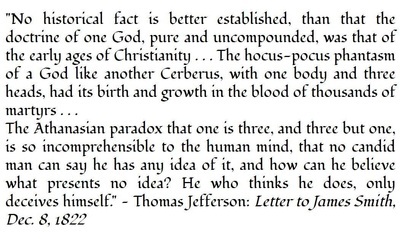 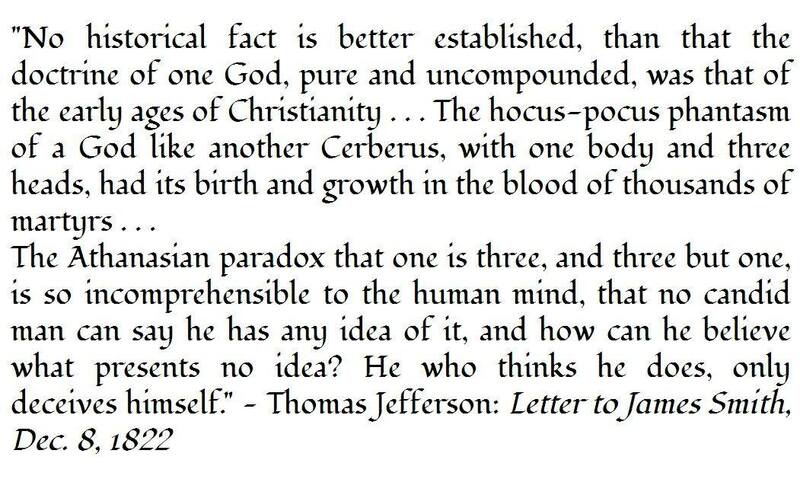 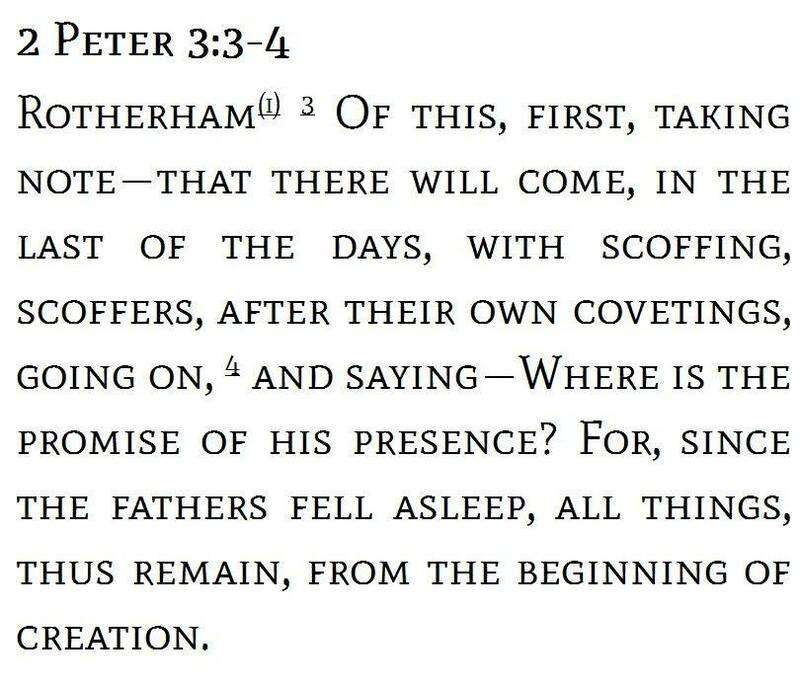 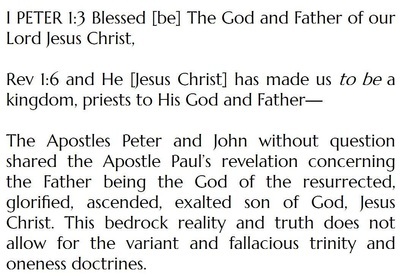 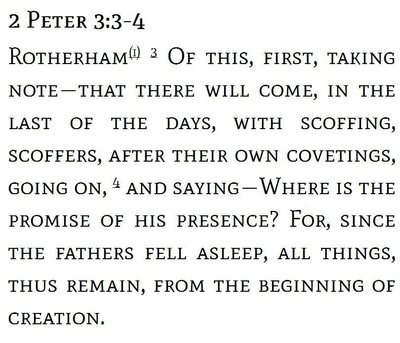 Peter's citation of Ps. 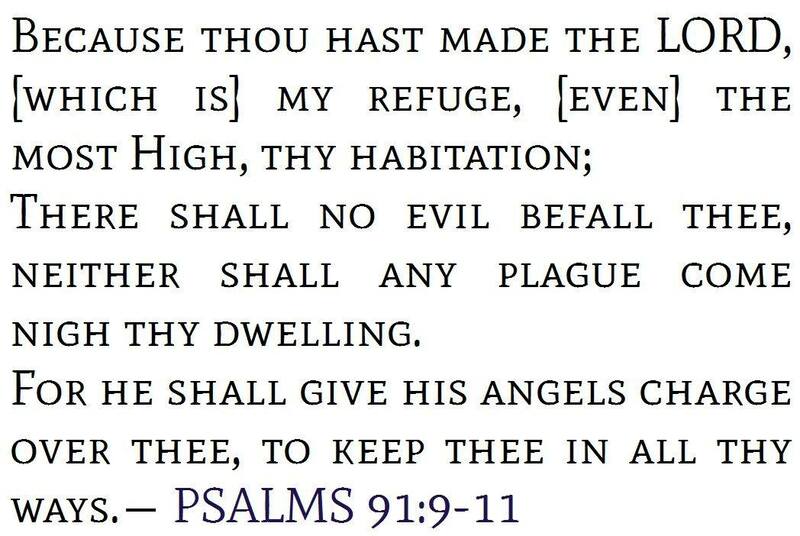 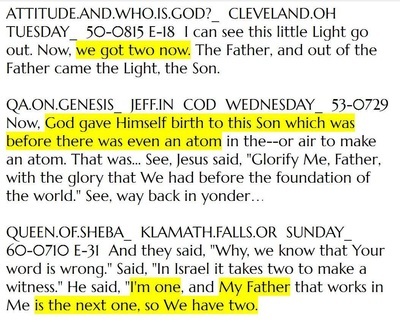 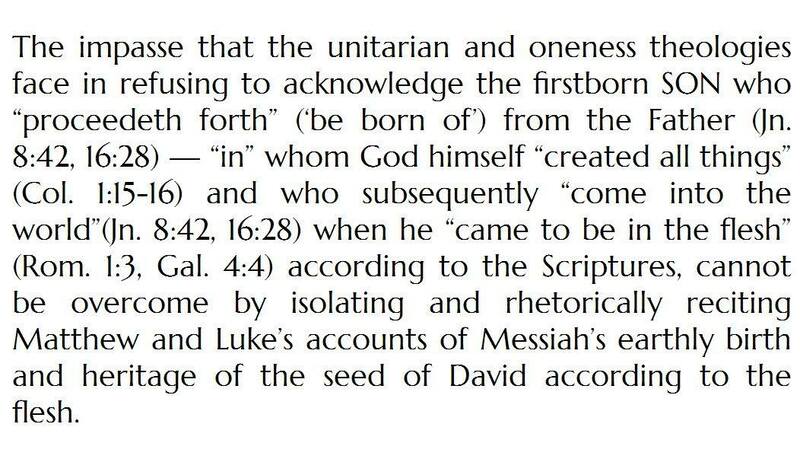 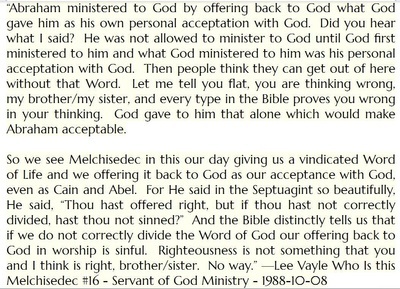 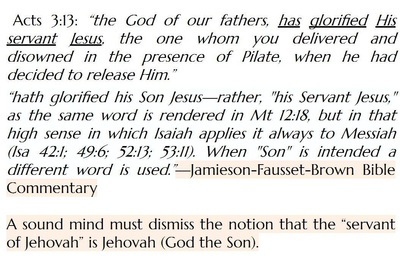 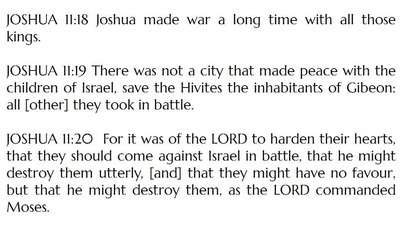 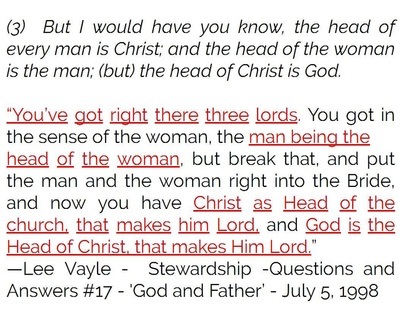 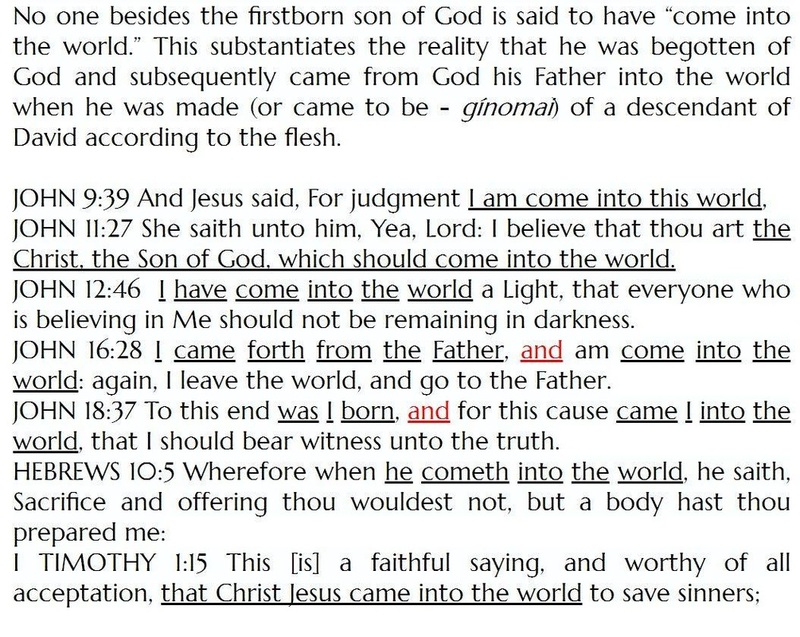 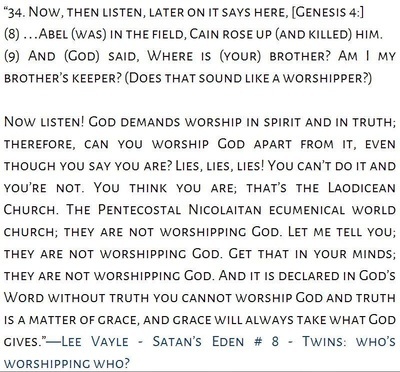 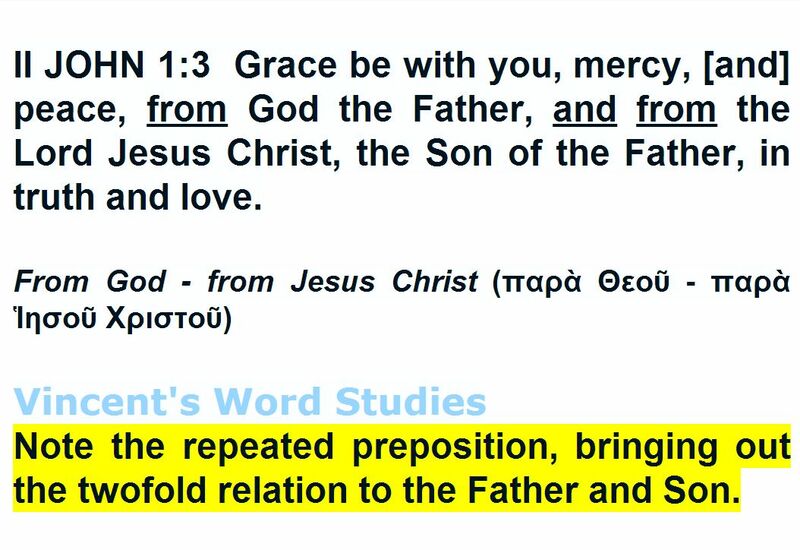 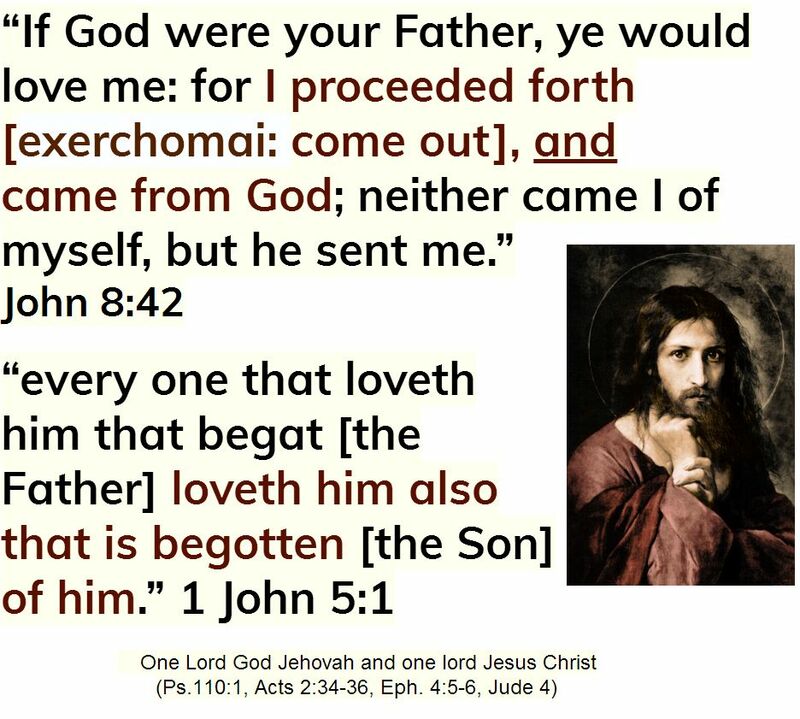 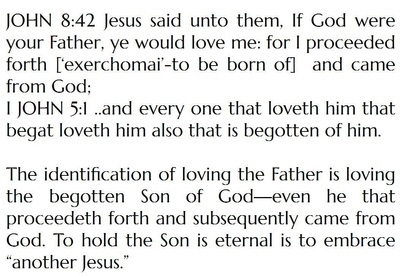 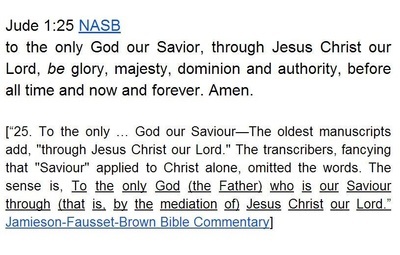 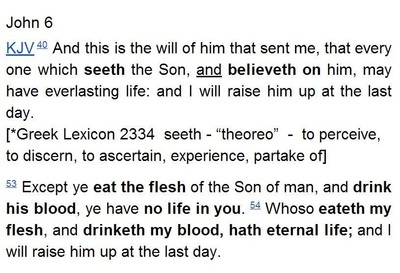 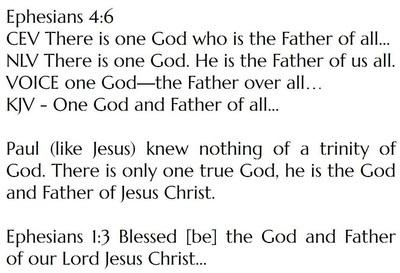 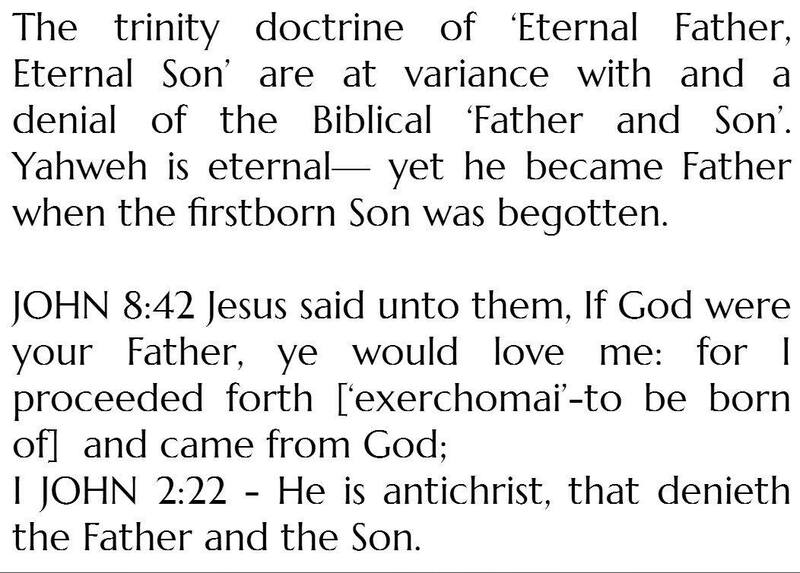 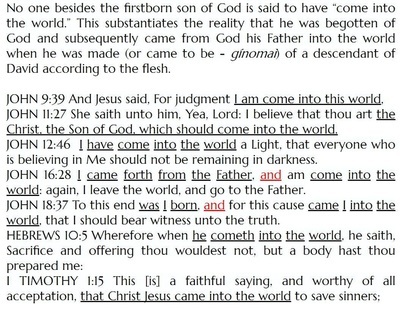 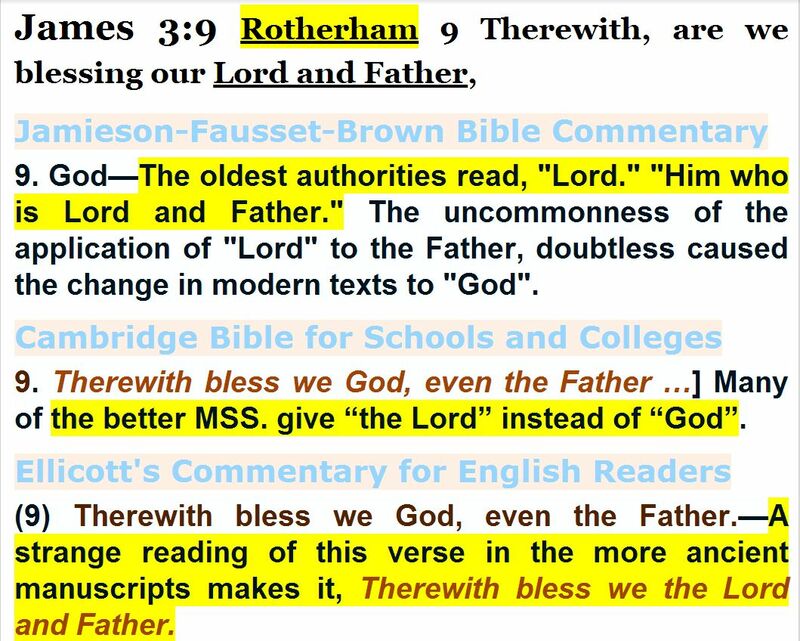 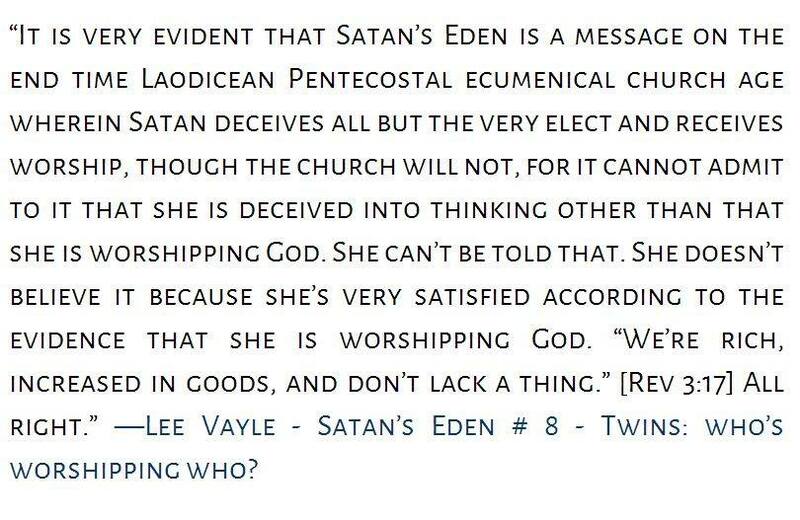 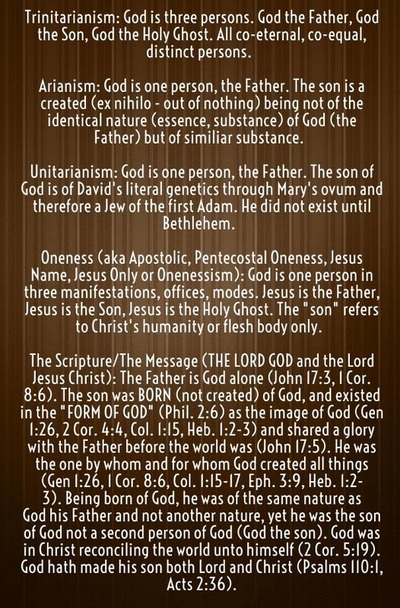 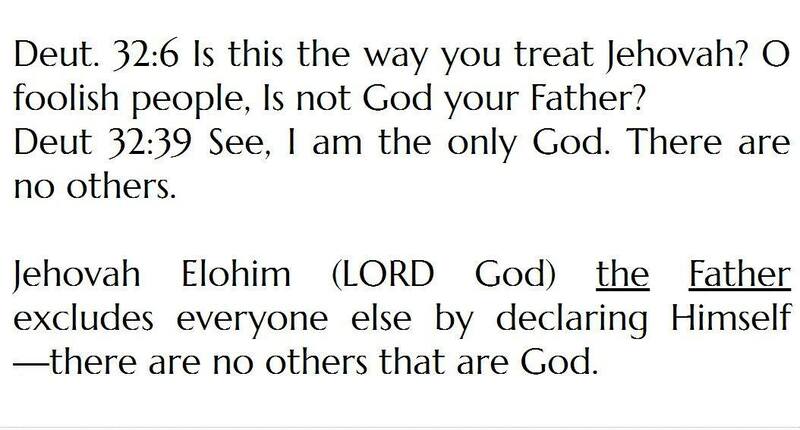 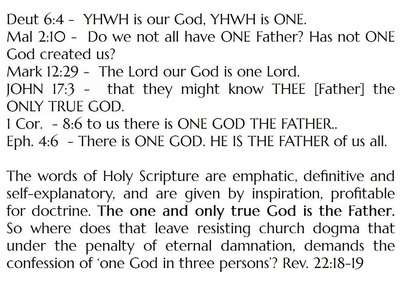 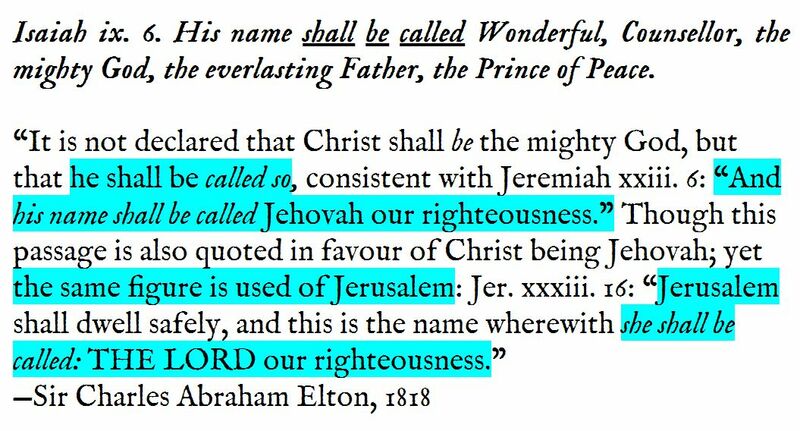 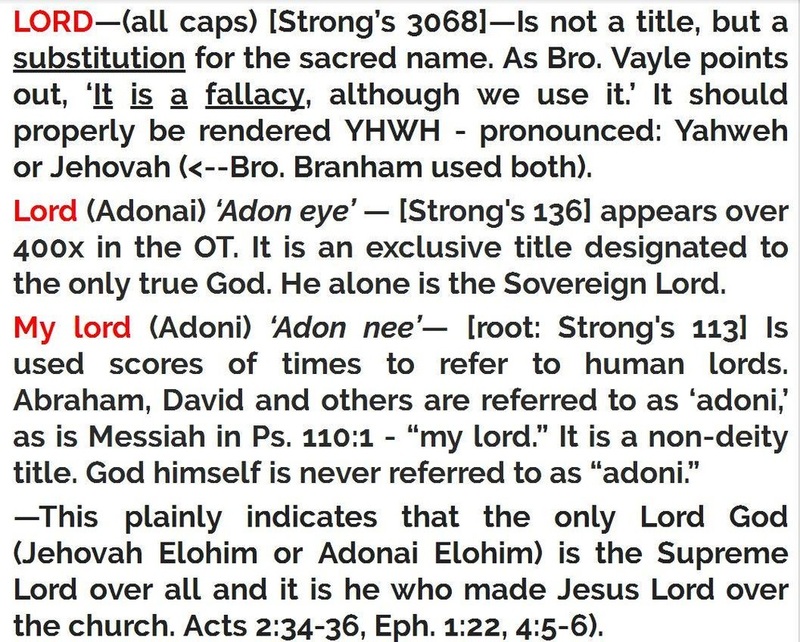 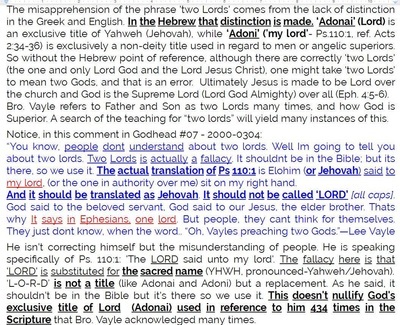 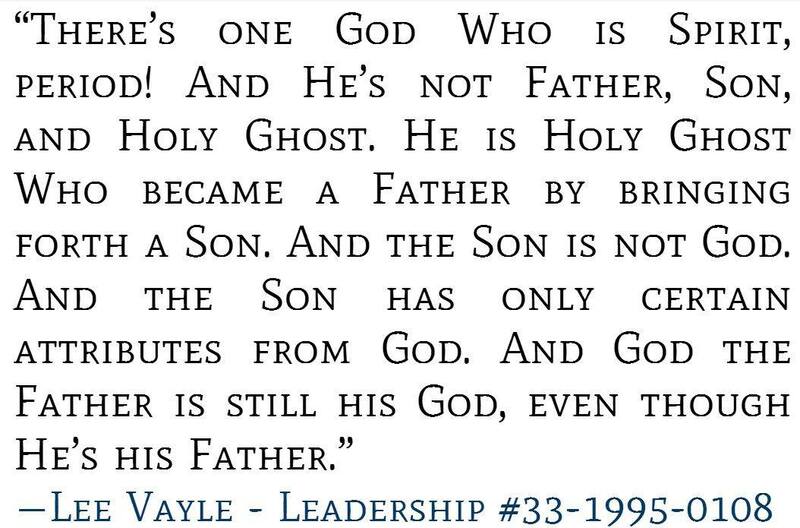 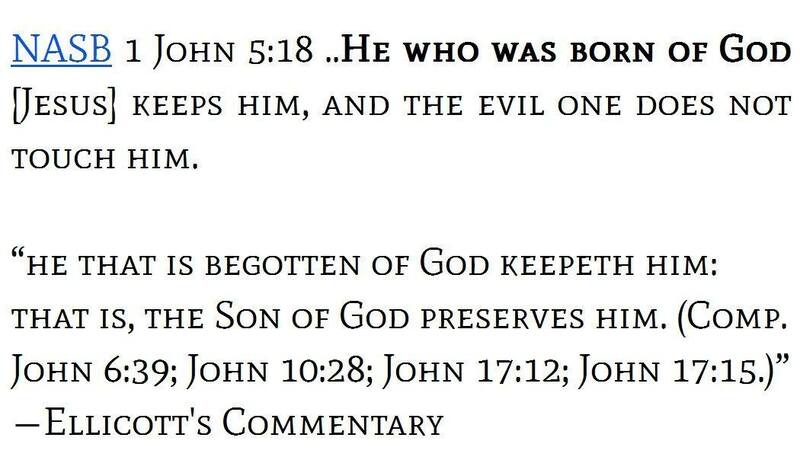 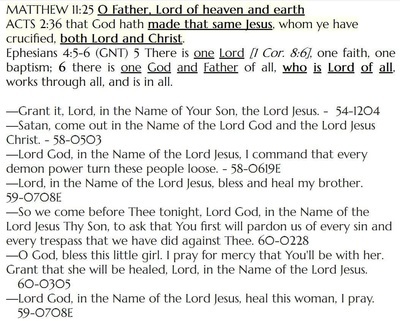 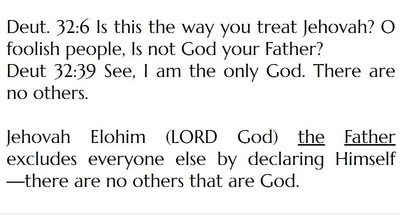 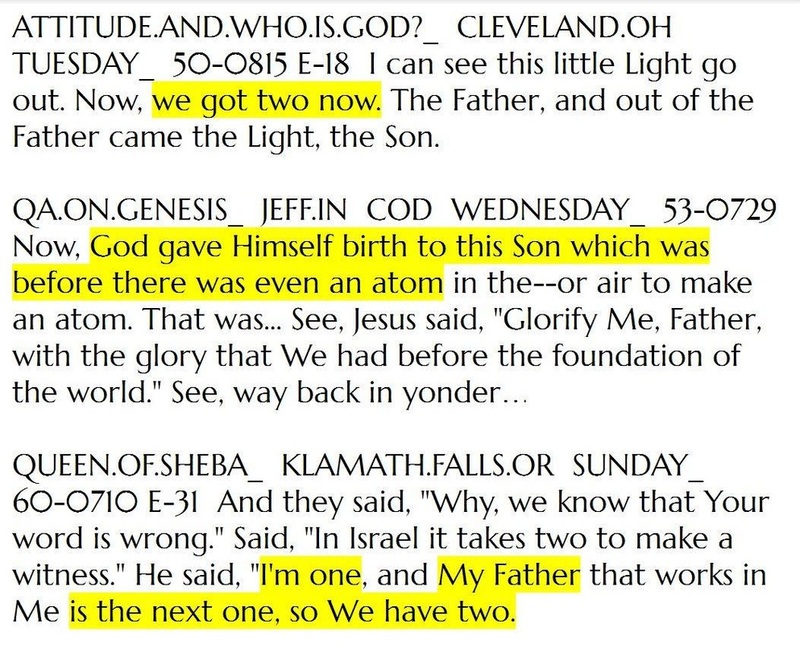 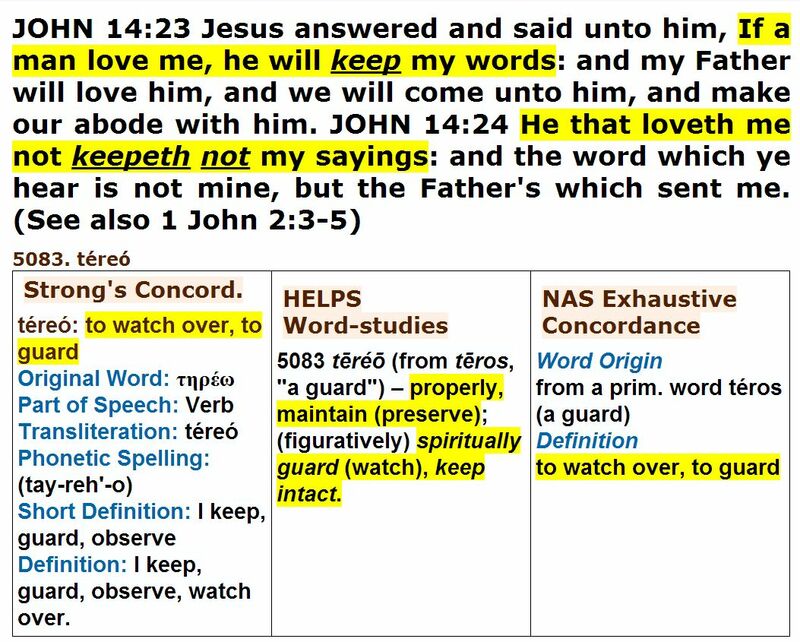 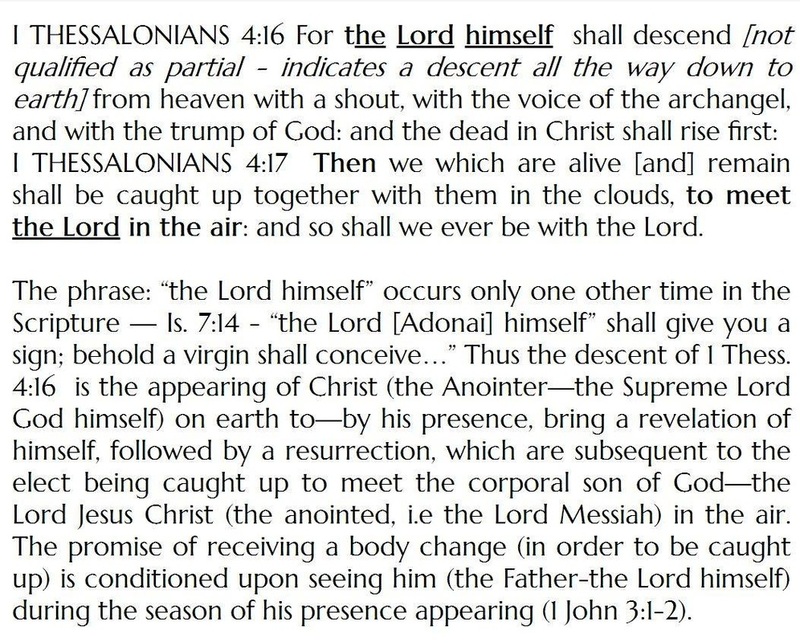 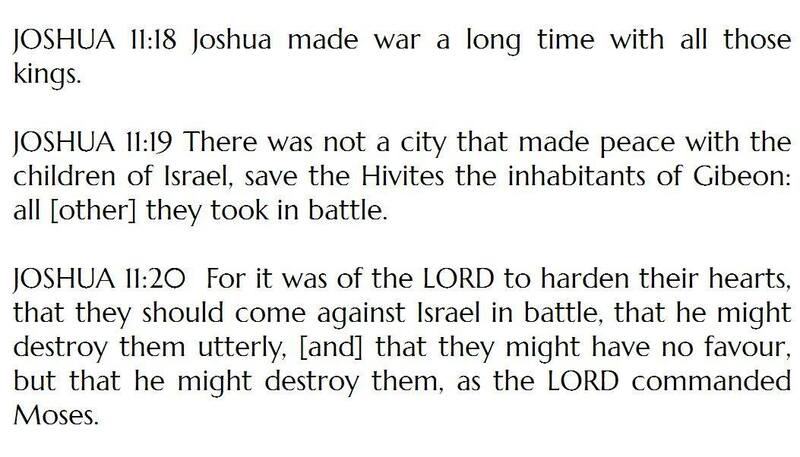 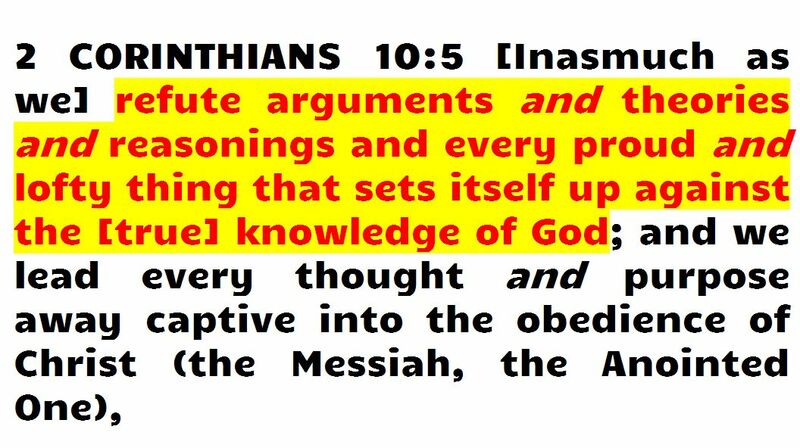 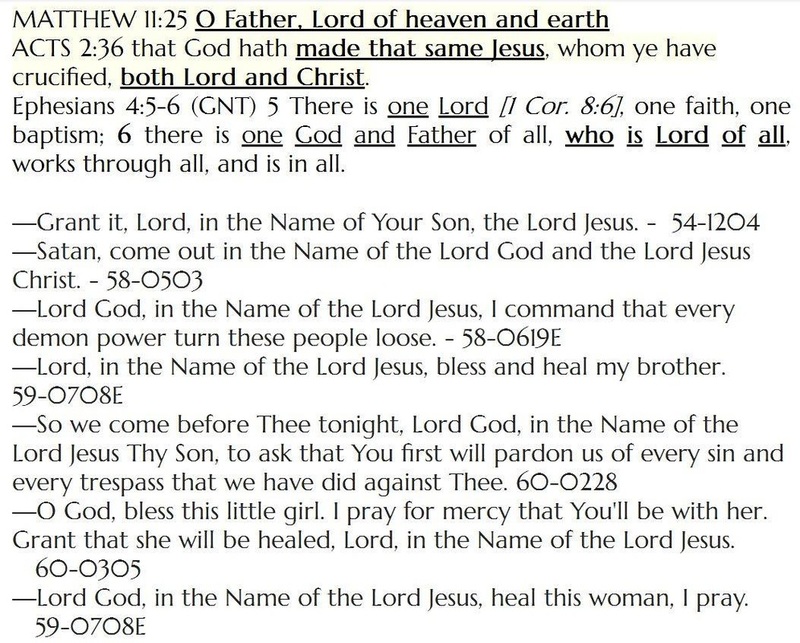 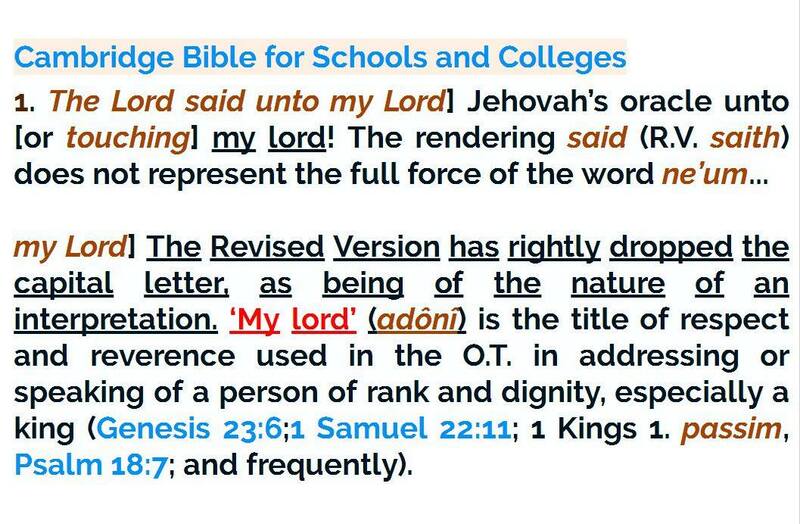 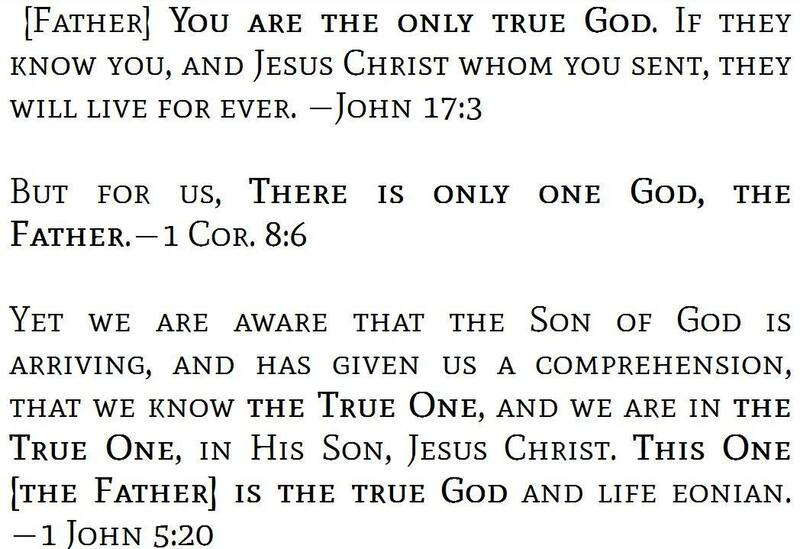 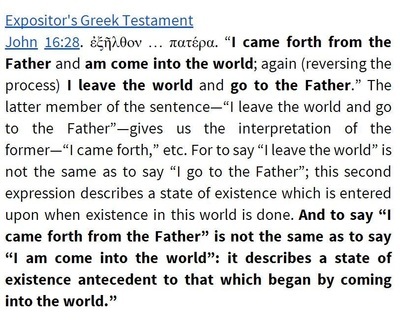 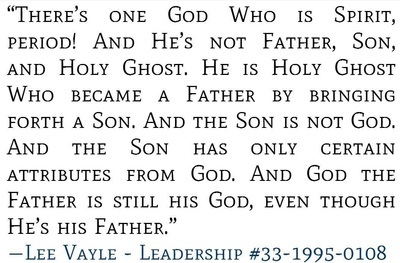 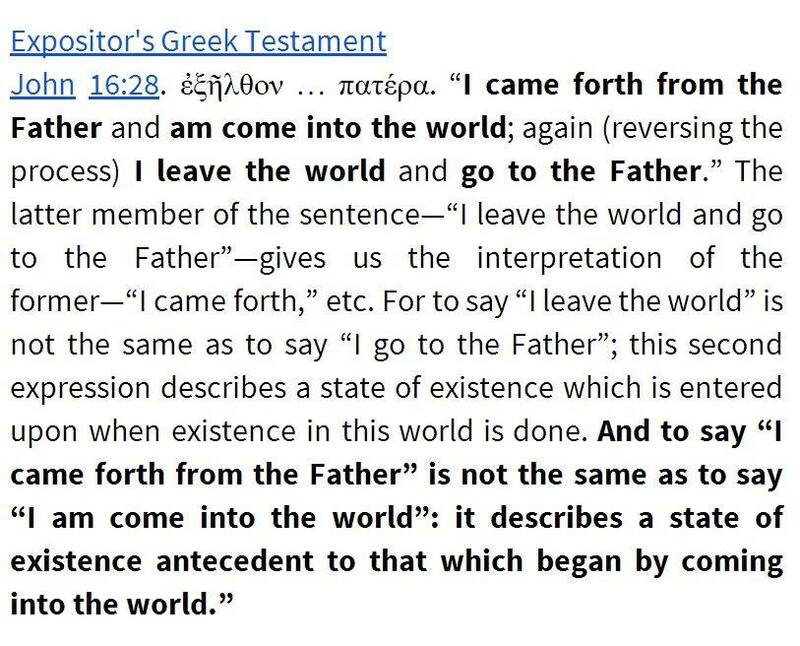 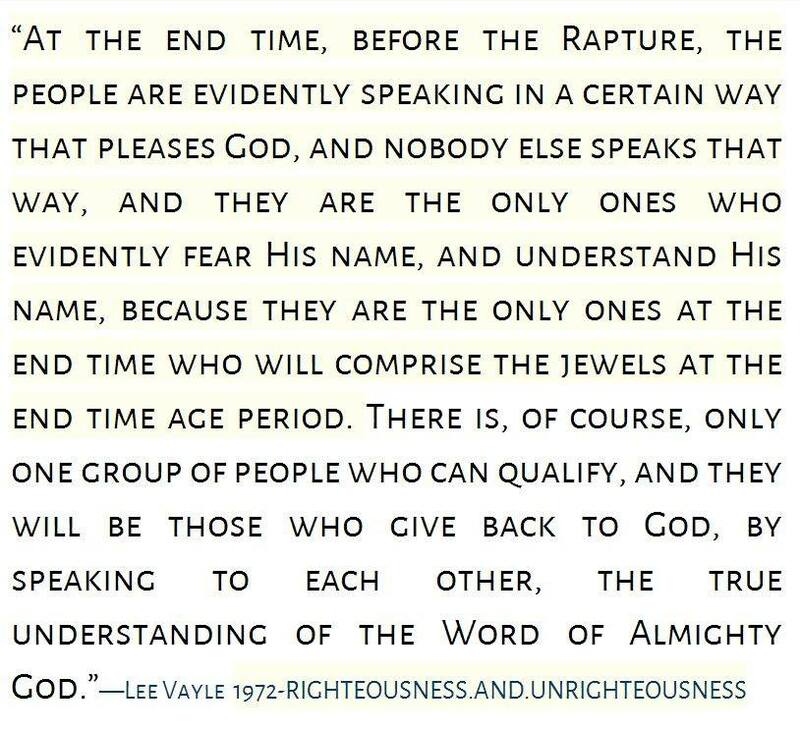 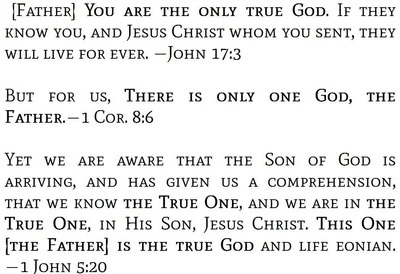 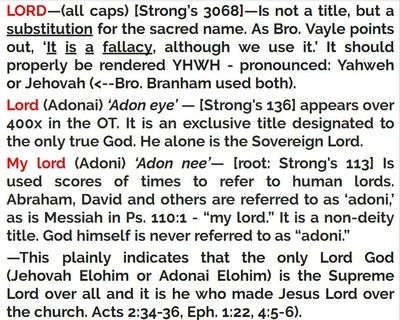 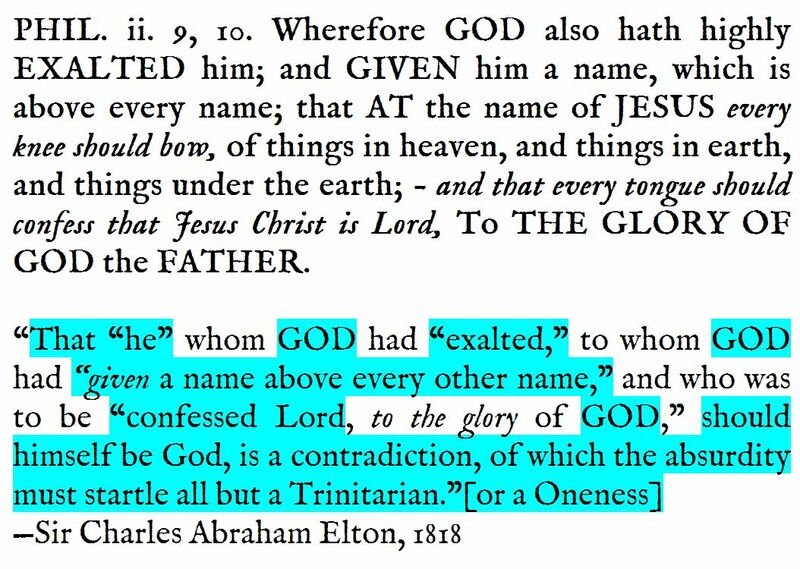 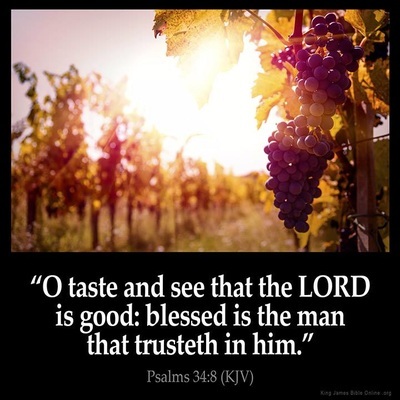 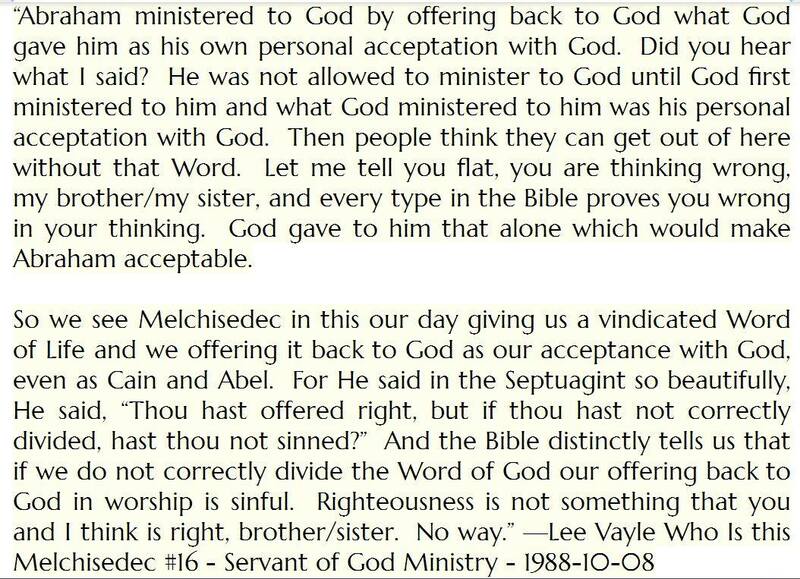 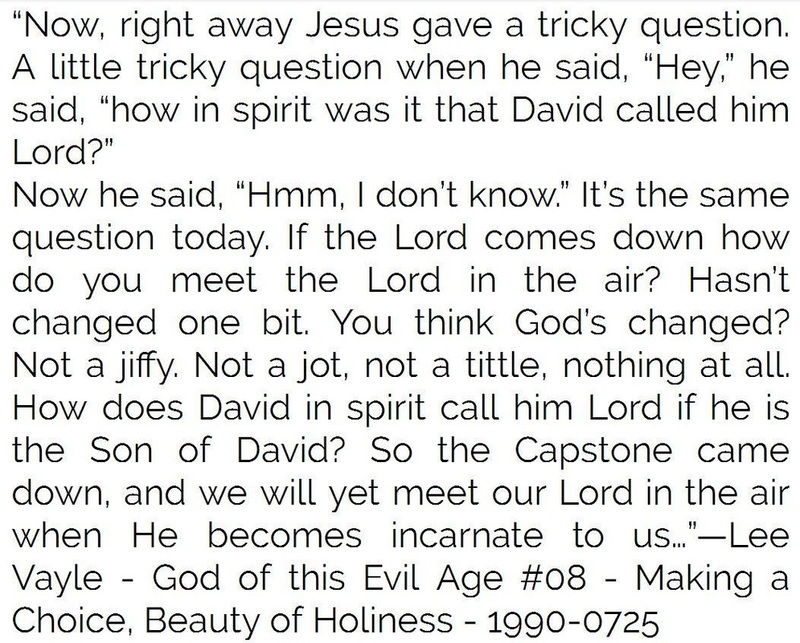 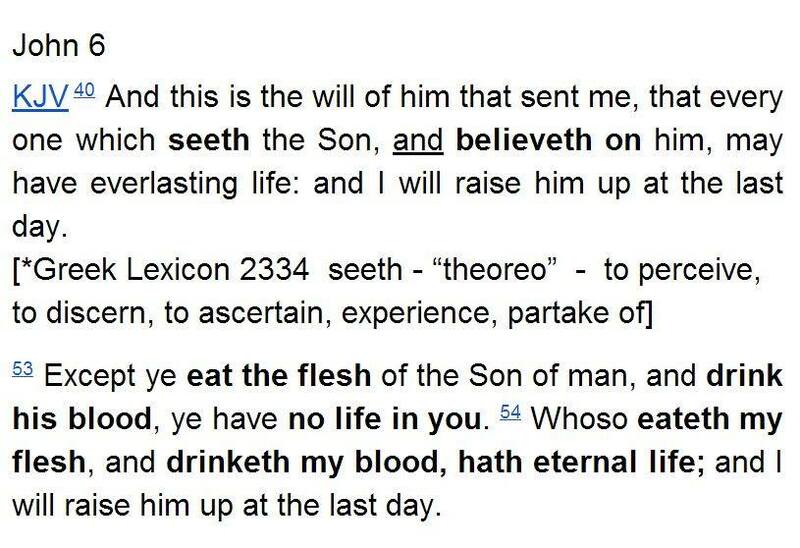 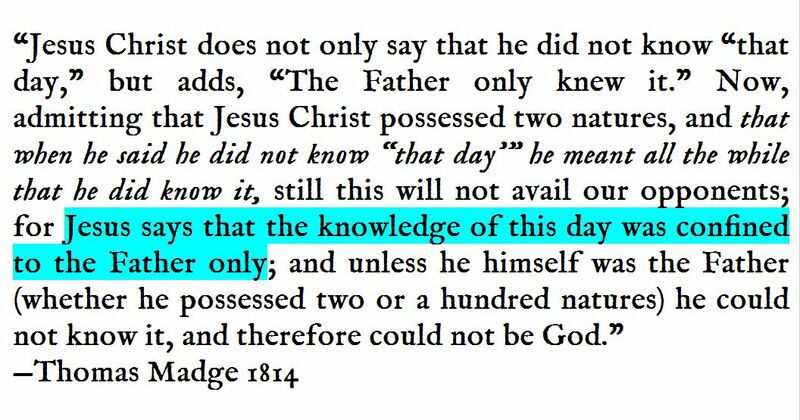 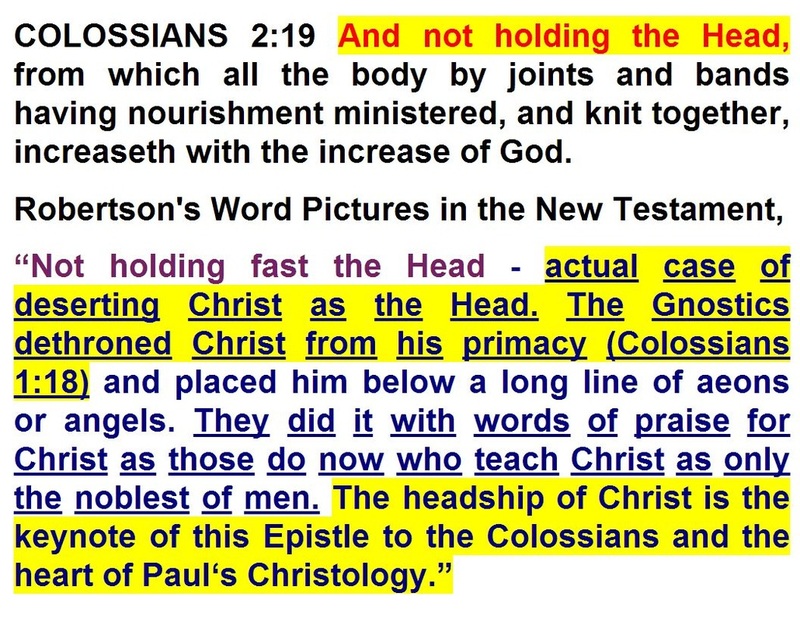 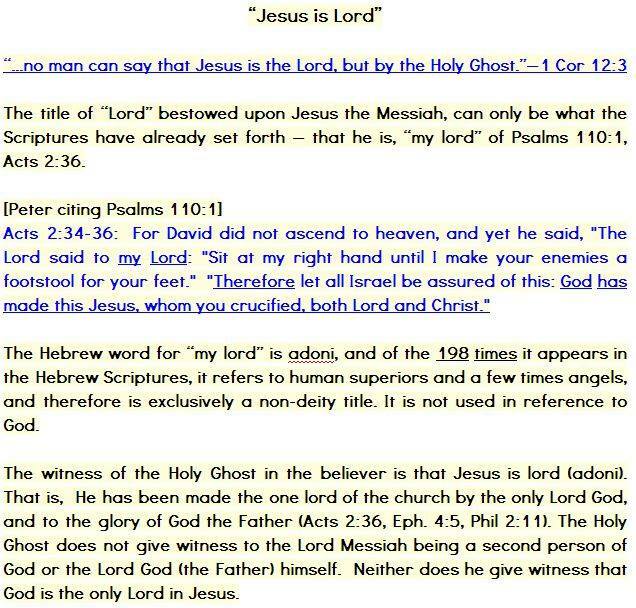 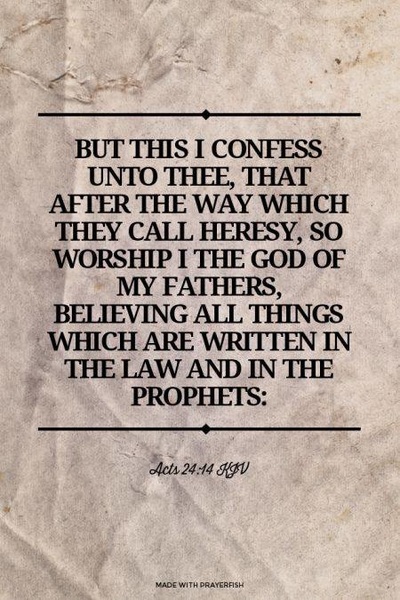 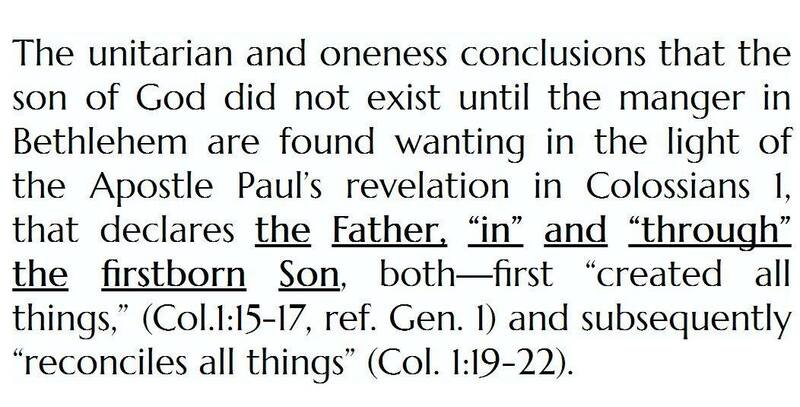 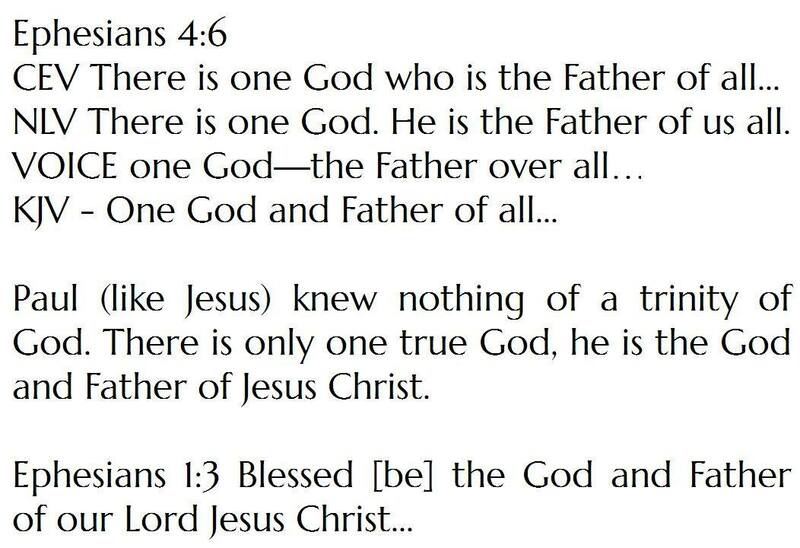 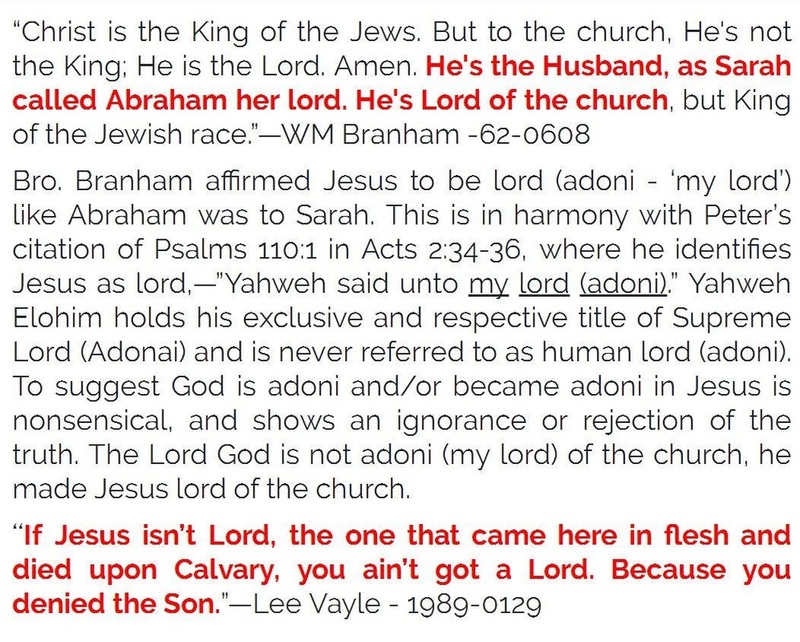 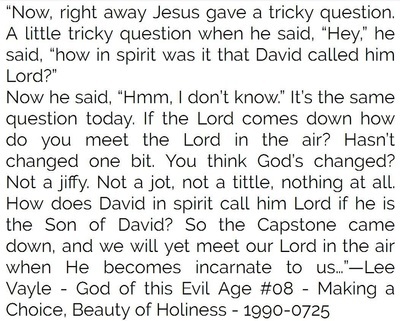 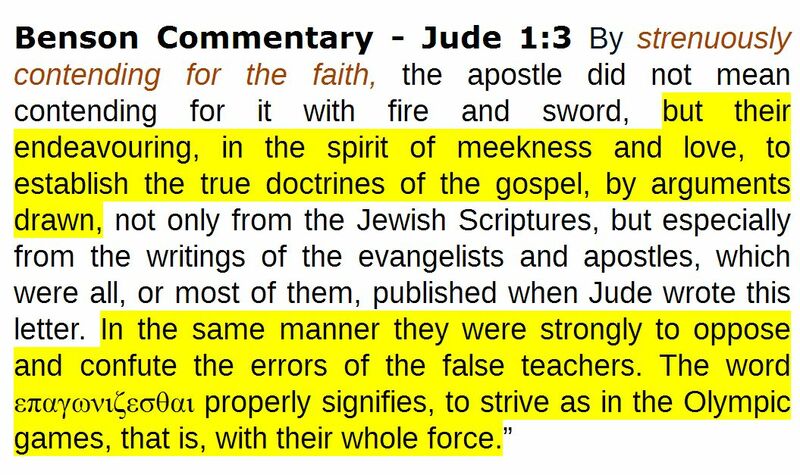 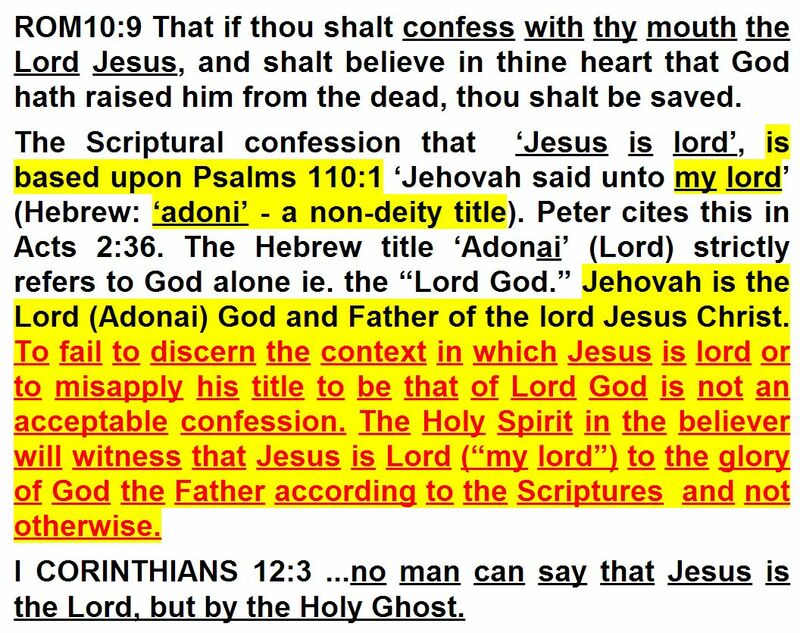 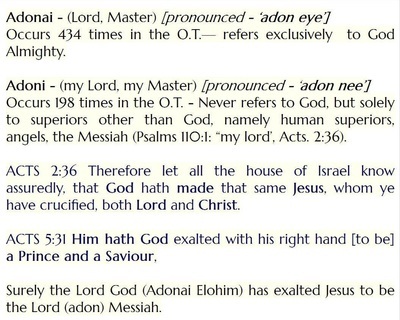 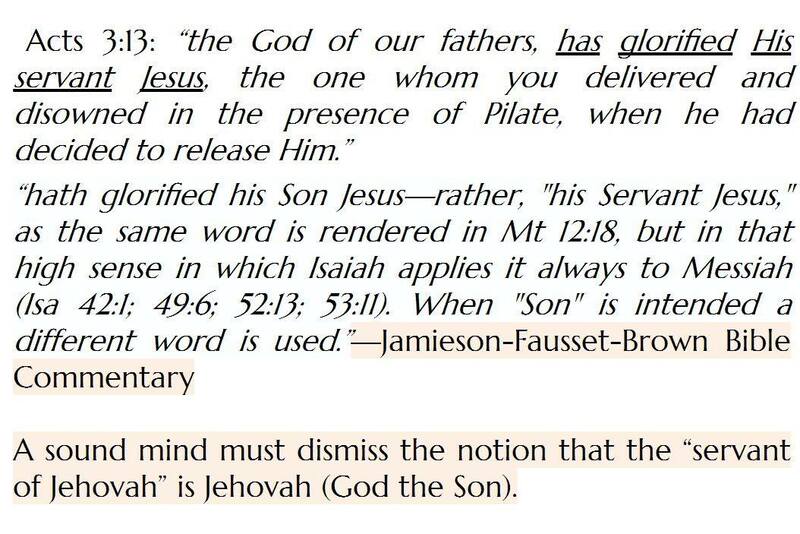 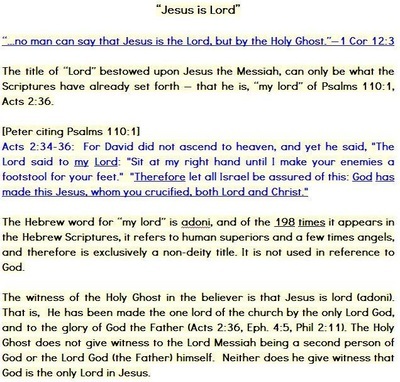 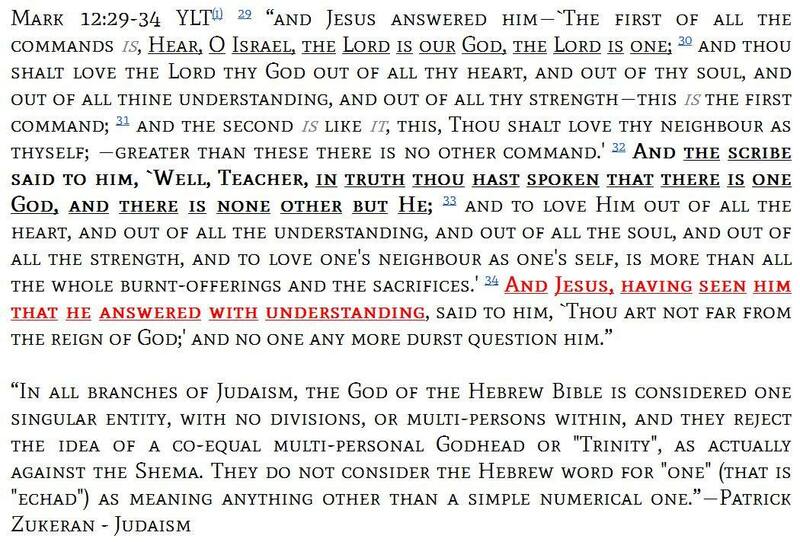 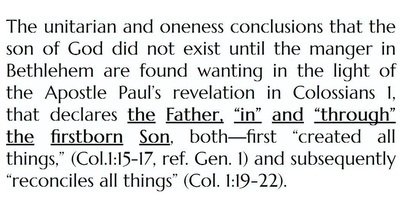 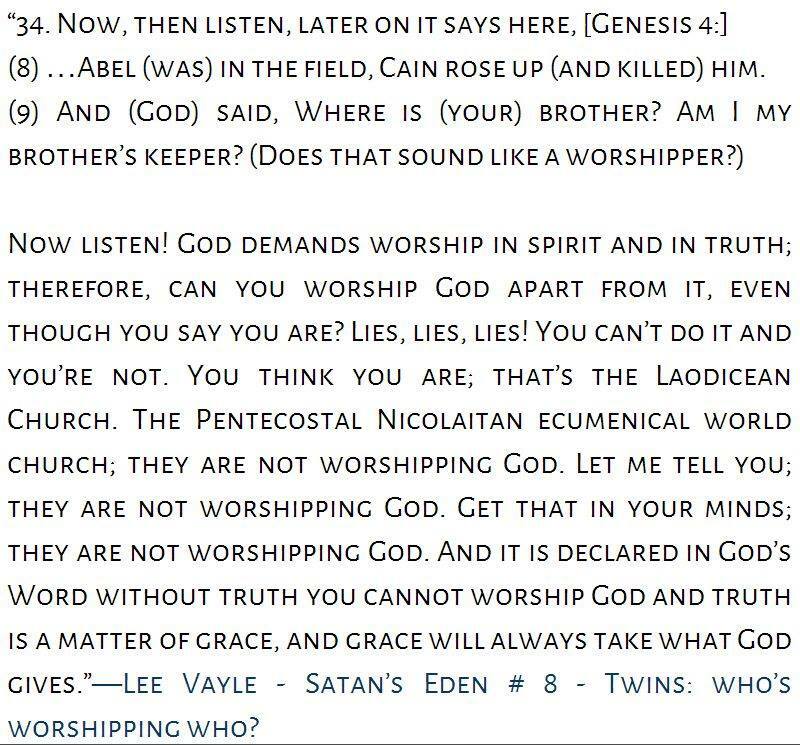 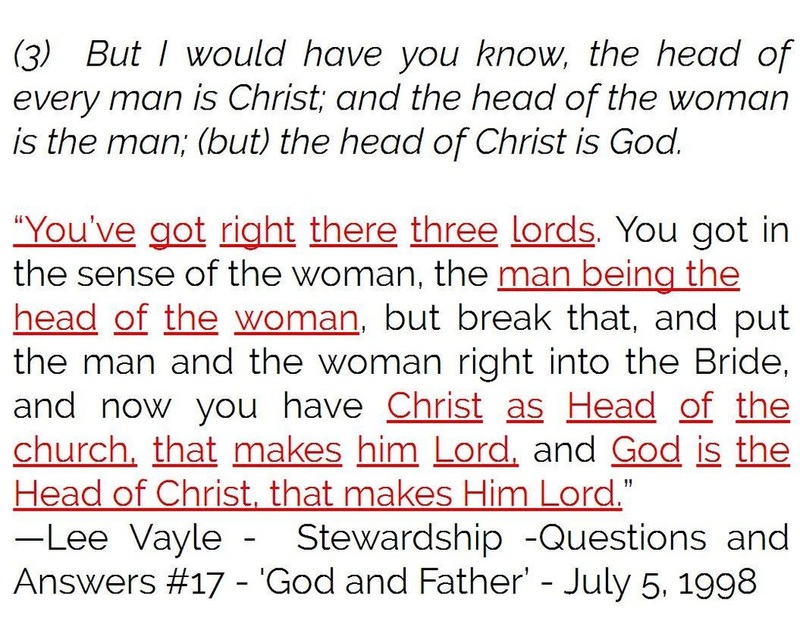 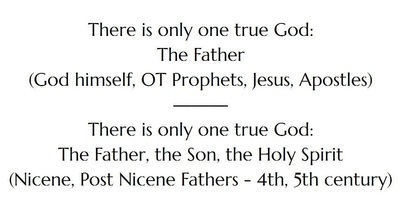 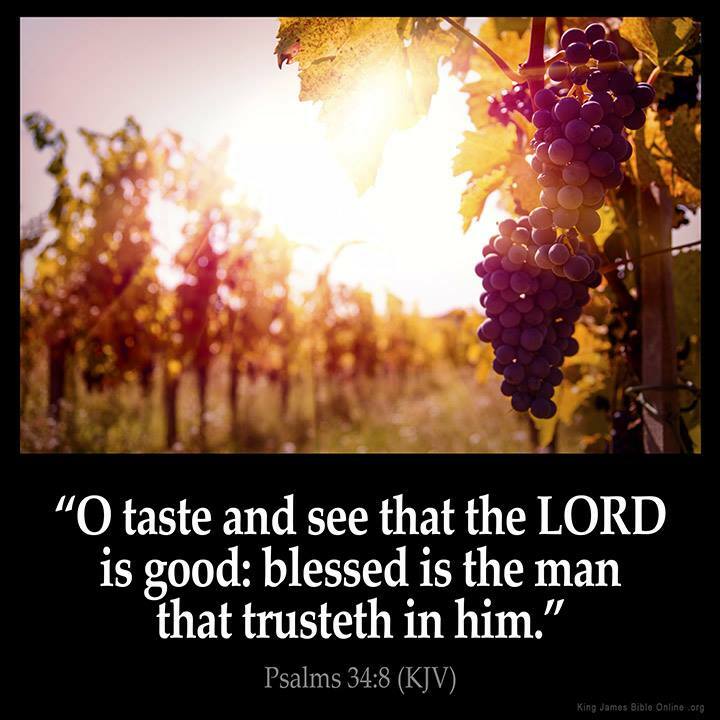 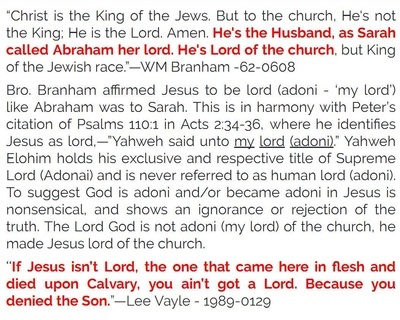 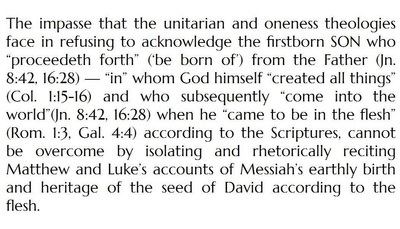 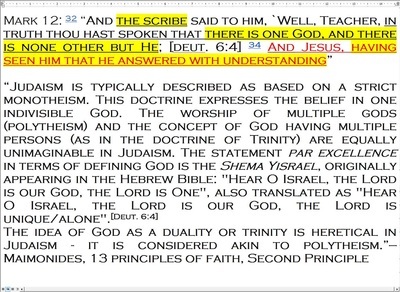 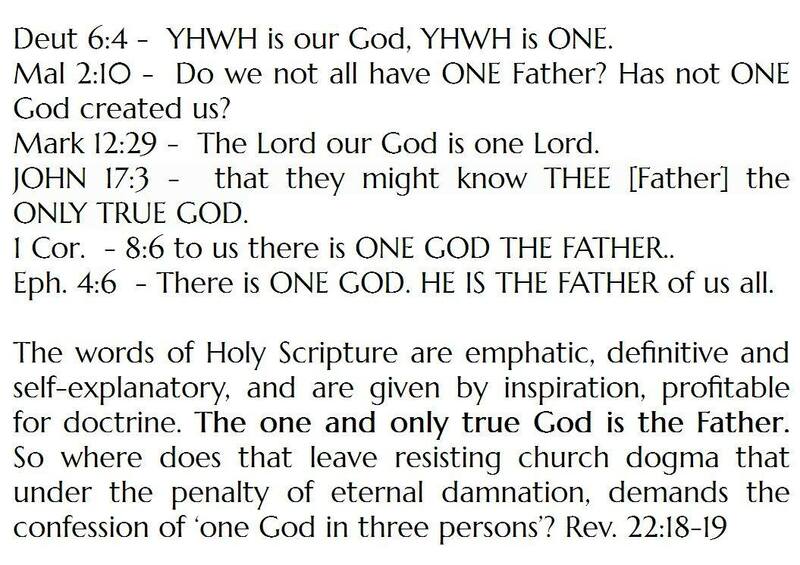 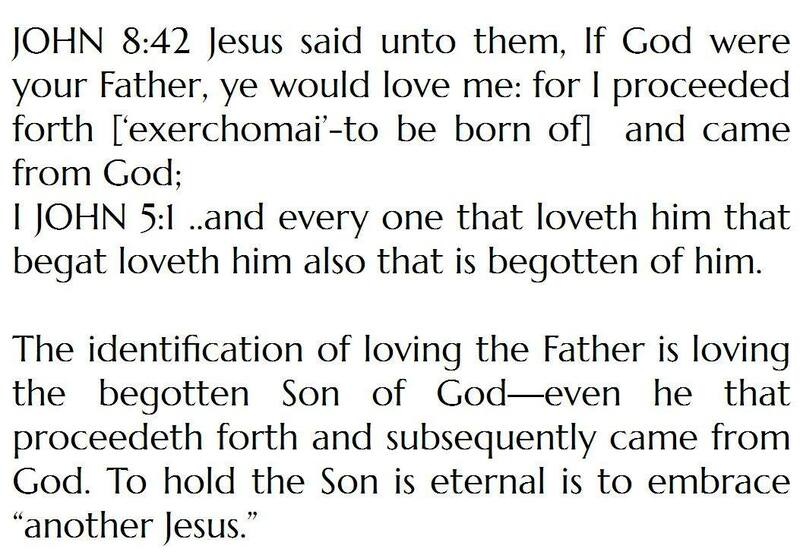 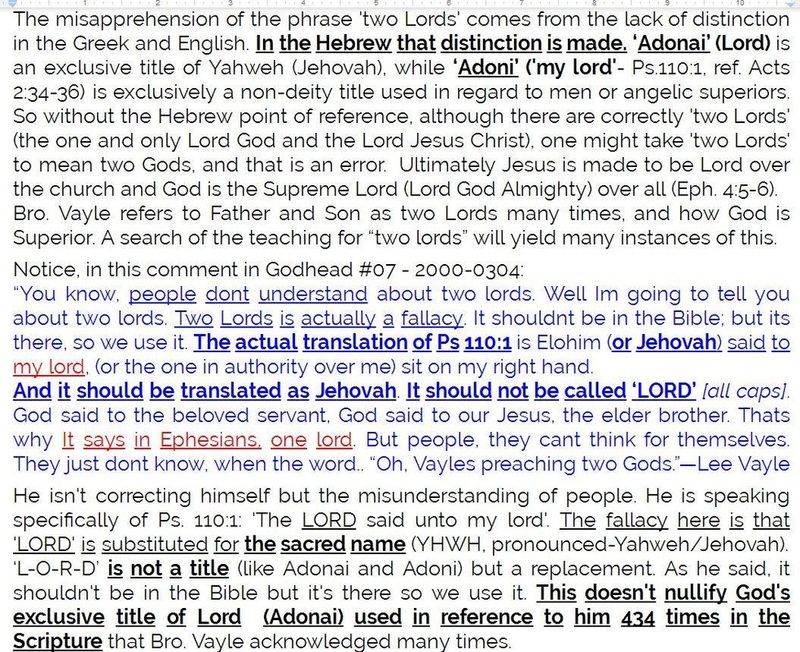 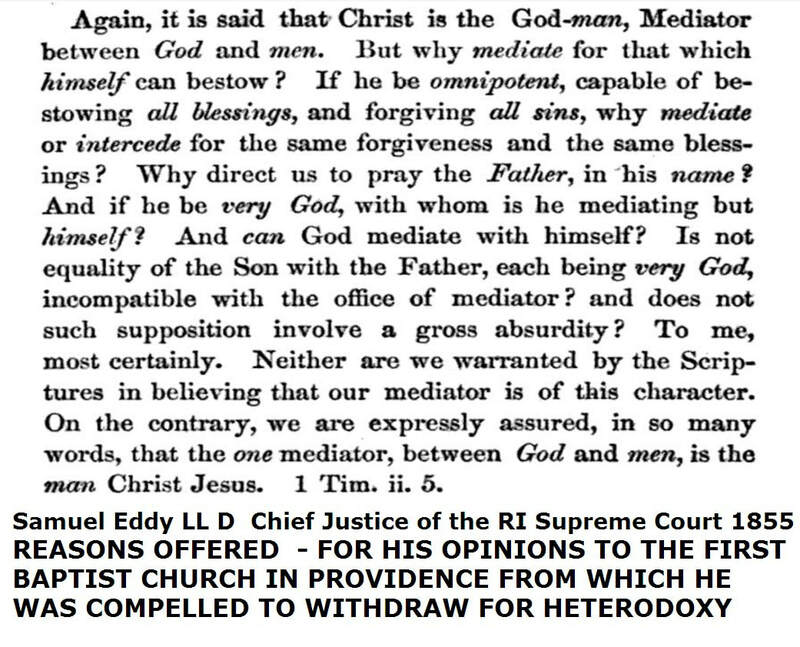 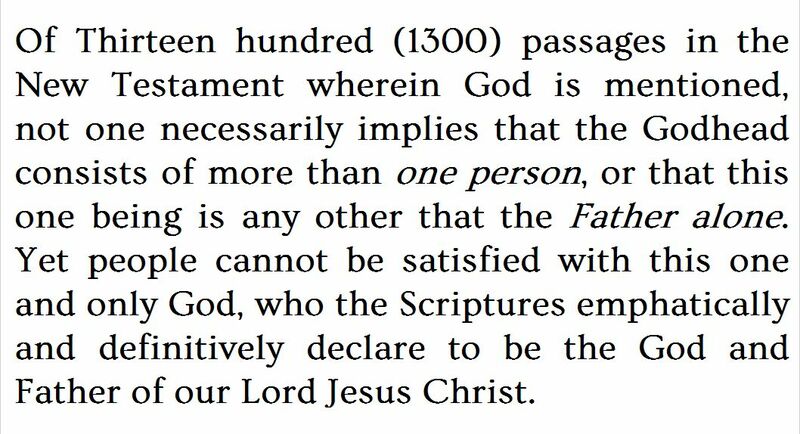 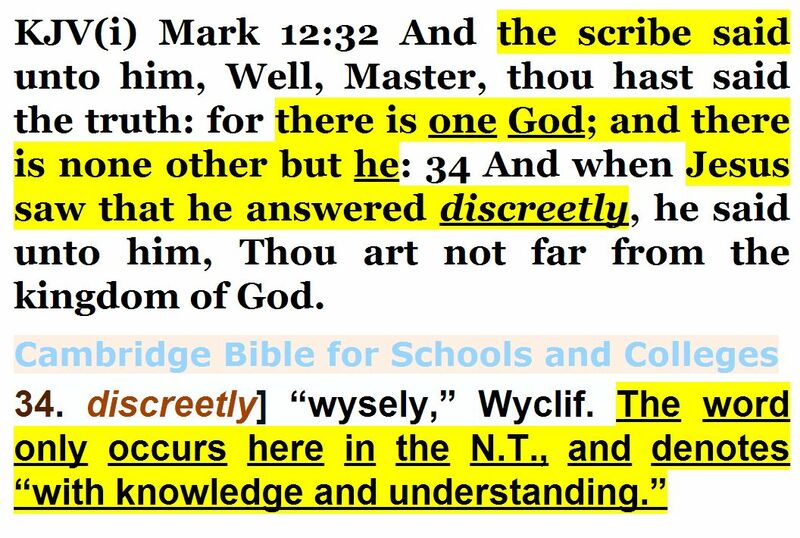 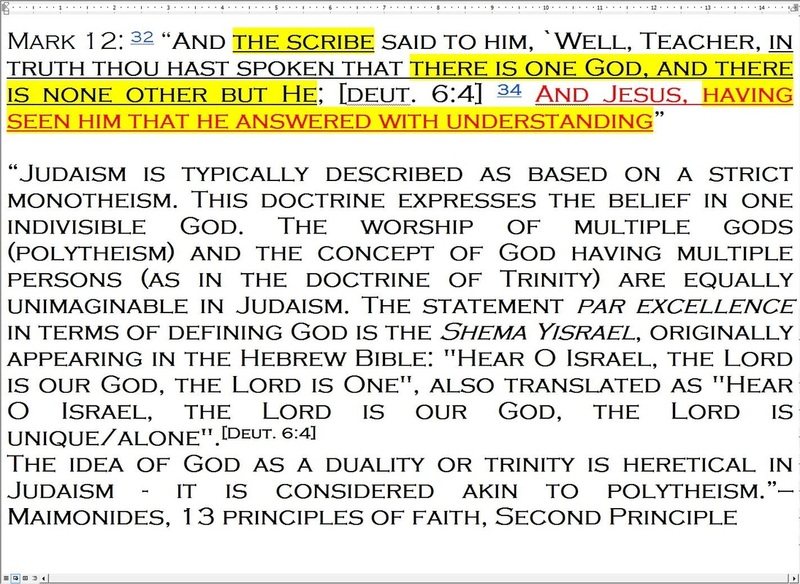 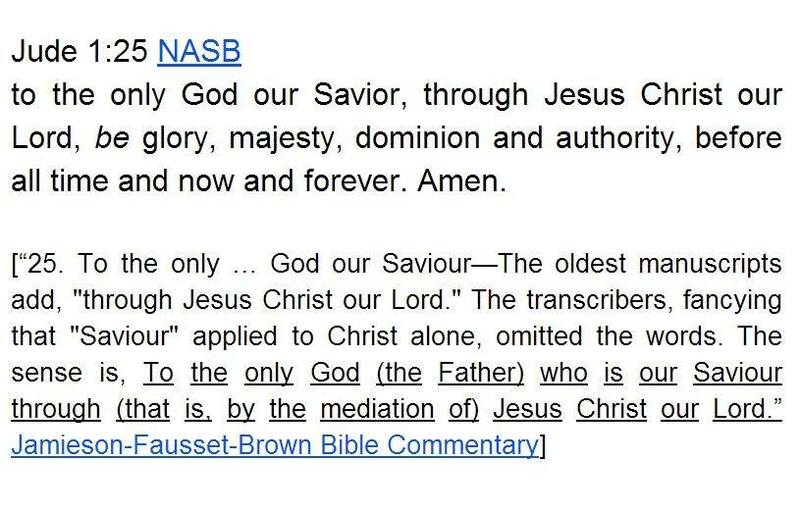 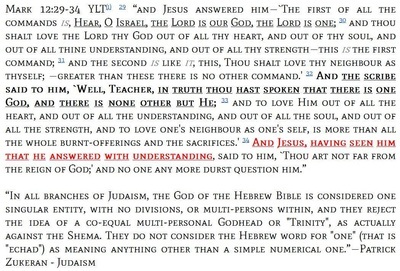 110:1 "my lord" can of course only be taken in the same context—that is the Lord God Jehovah speaking to the non-deity exalted lord (adoni) messiah. 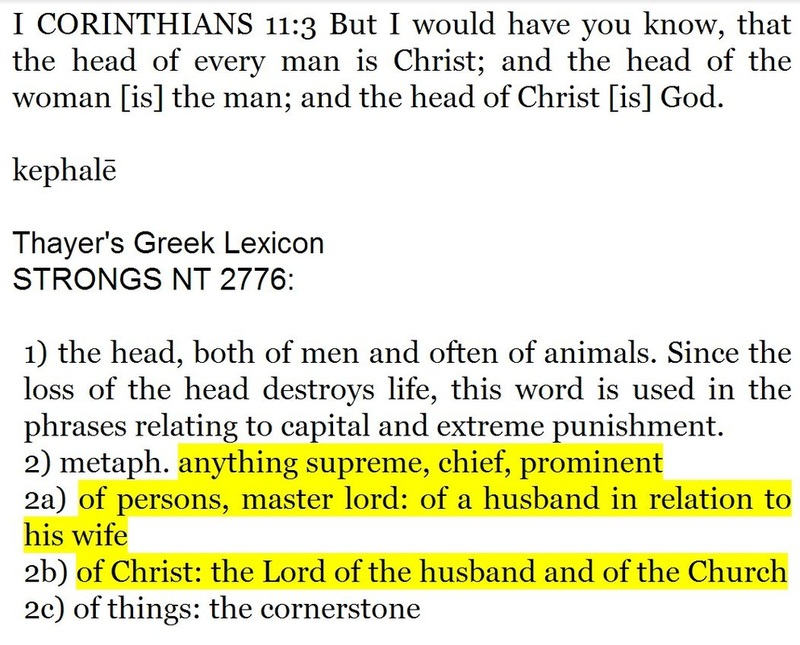 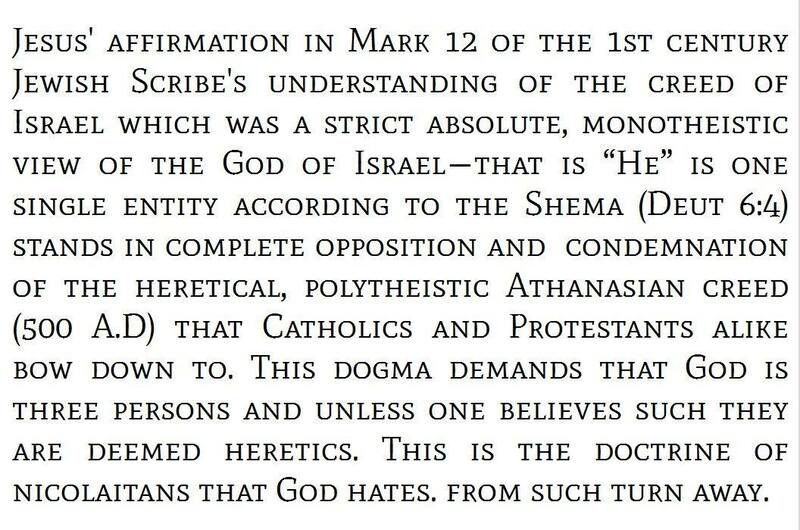 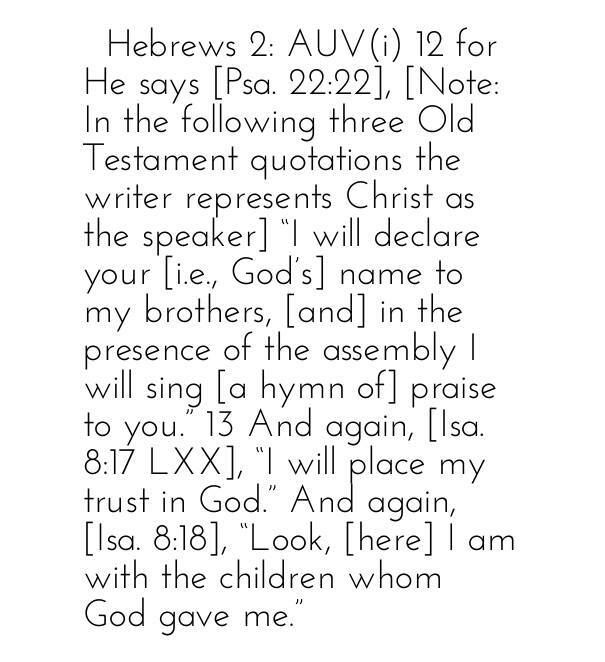 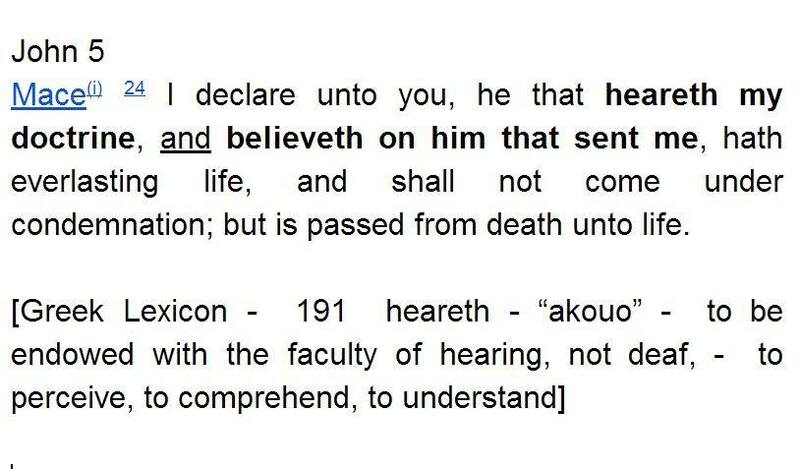 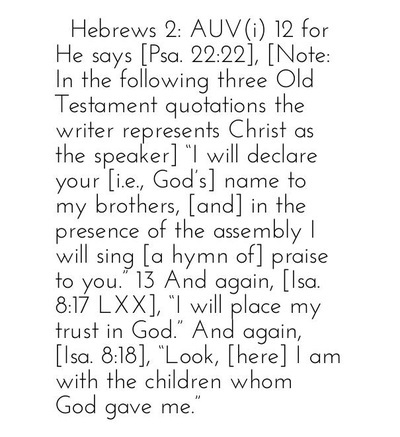 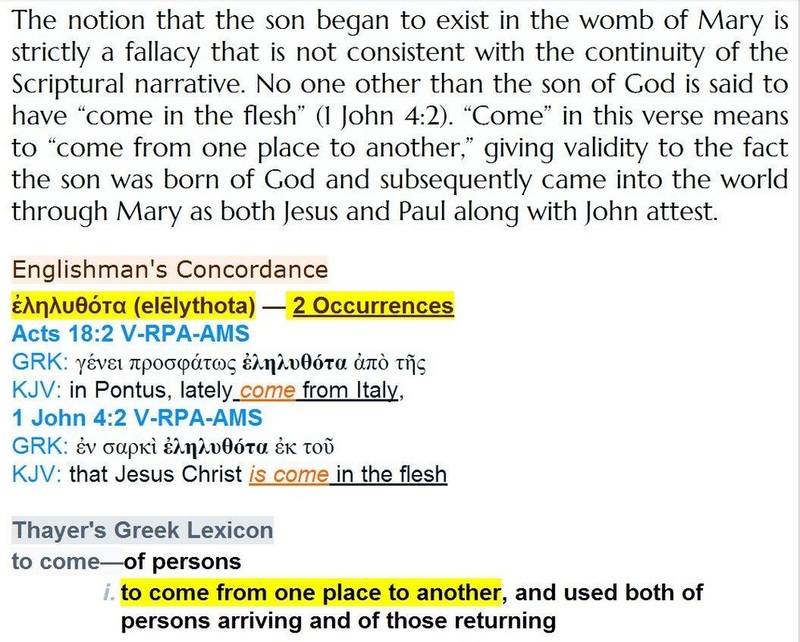 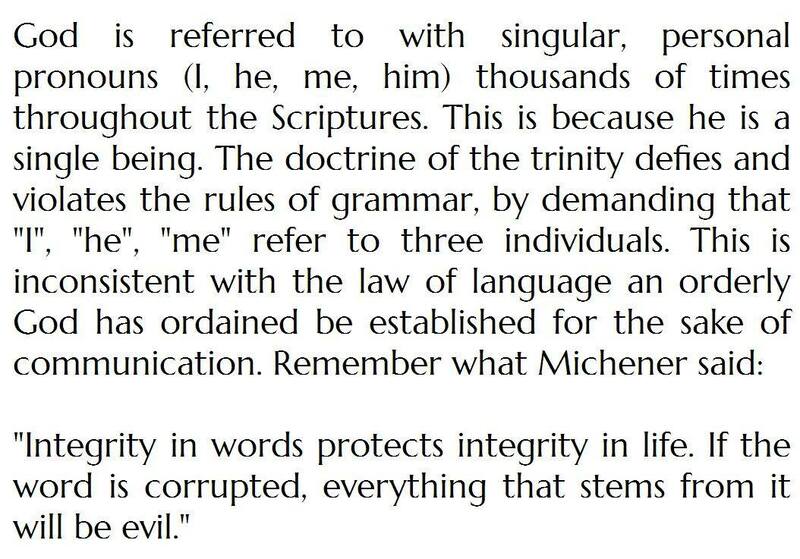 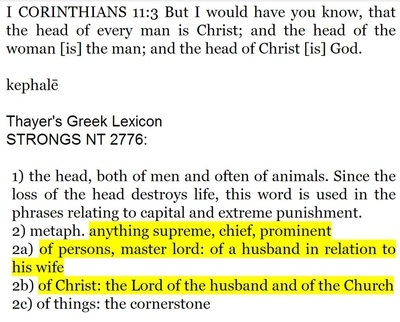 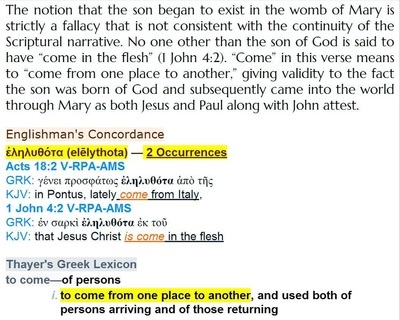 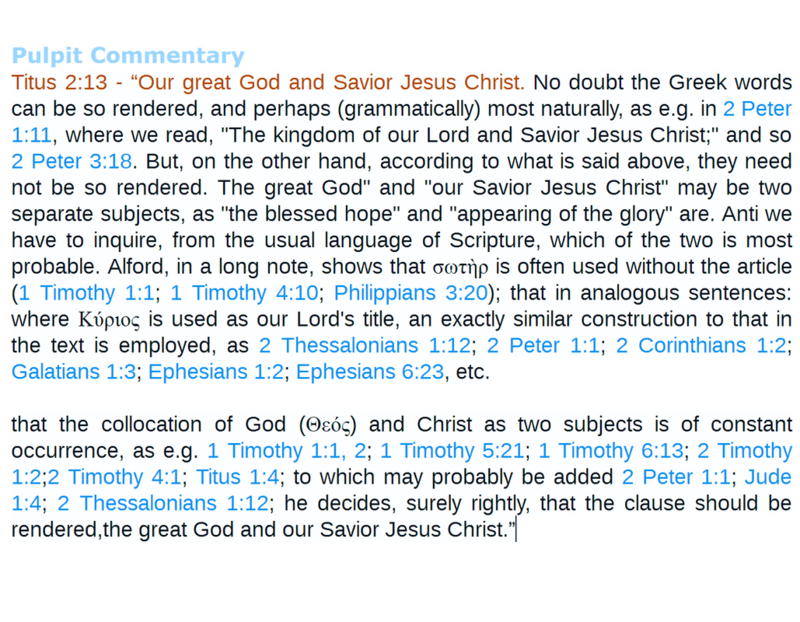 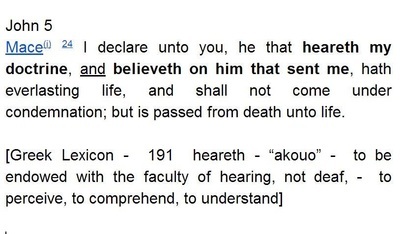 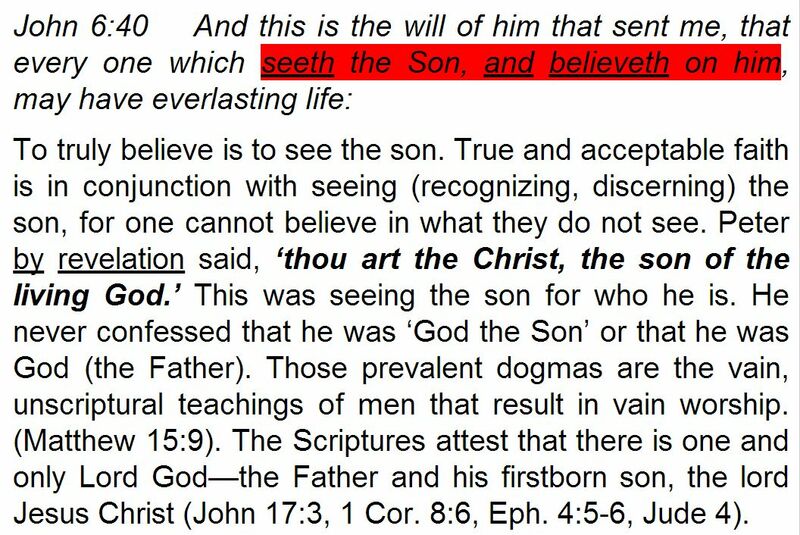 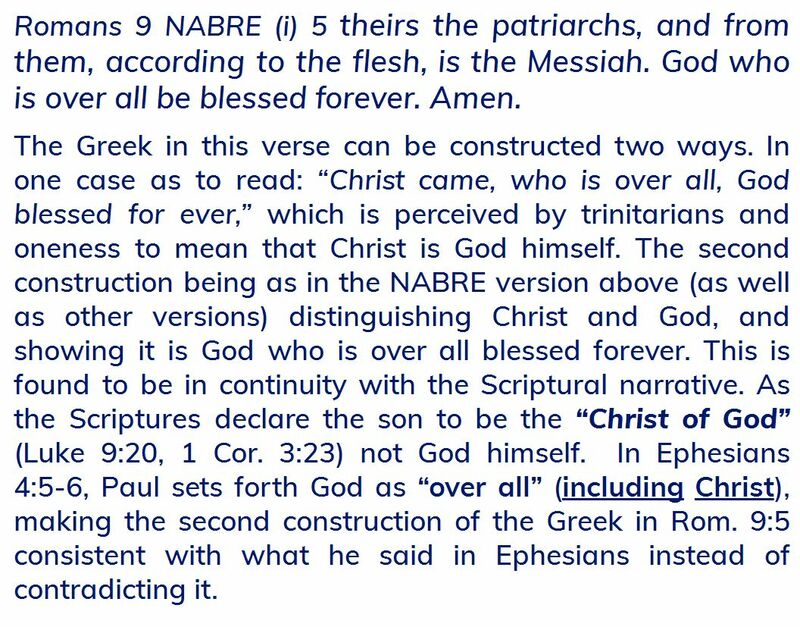 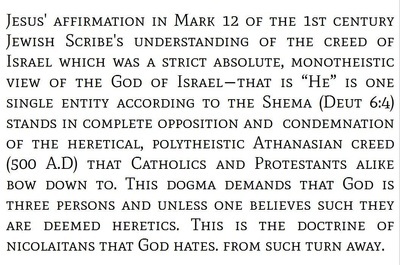 Brian Kocourek stated the Greek reads "whoever believeth on me."